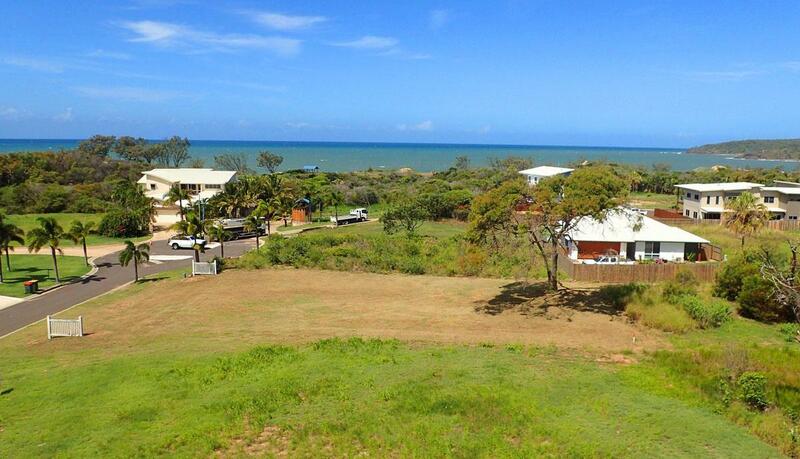 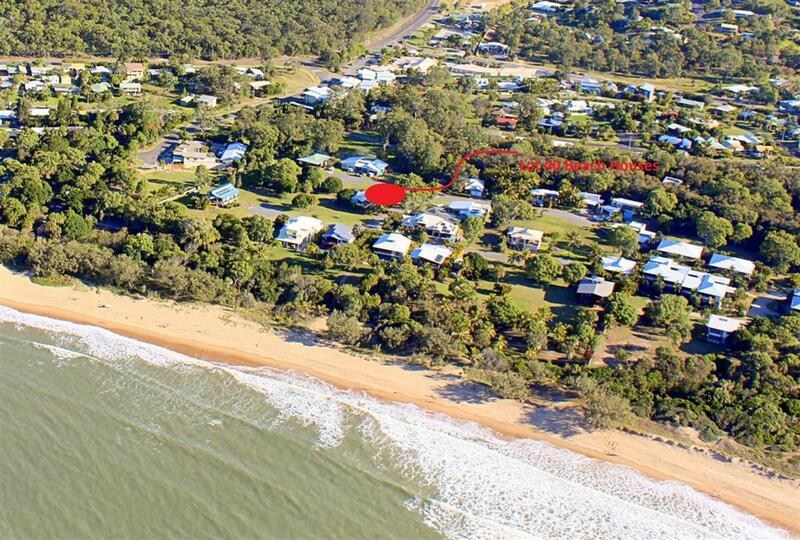 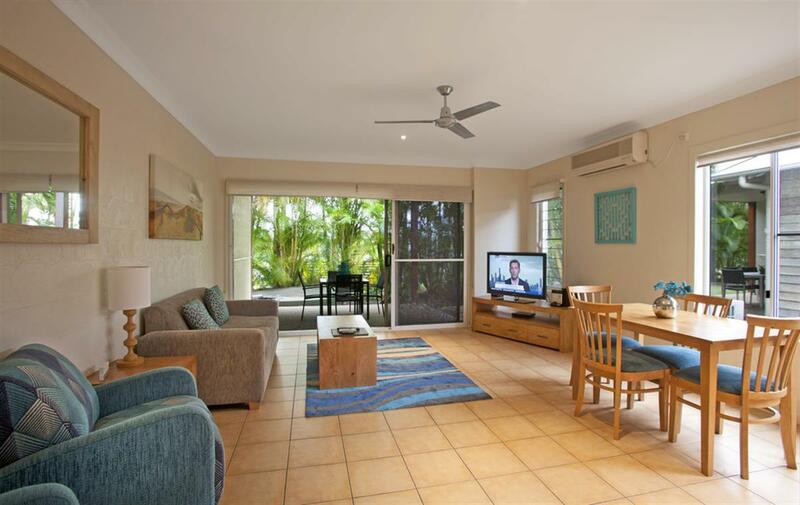 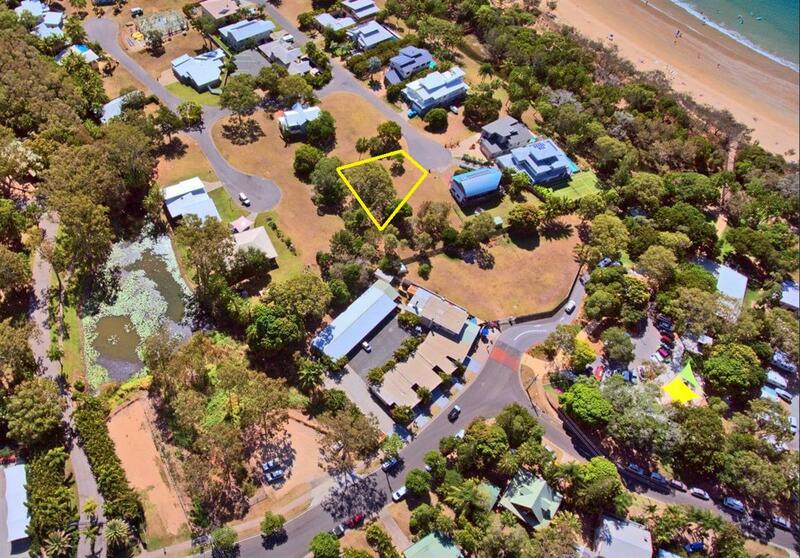 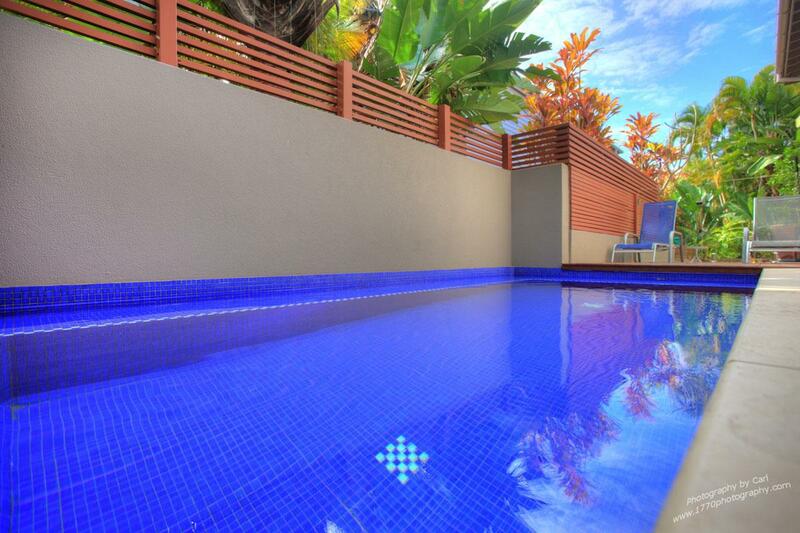 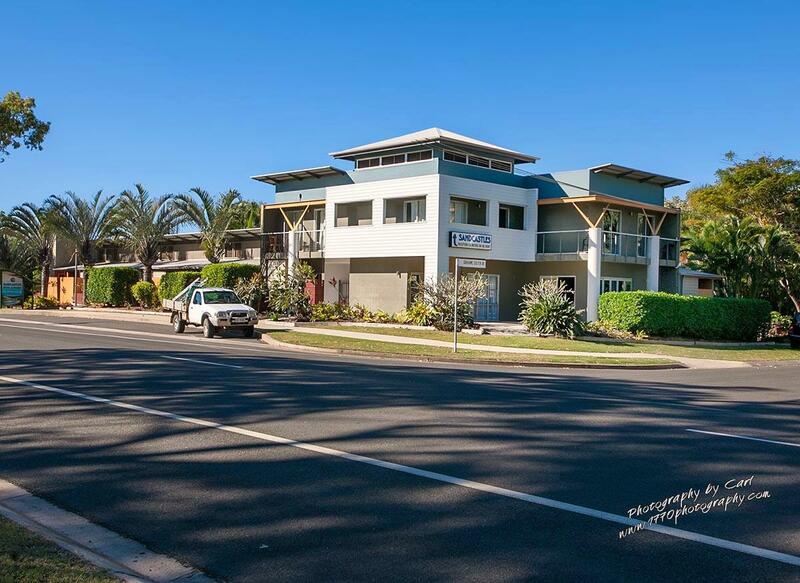 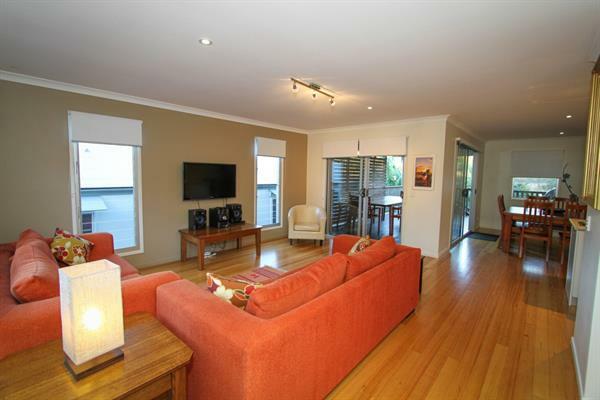 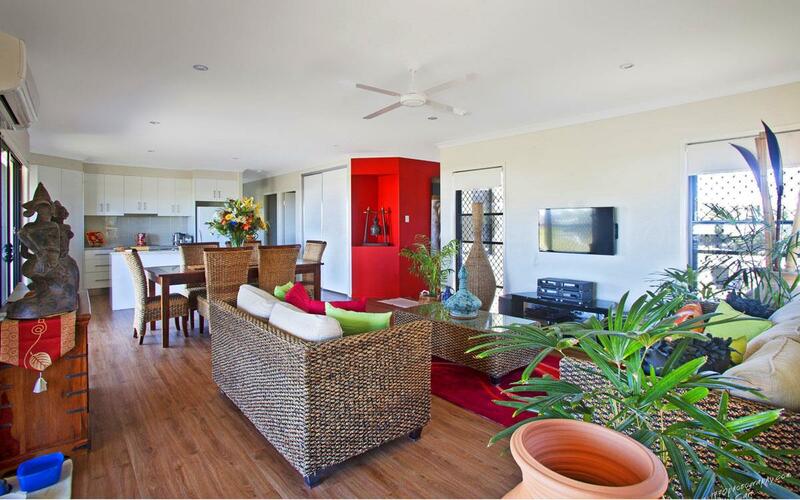 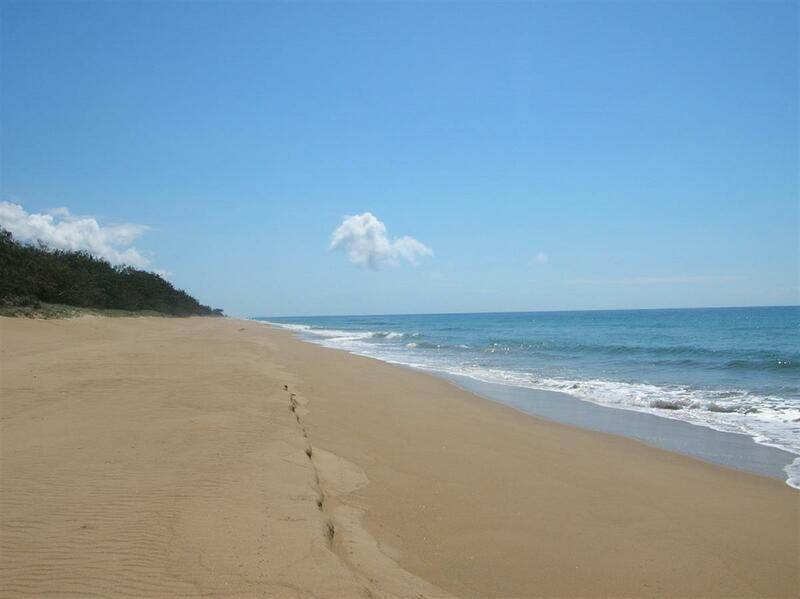 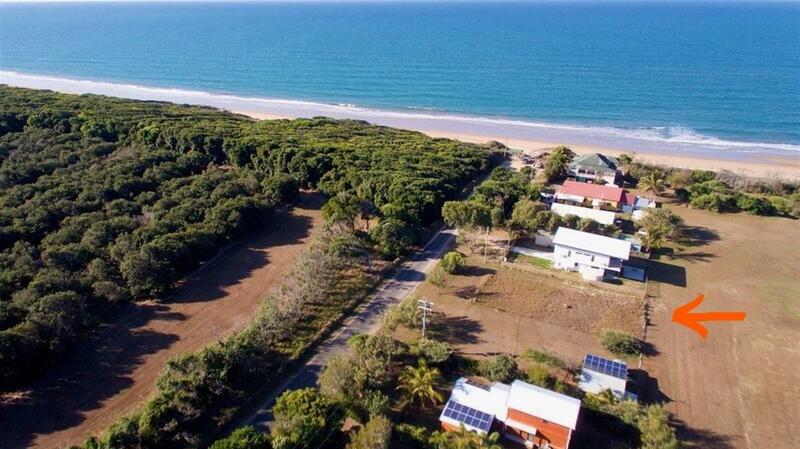 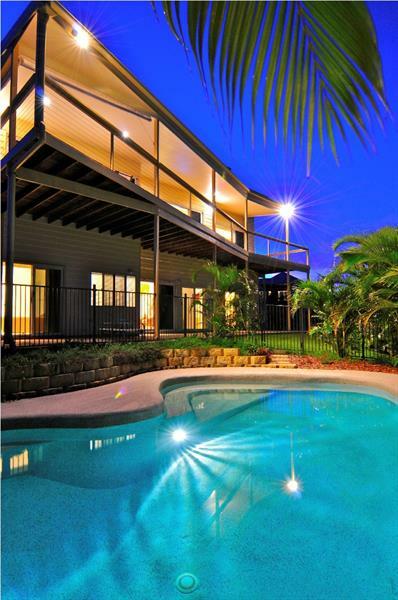 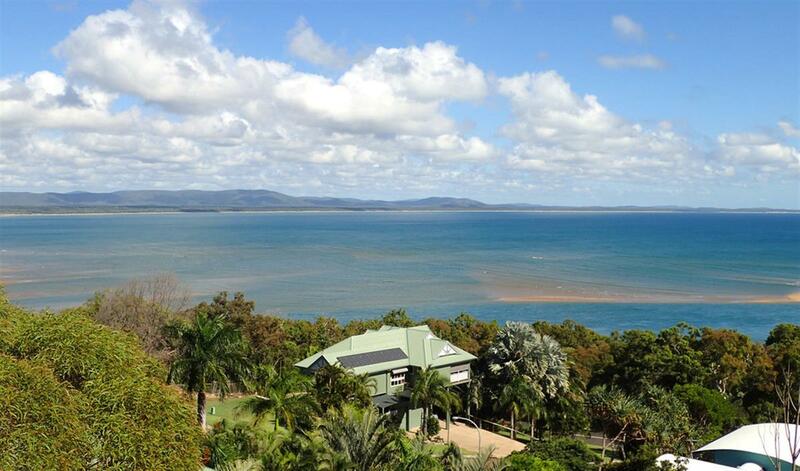 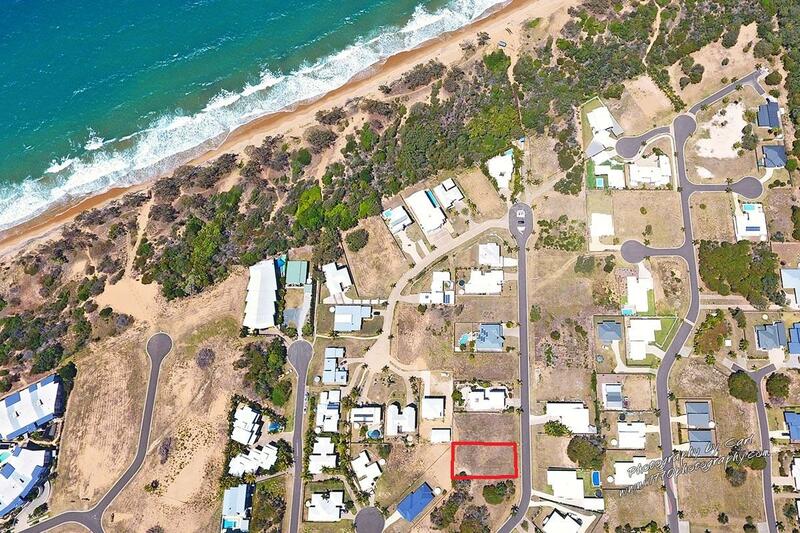 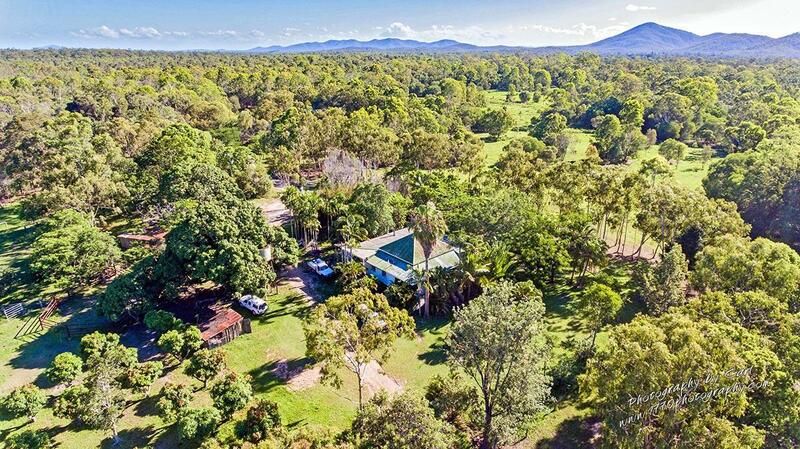 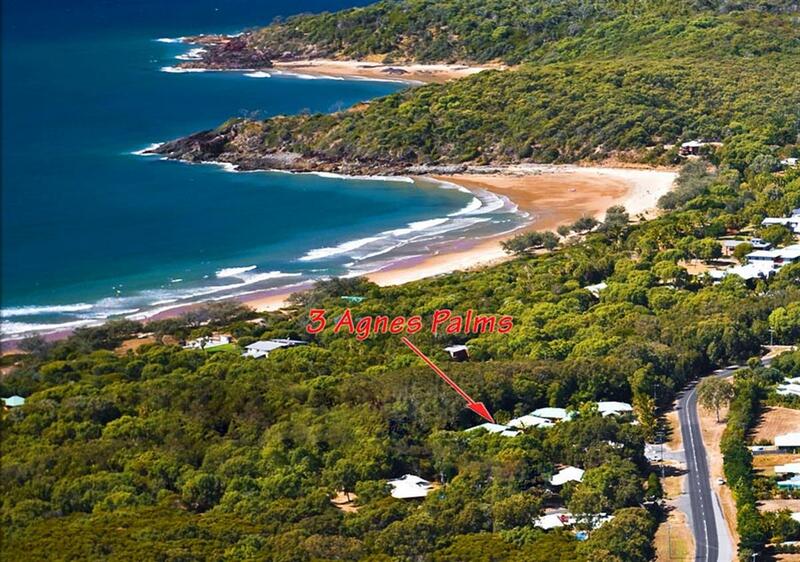 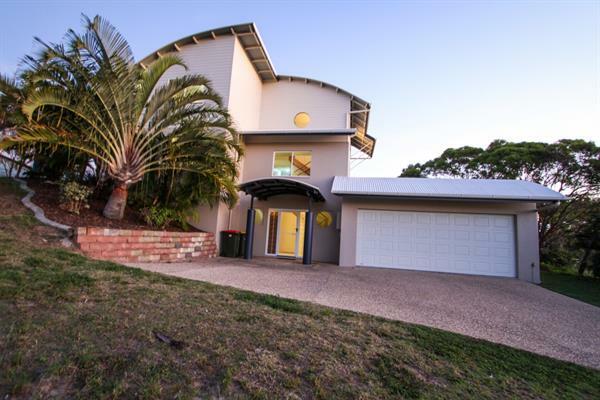 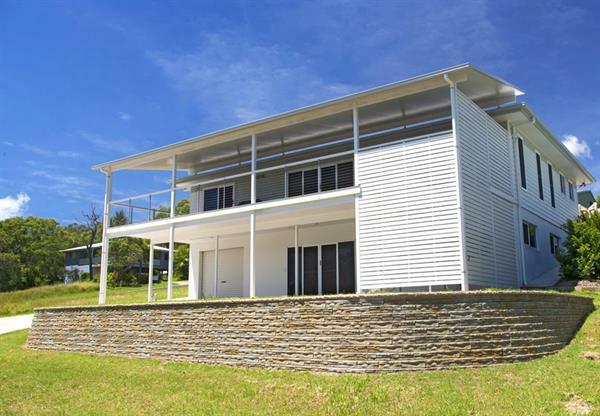 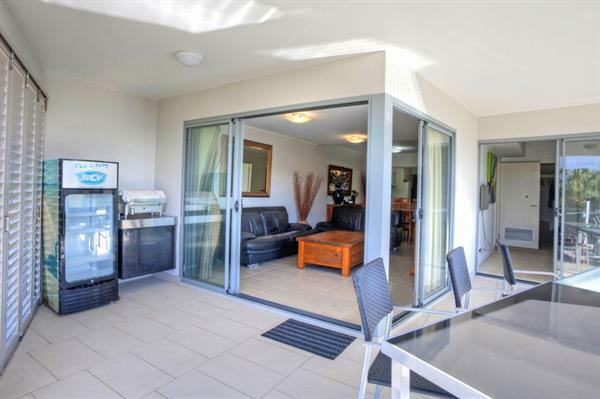 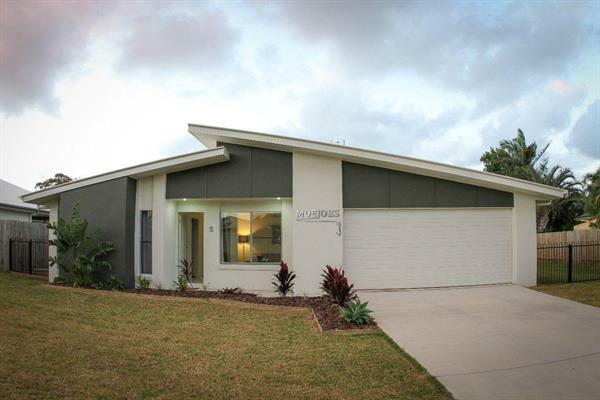 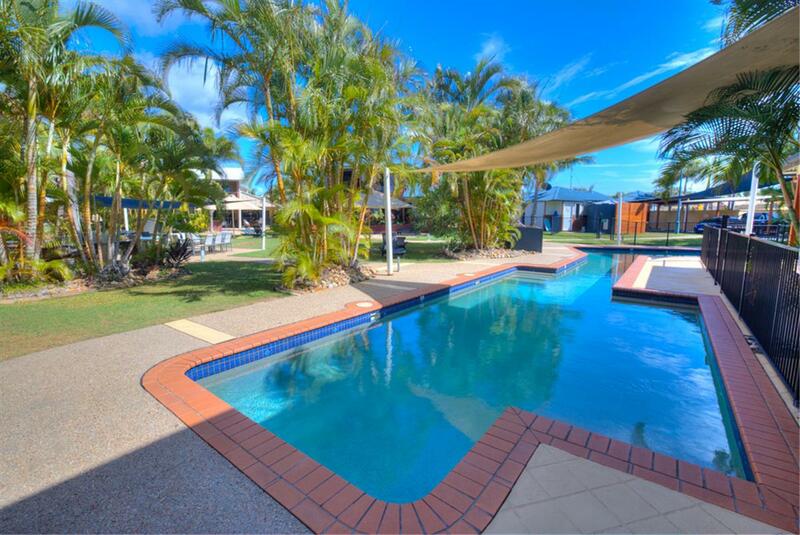 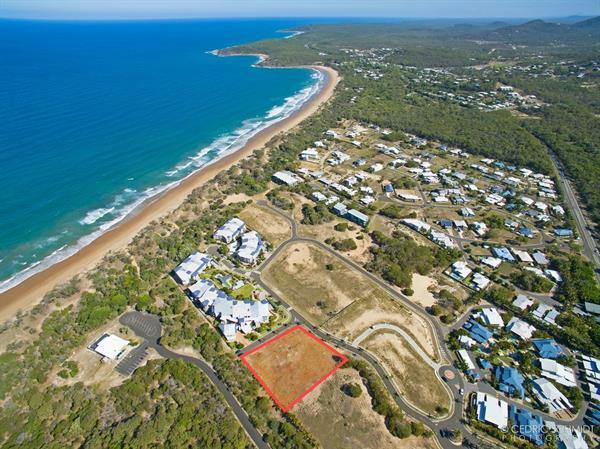 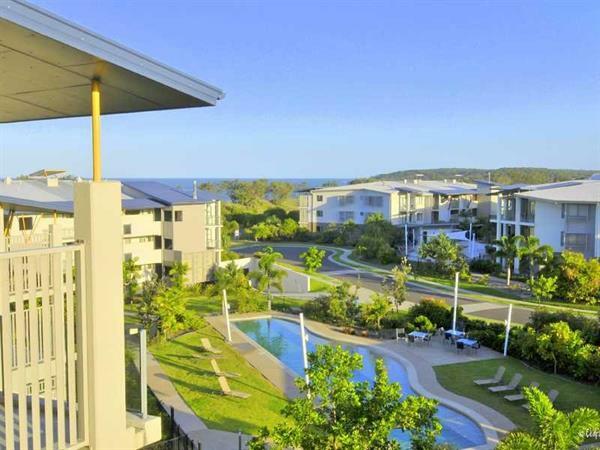 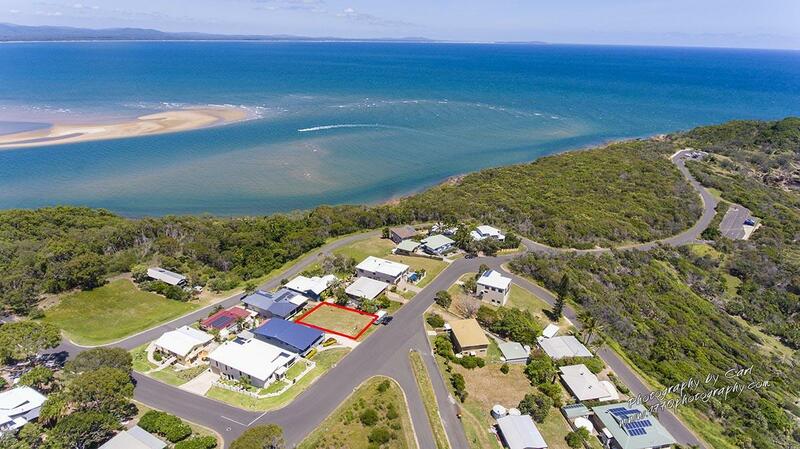 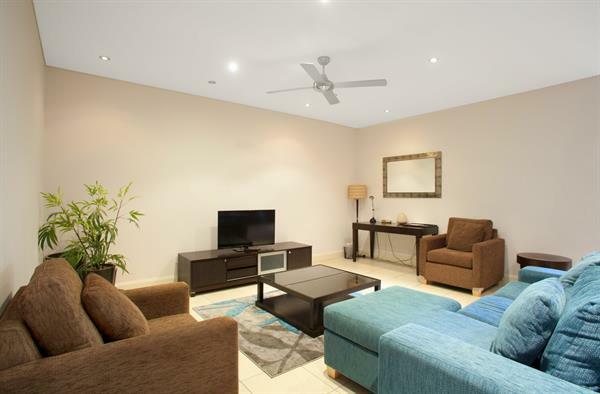 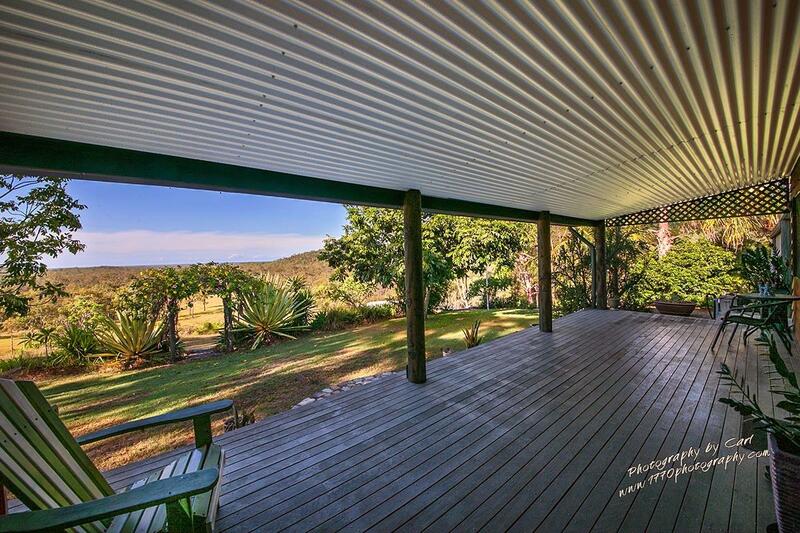 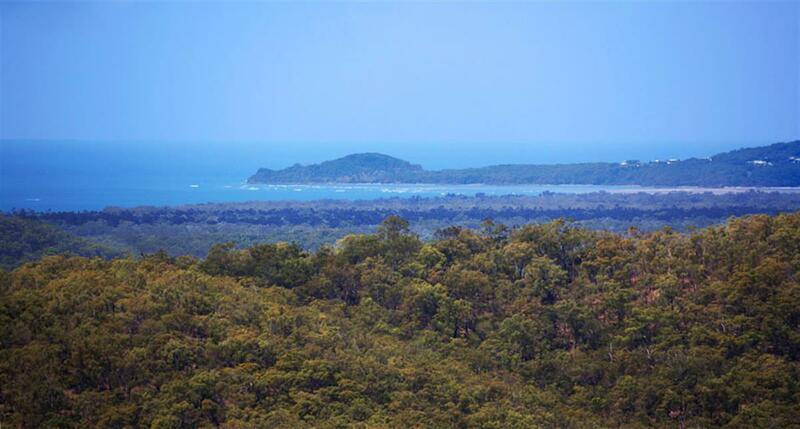 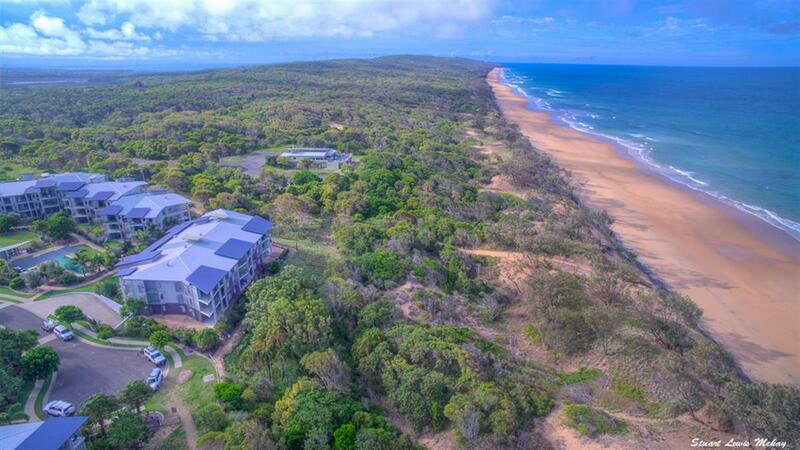 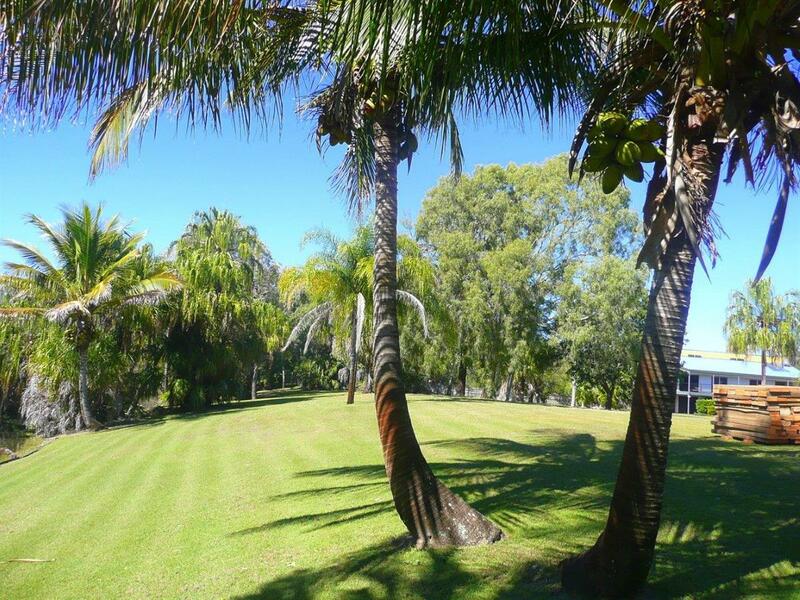 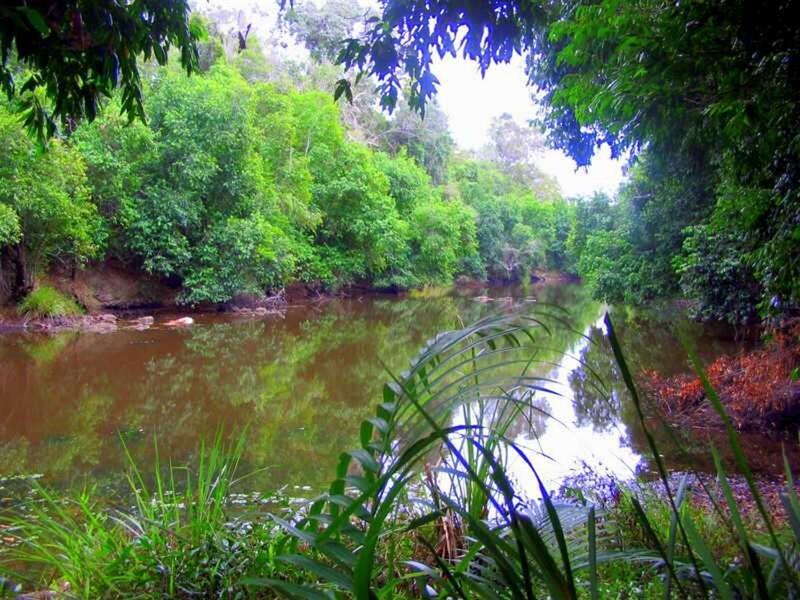 Luxury Beachfront Holiday Accommodation Agnes Water. 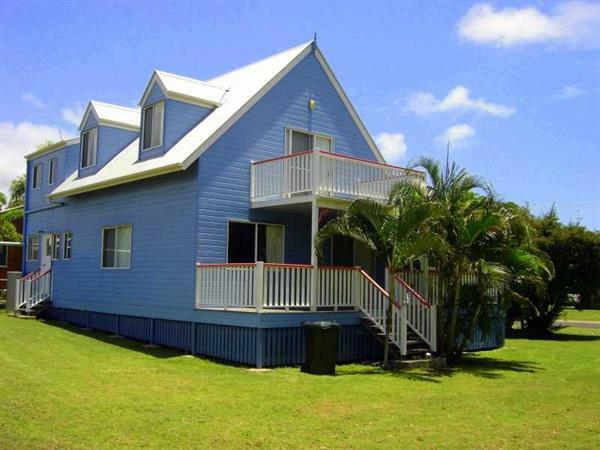 Family Resort Style 5 Bedroom Home. 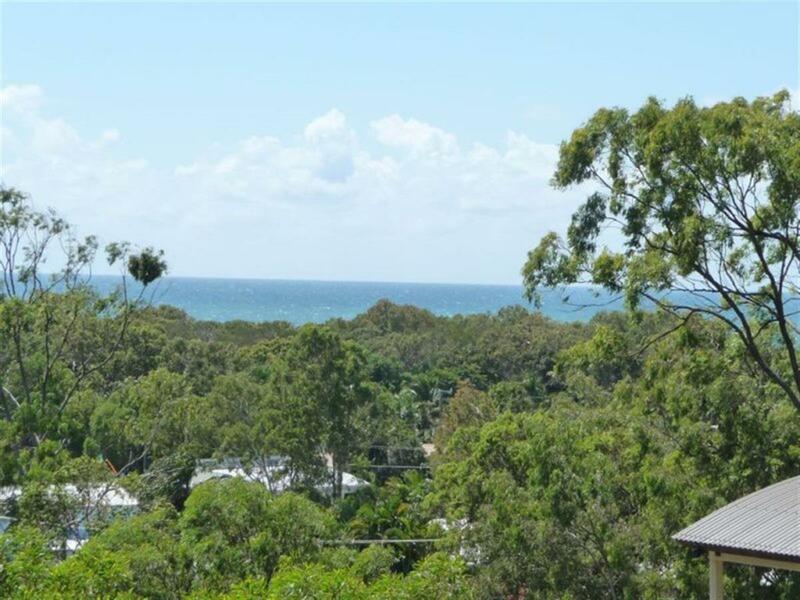 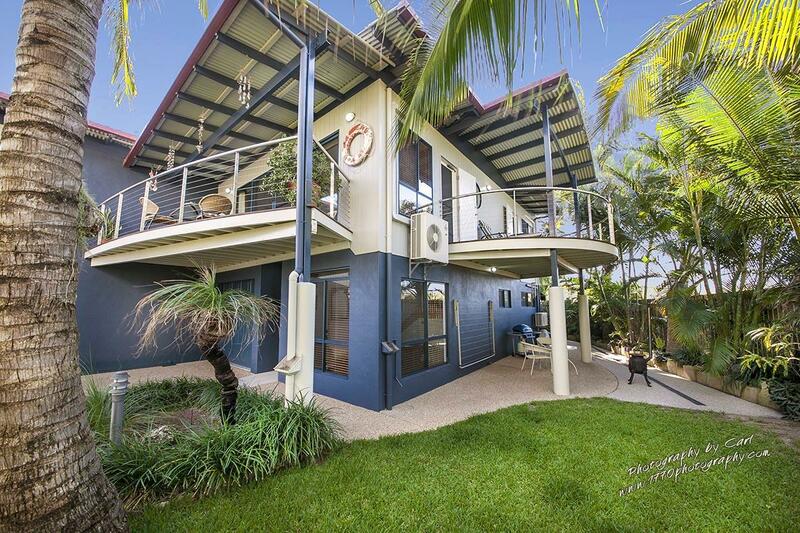 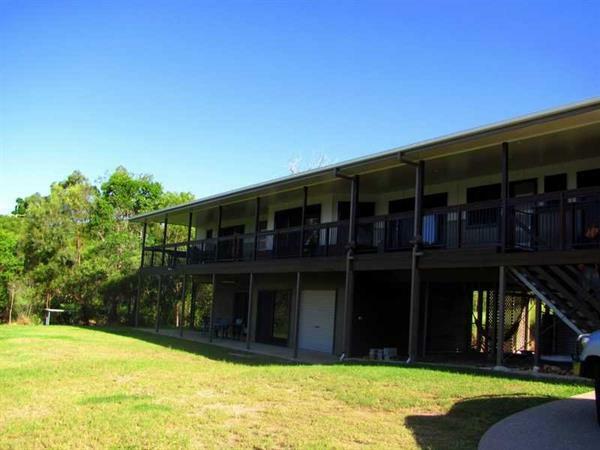 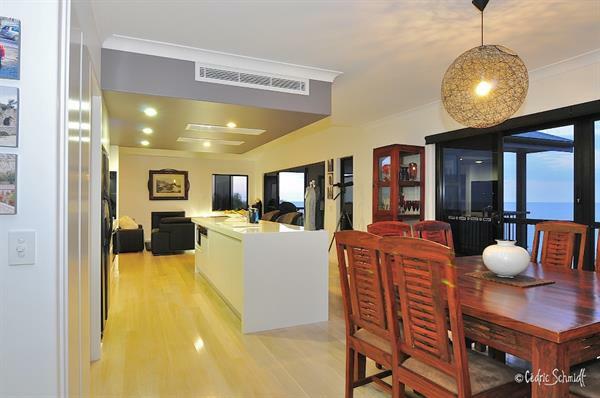 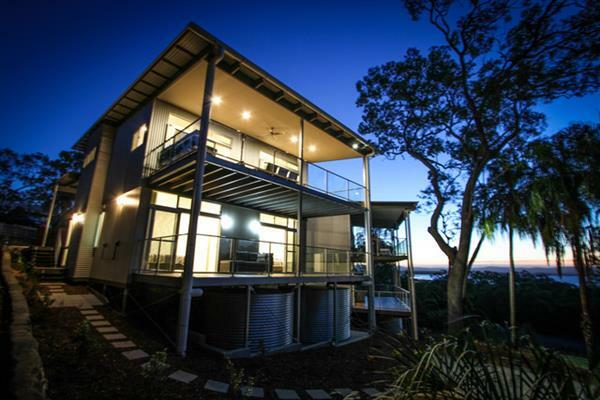 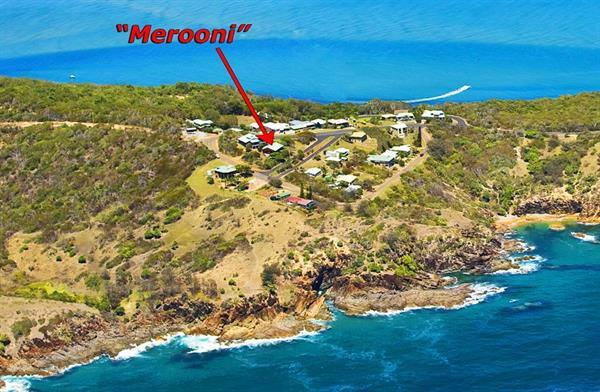 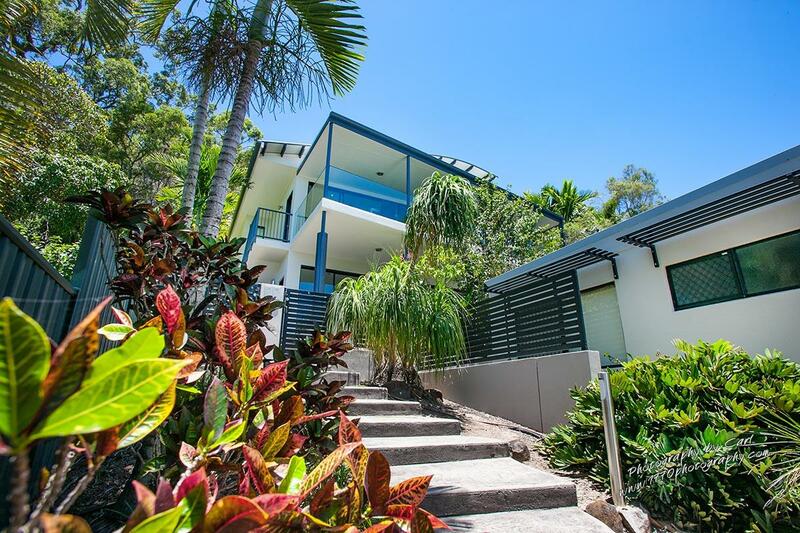 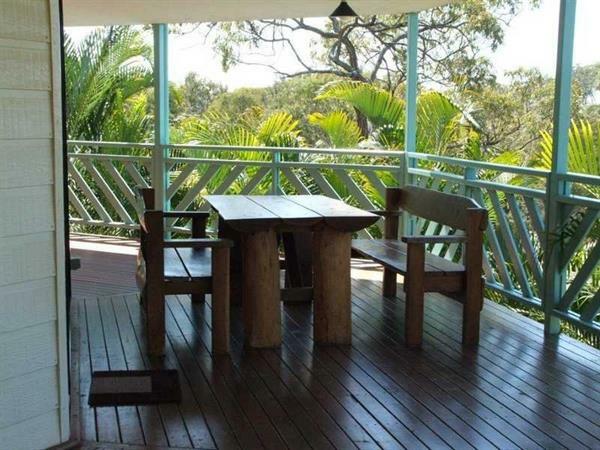 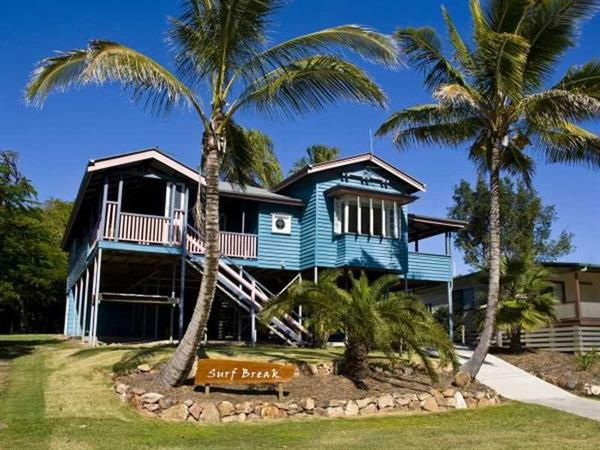 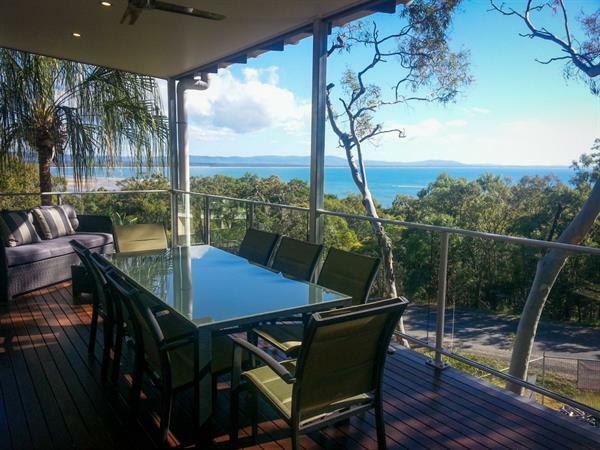 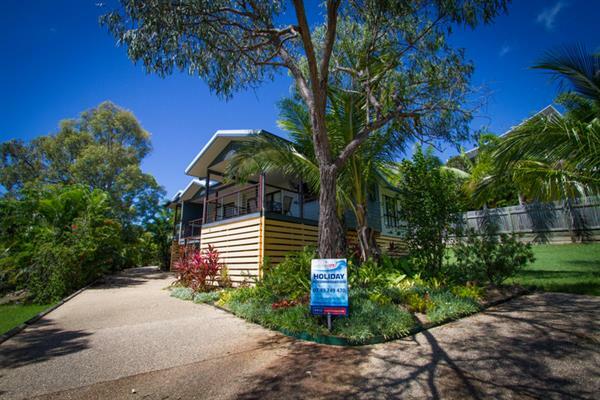 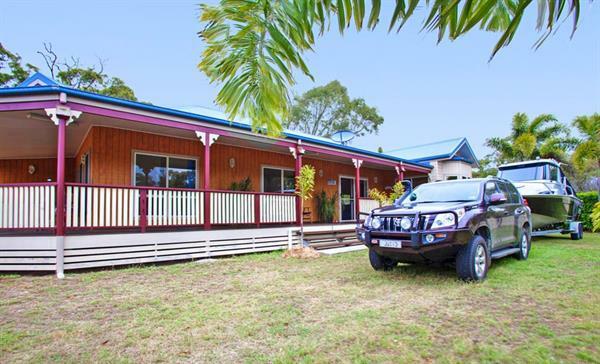 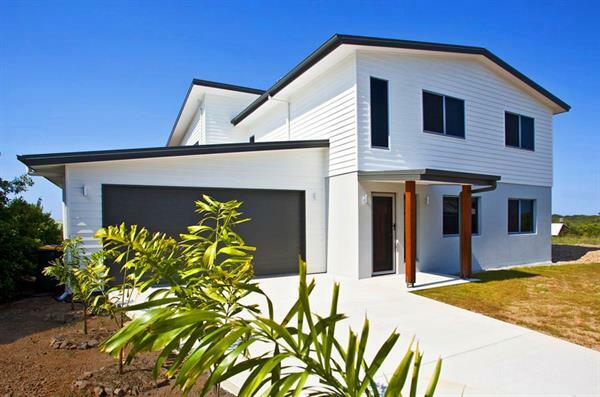 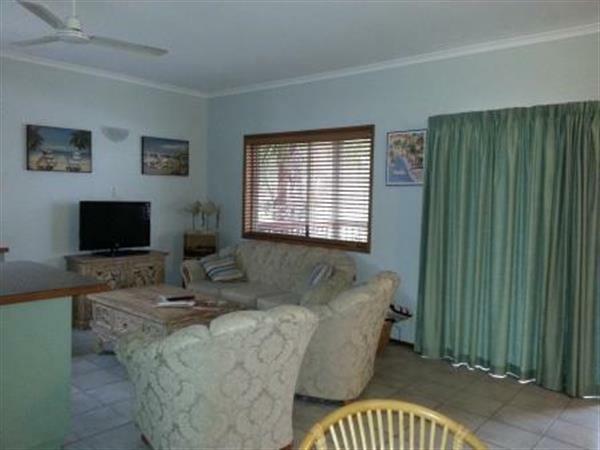 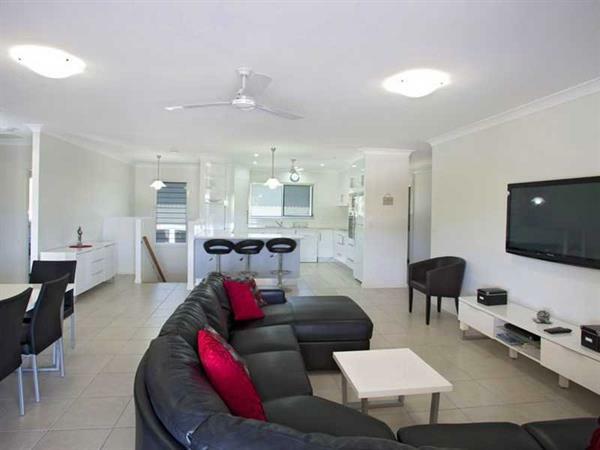 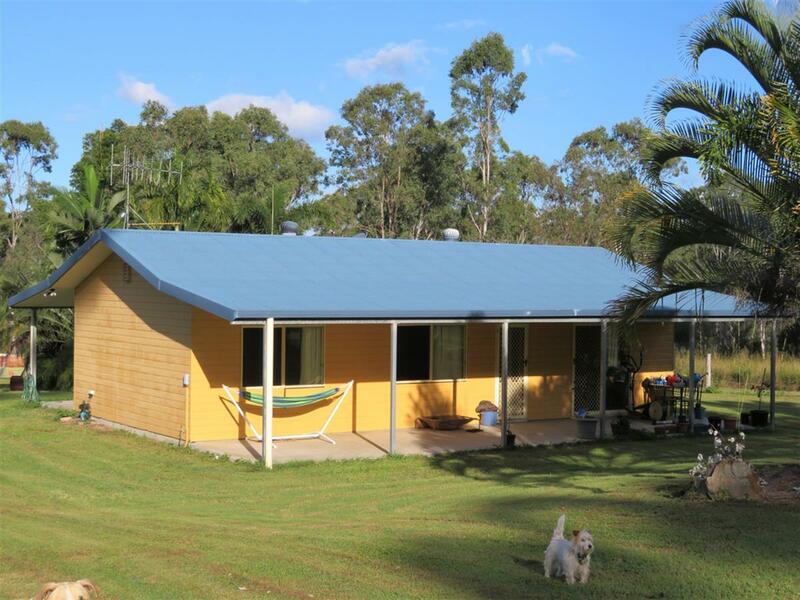 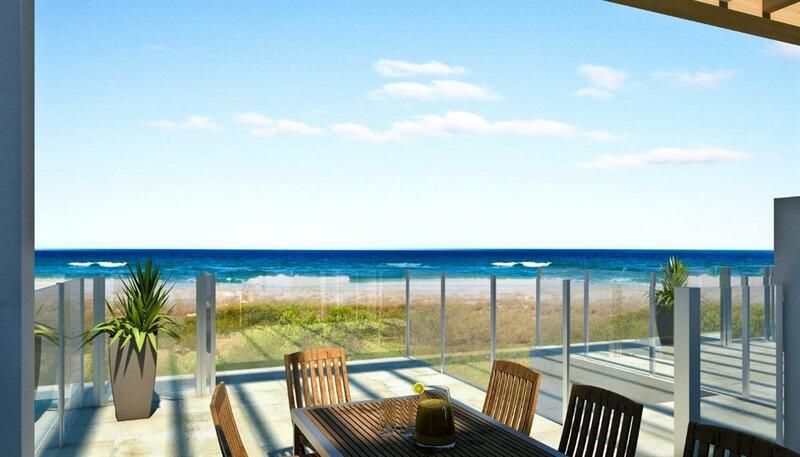 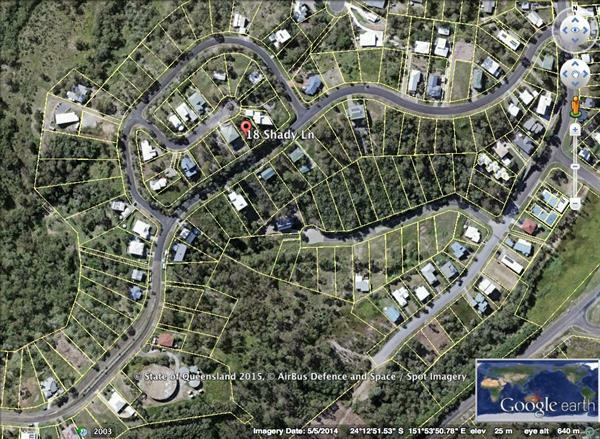 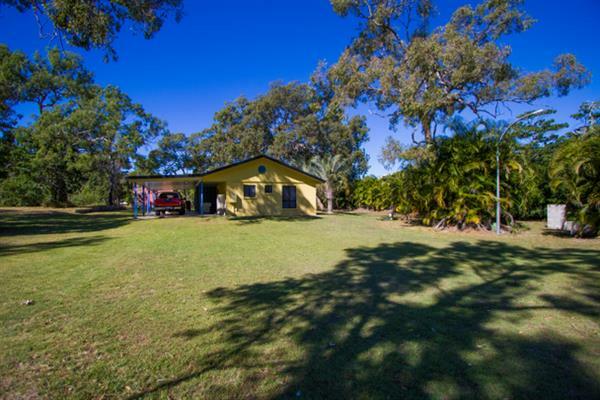 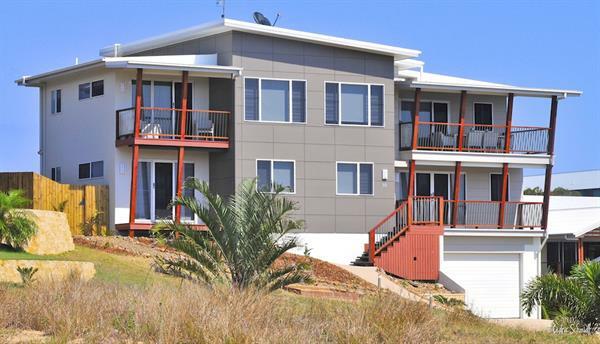 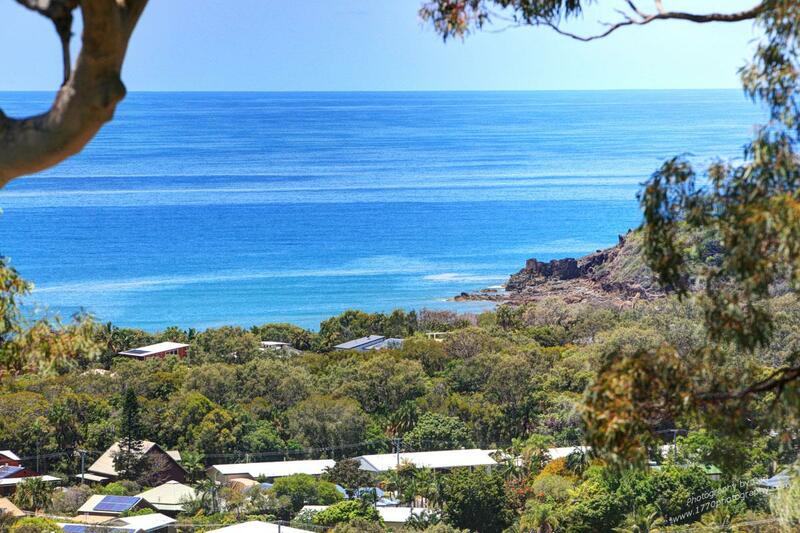 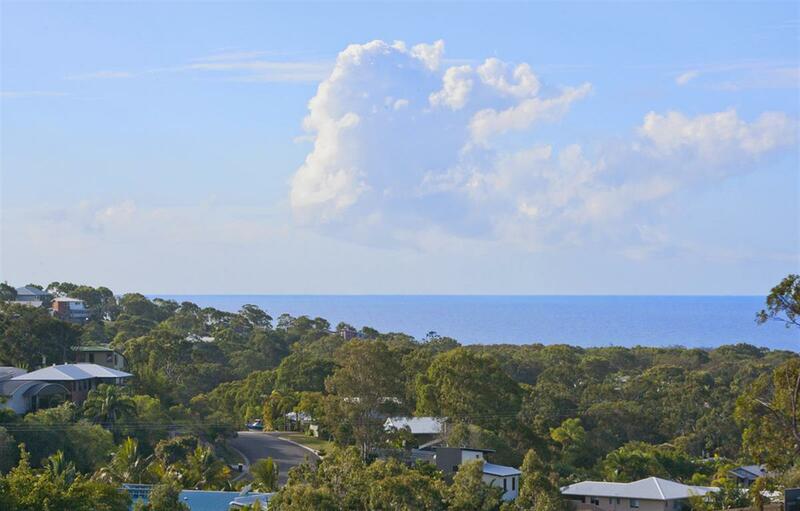 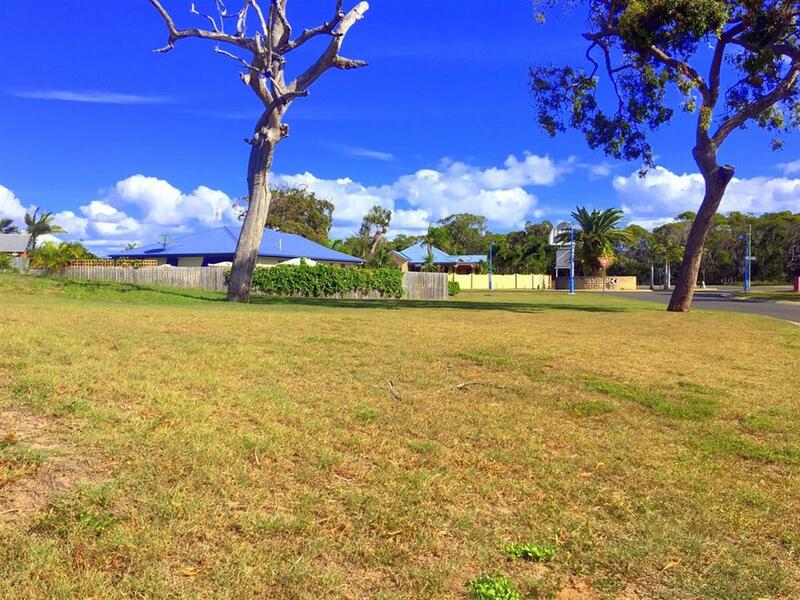 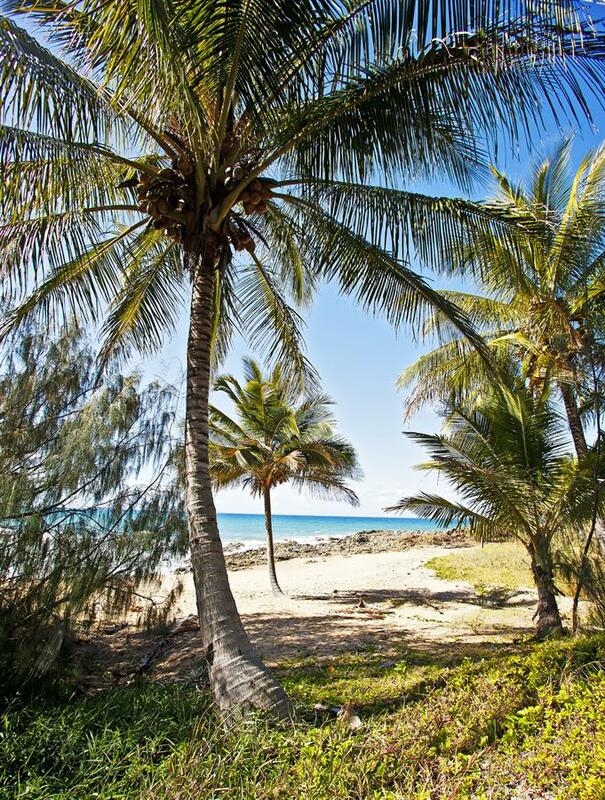 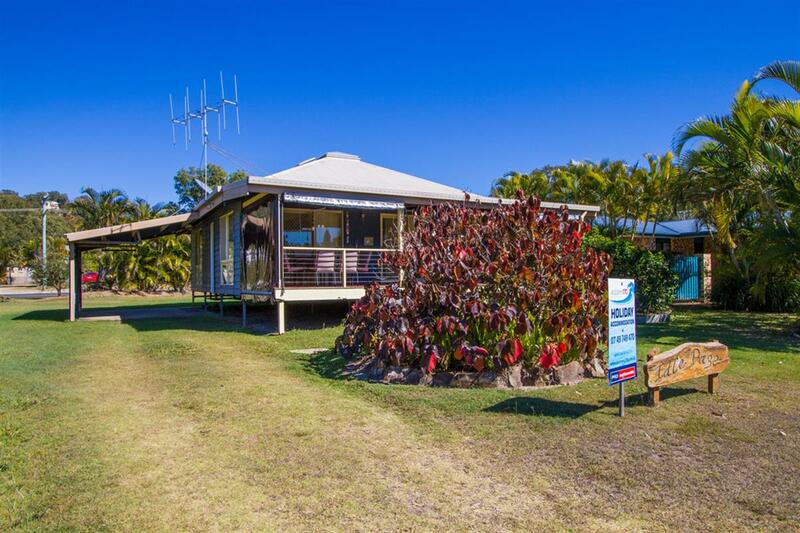 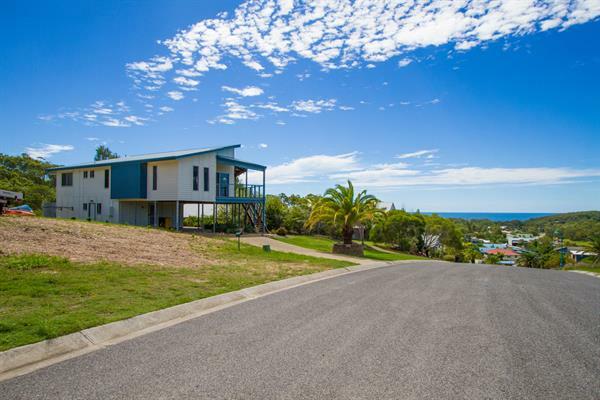 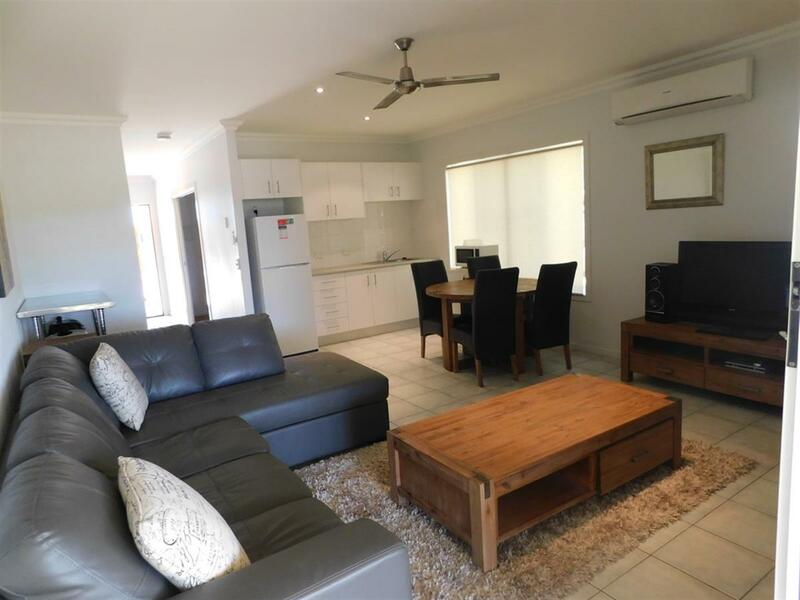 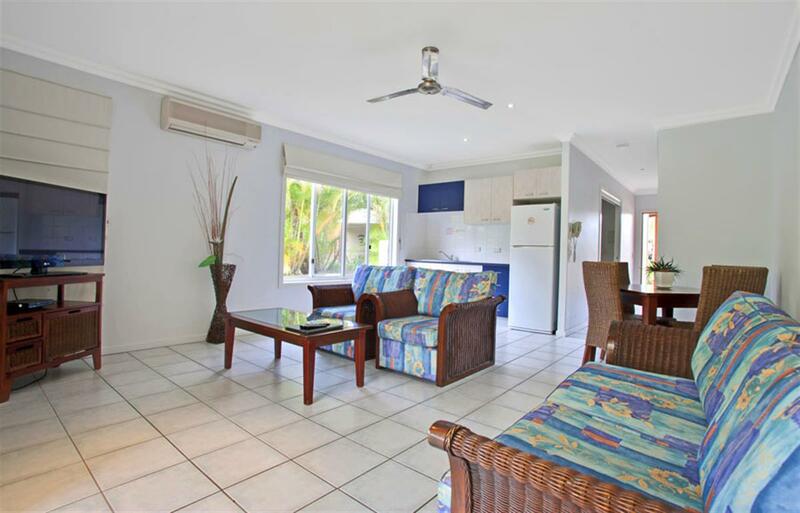 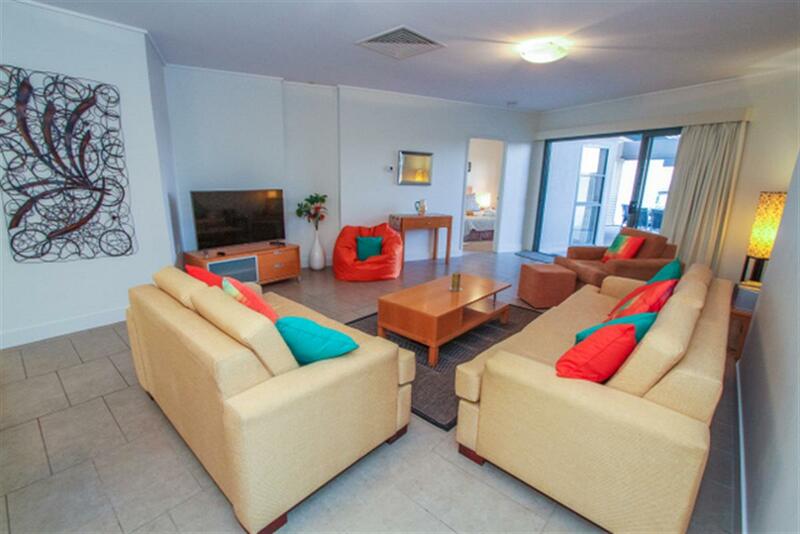 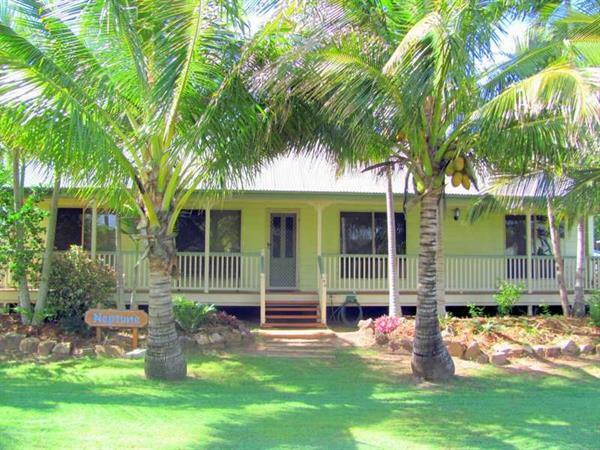 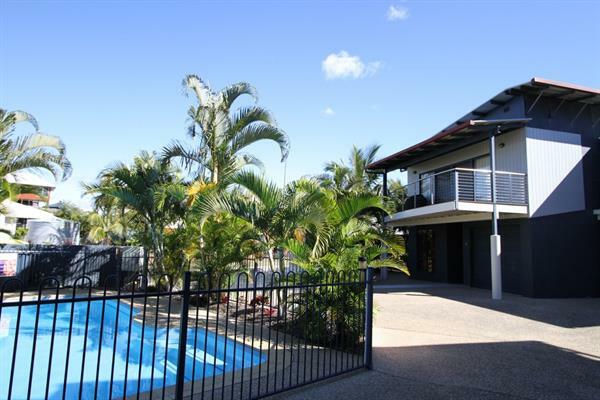 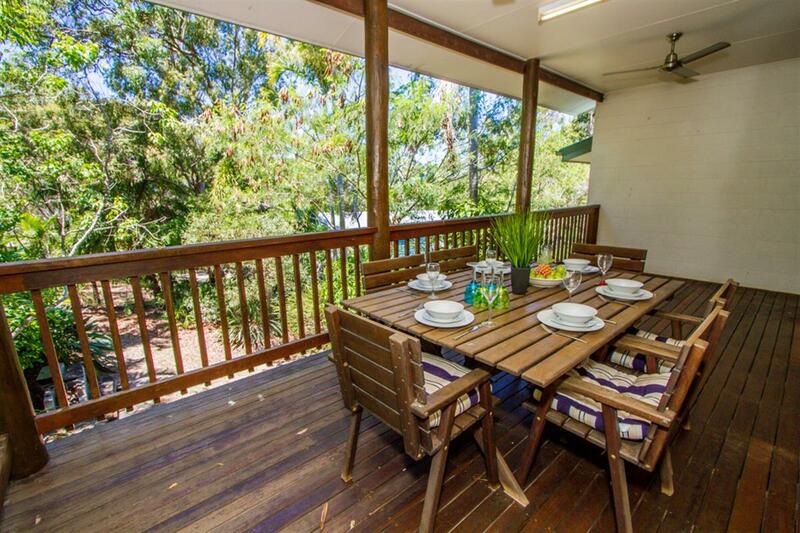 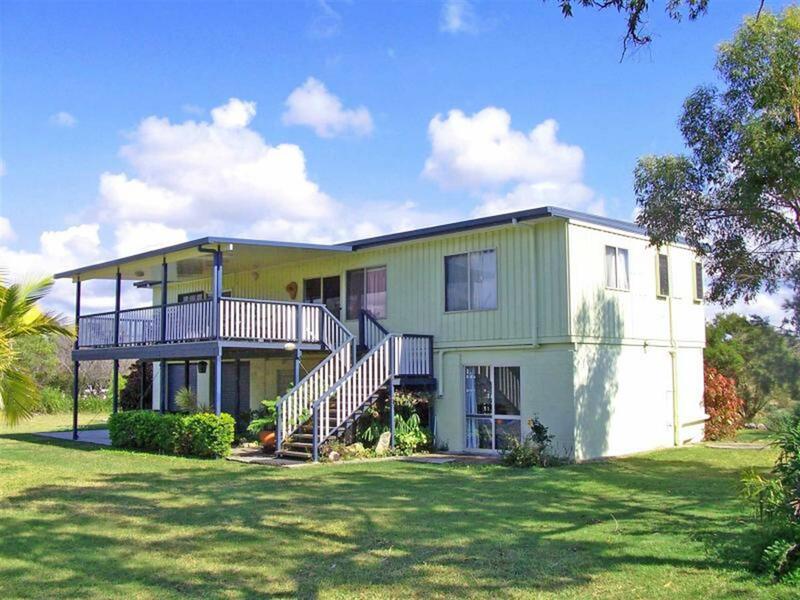 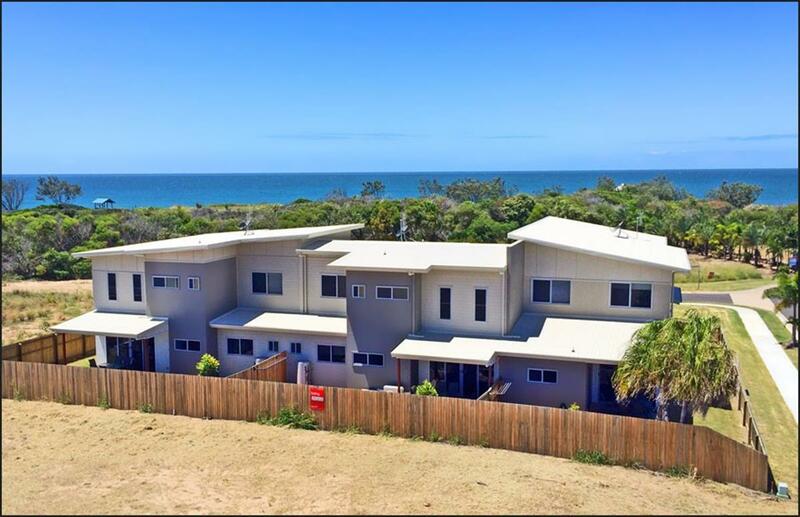 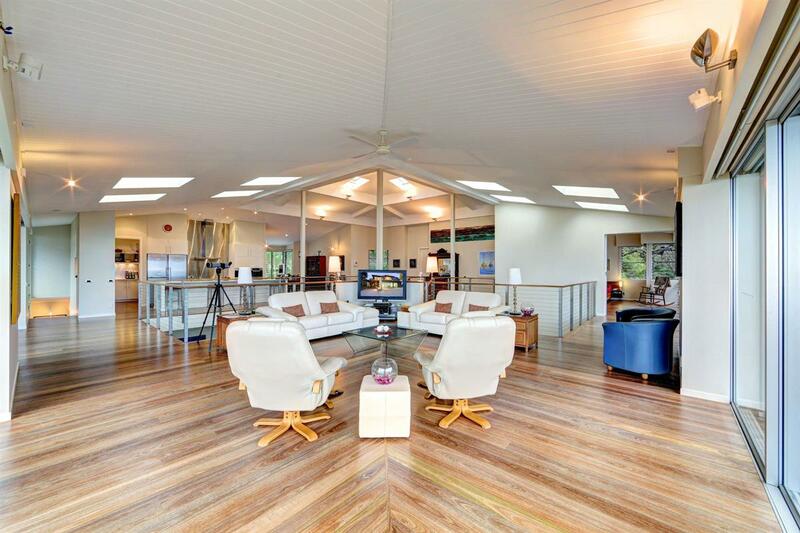 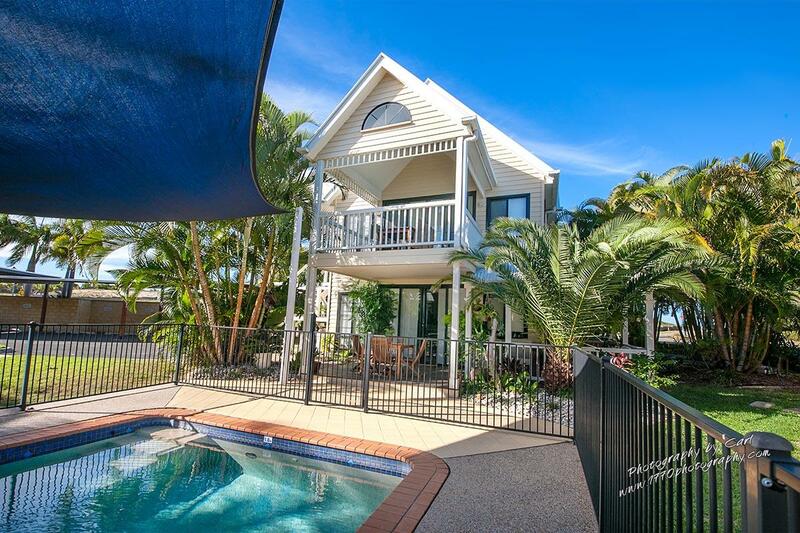 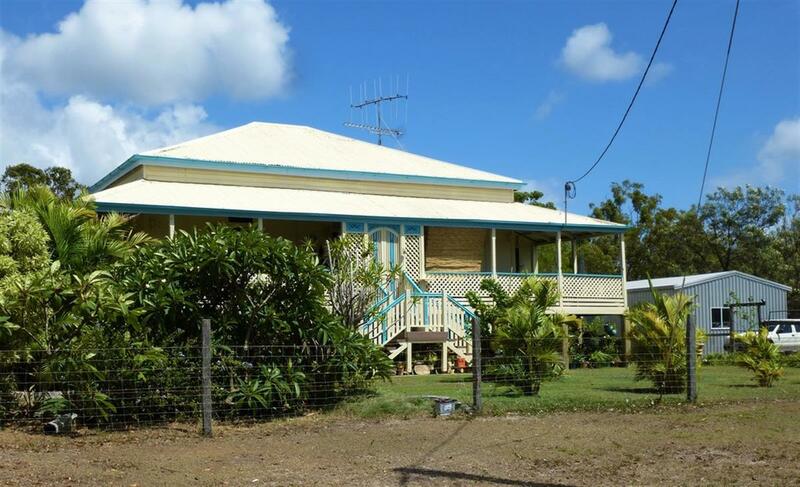 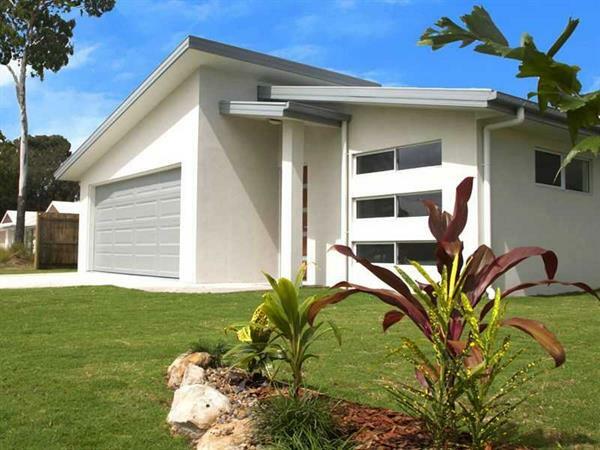 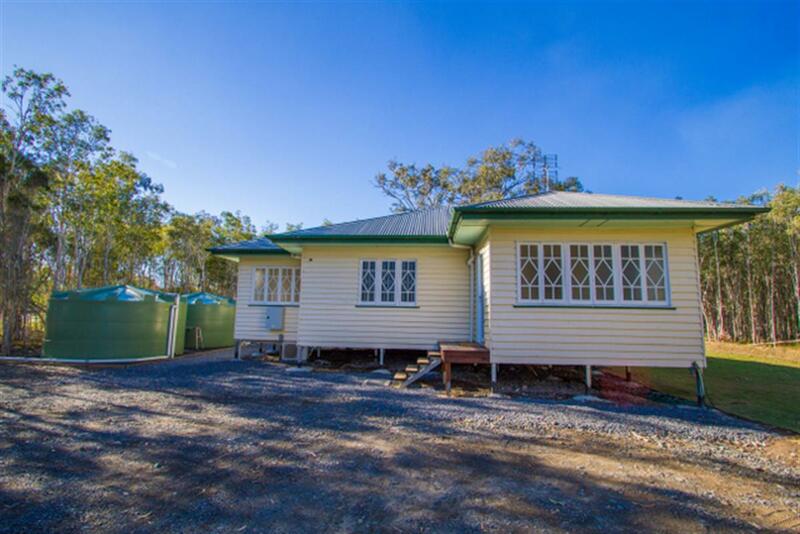 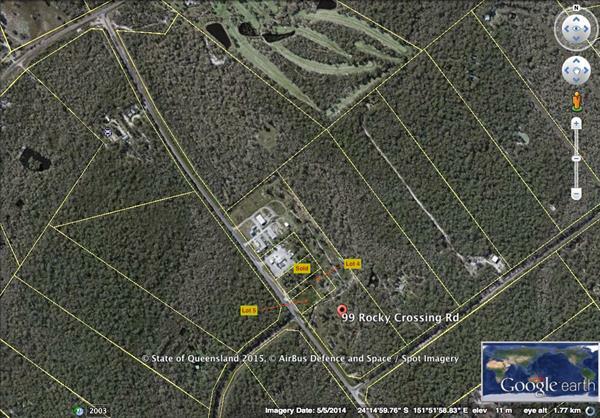 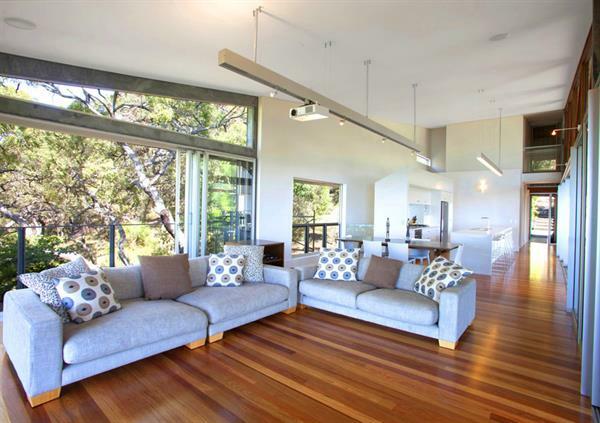 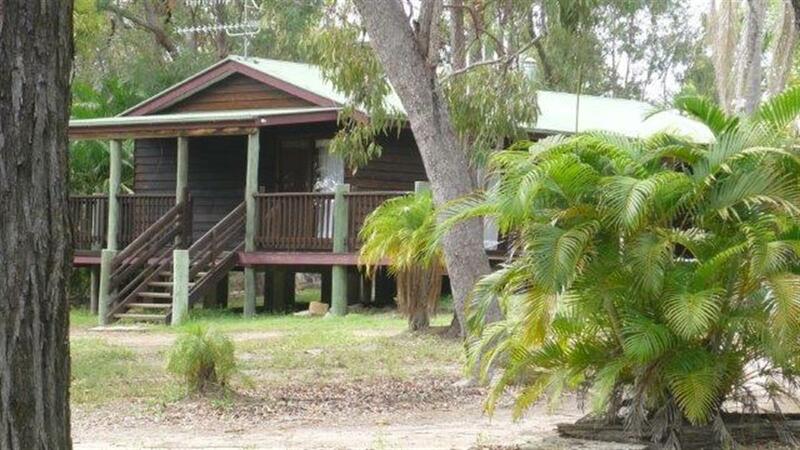 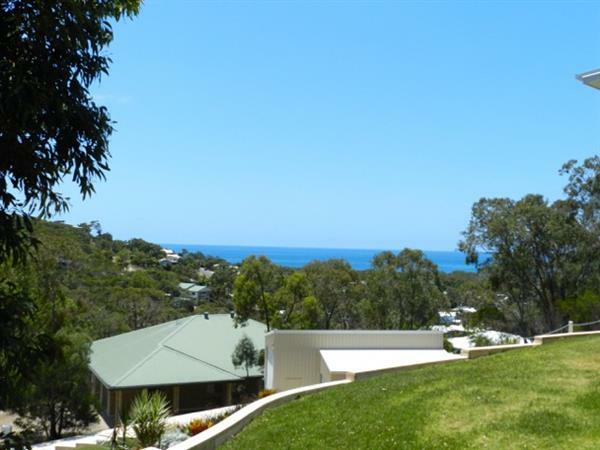 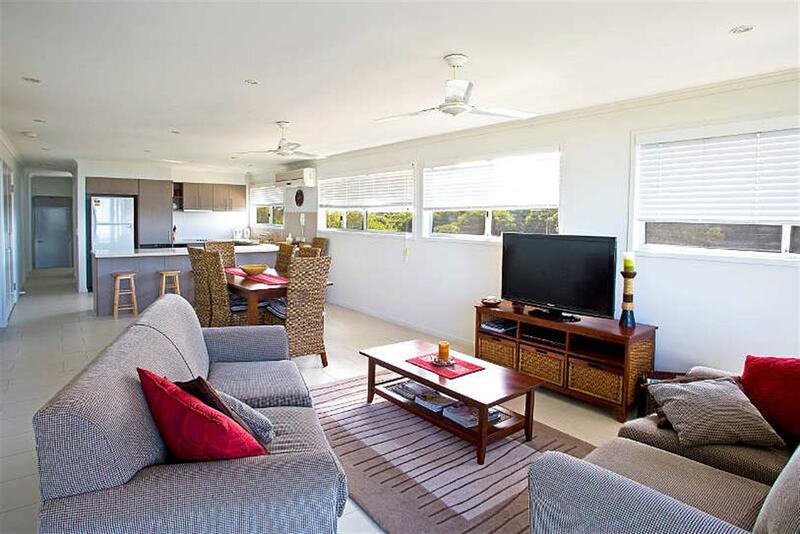 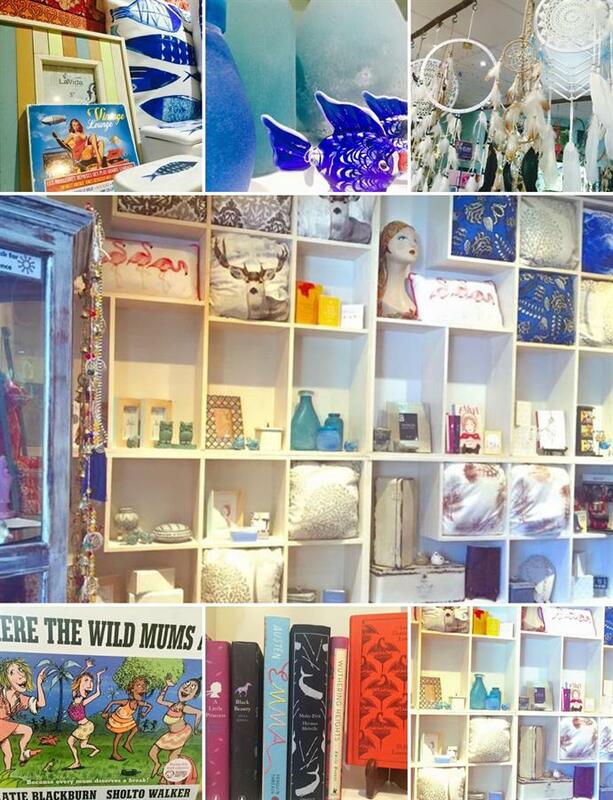 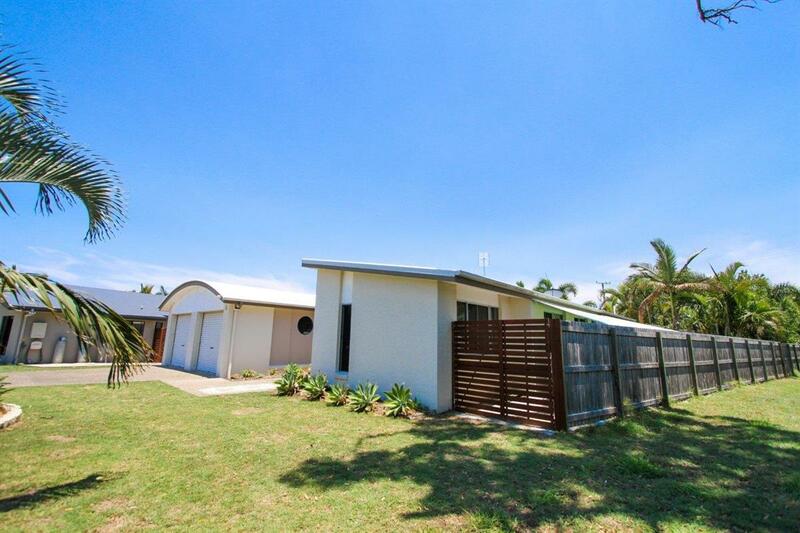 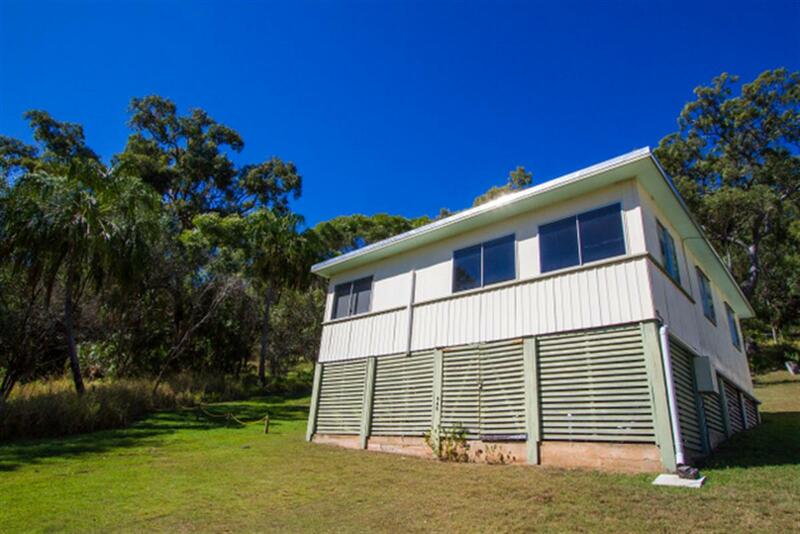 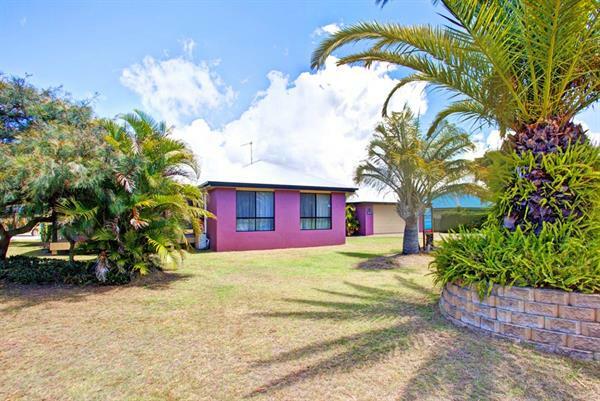 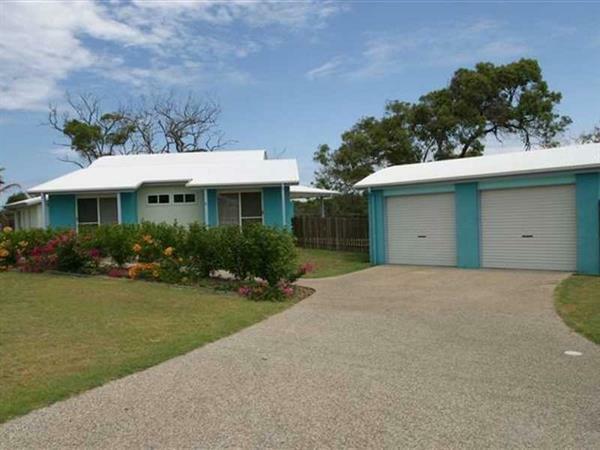 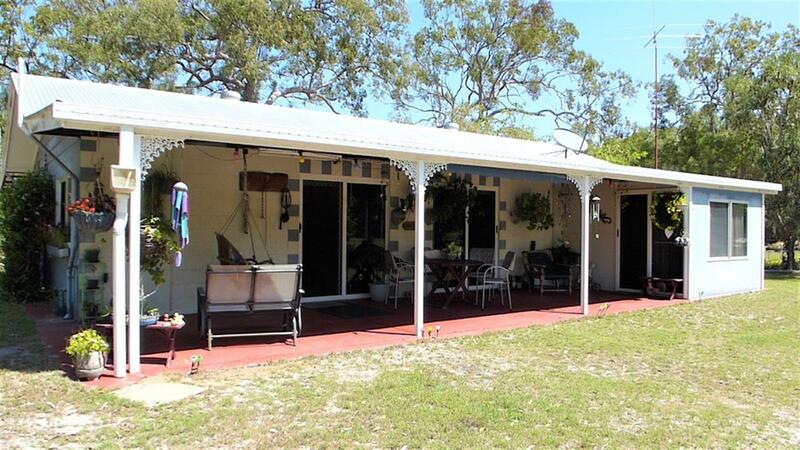 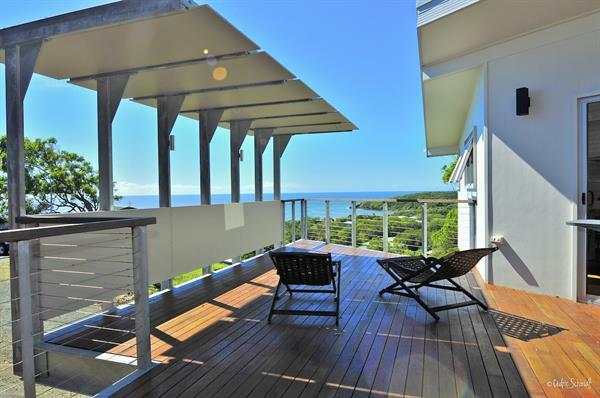 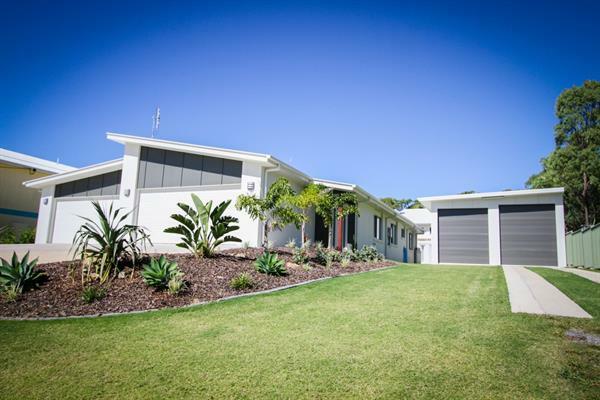 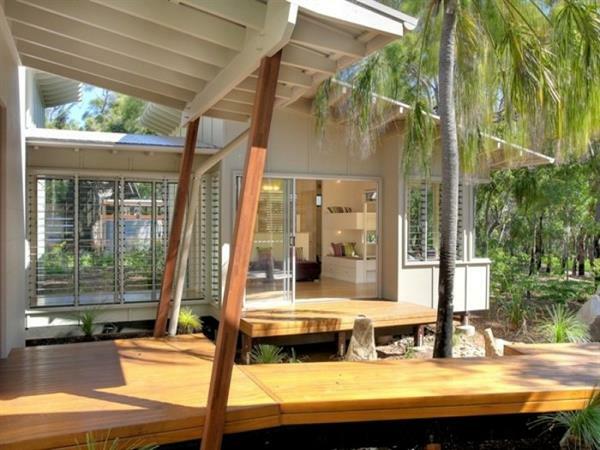 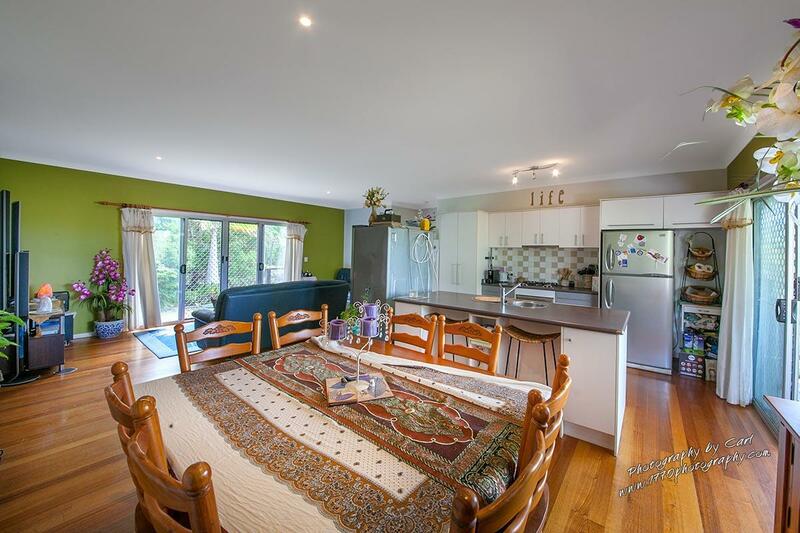 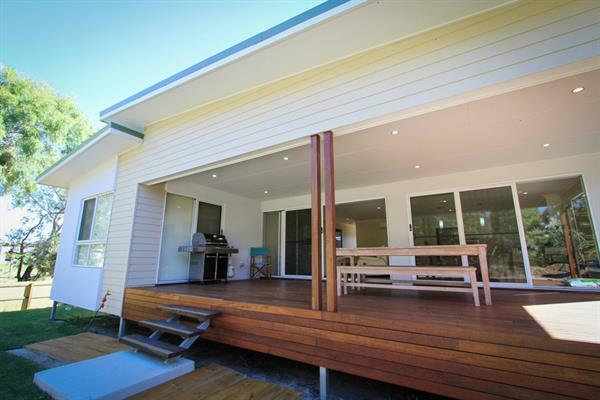 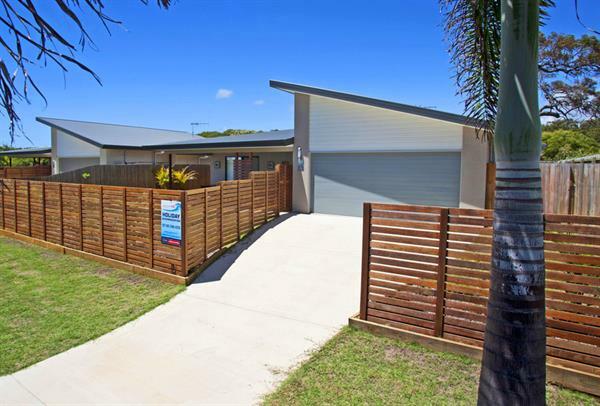 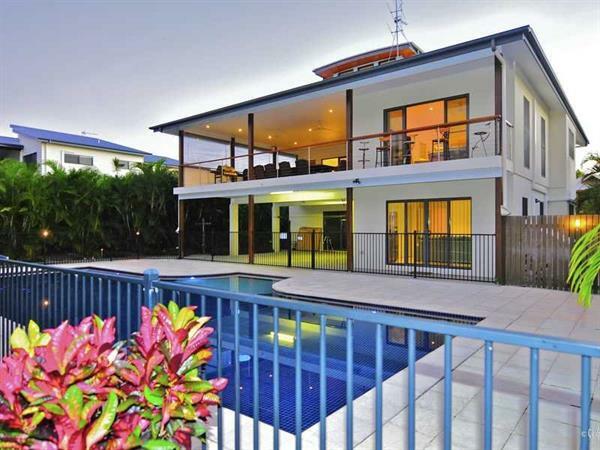 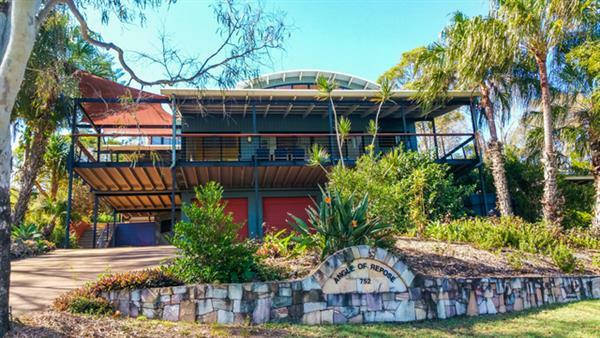 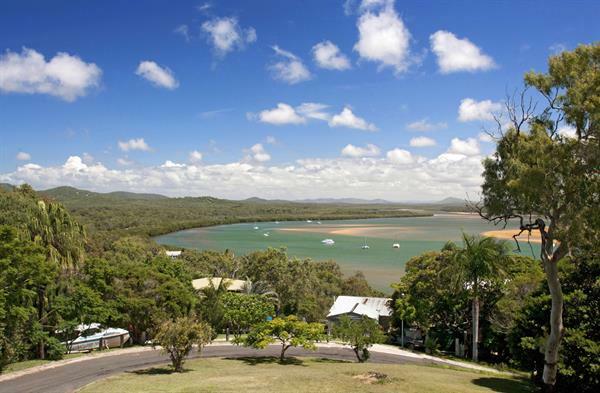 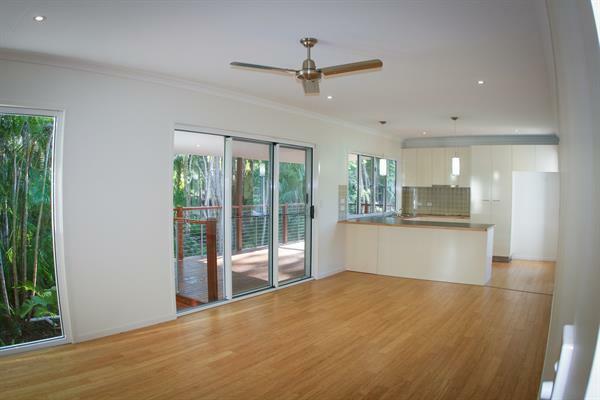 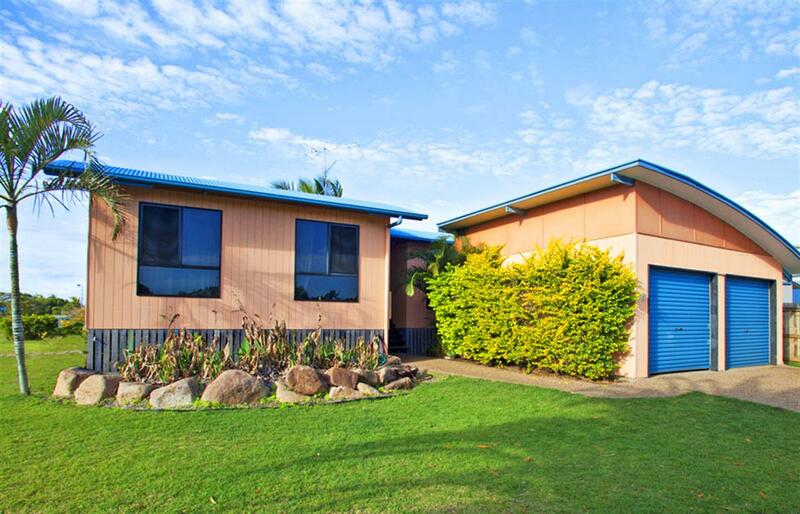 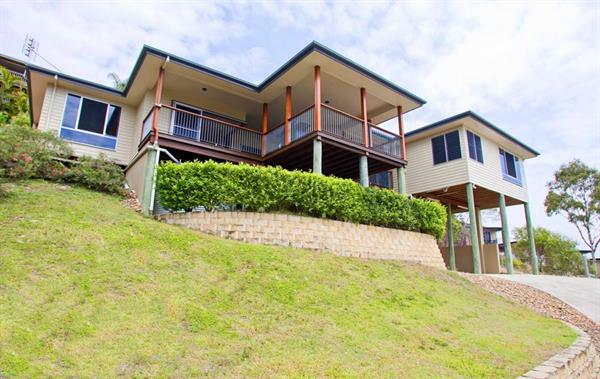 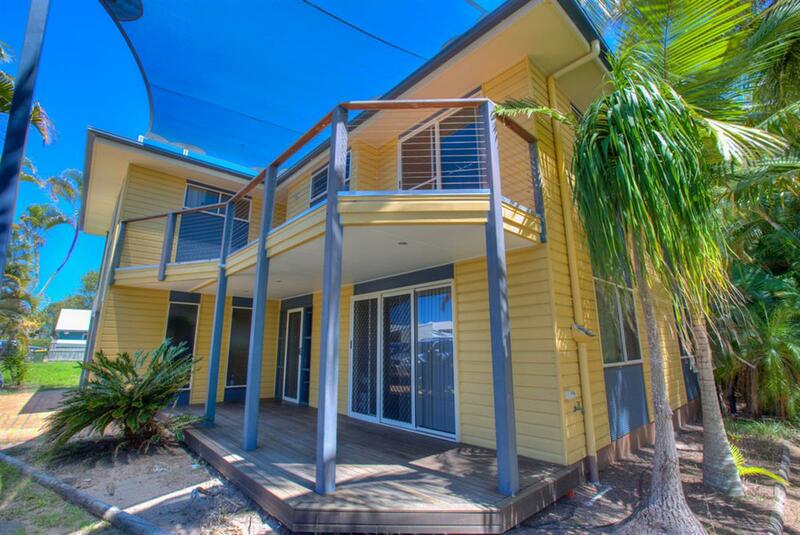 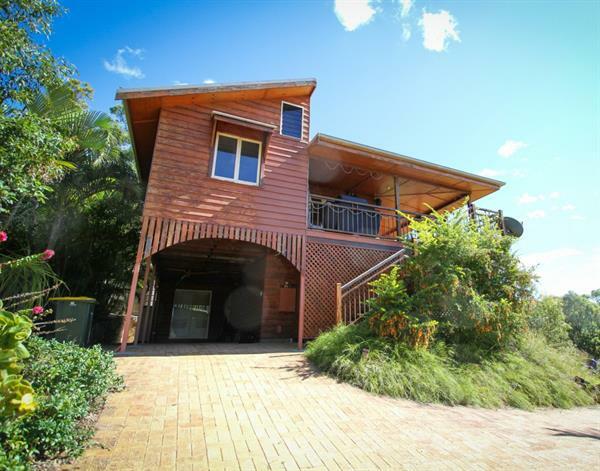 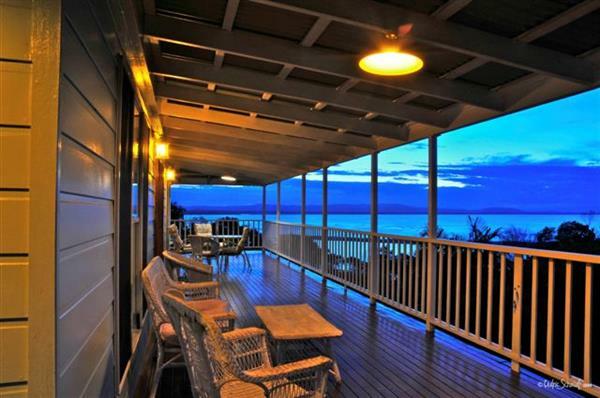 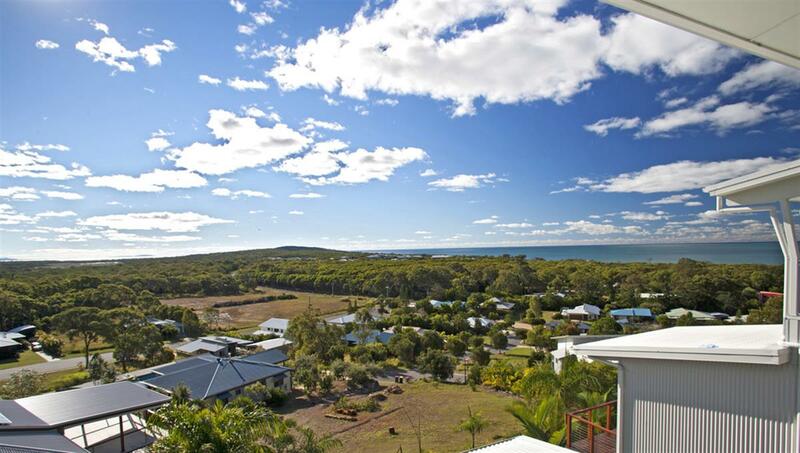 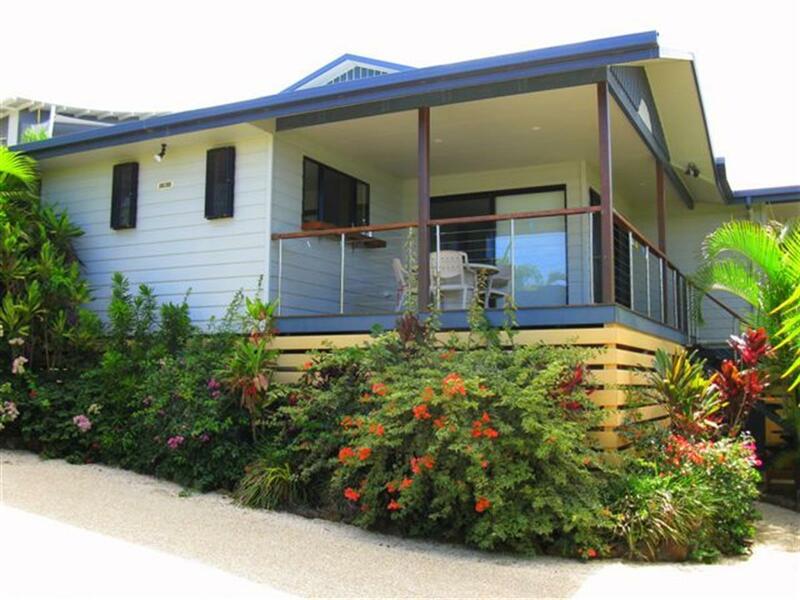 "Don't Panic" beach house is resort style accommodation located on the main beachfront in Agnes Water Queensland. 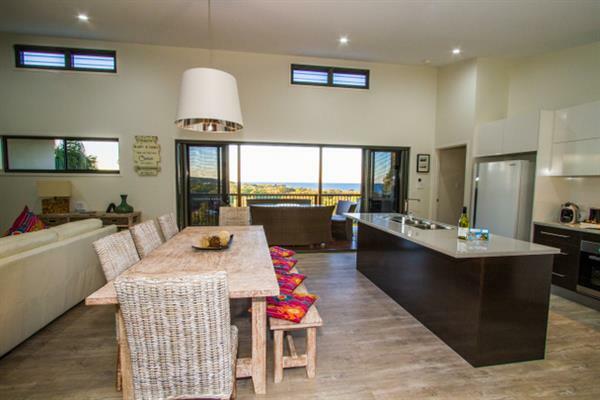 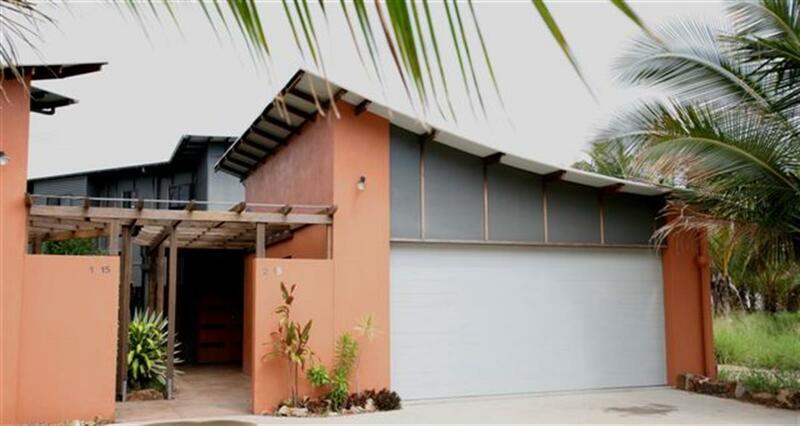 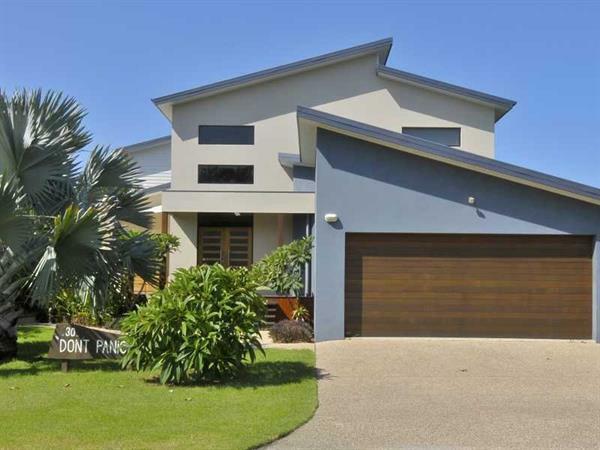 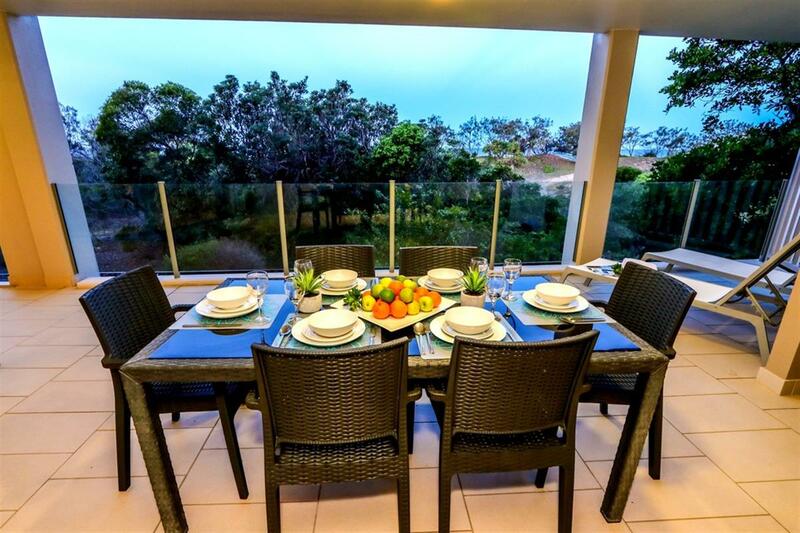 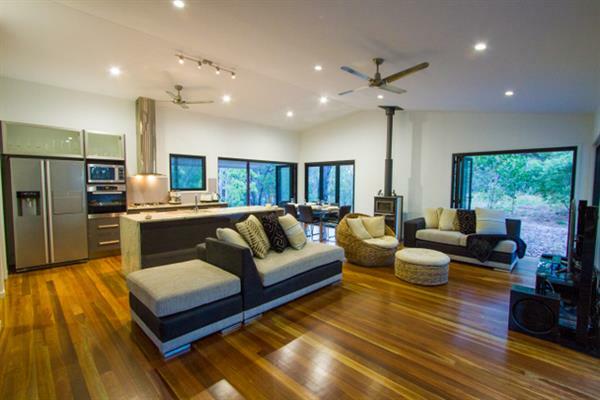 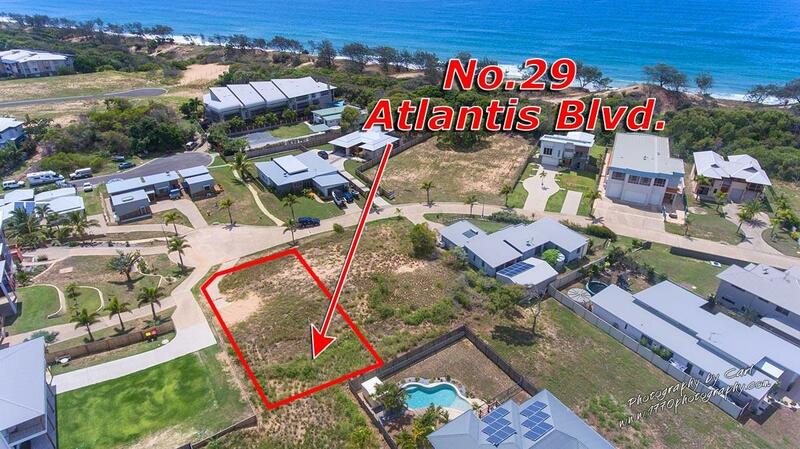 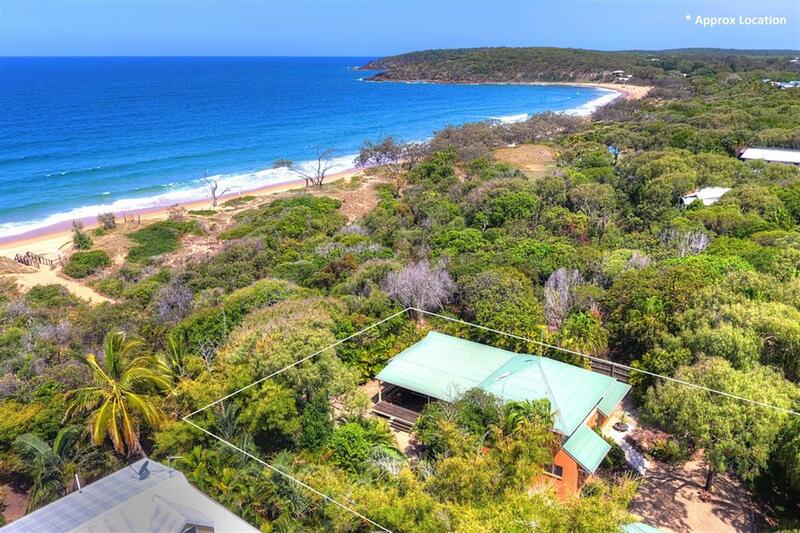 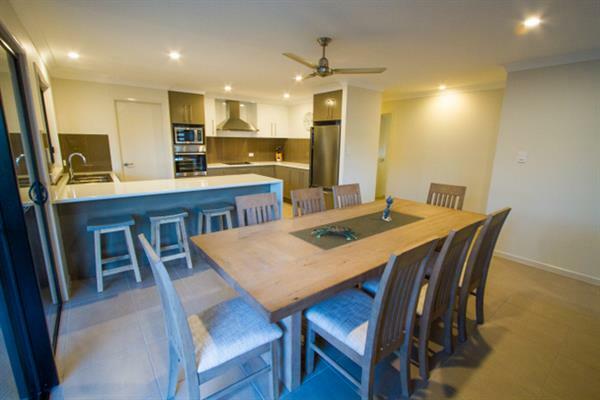 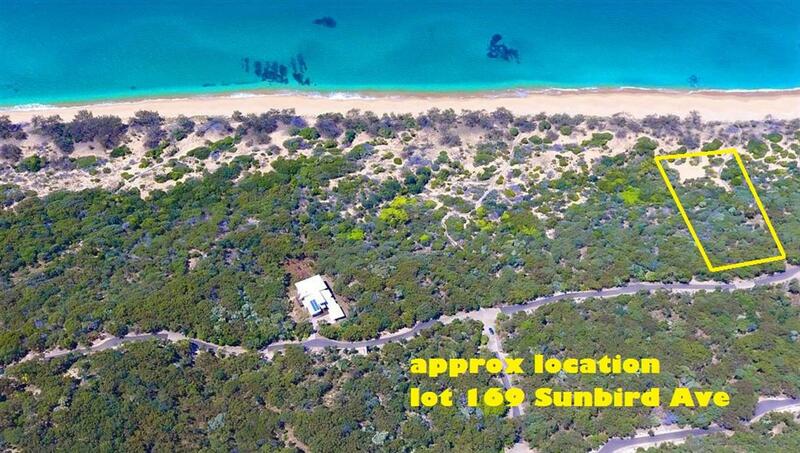 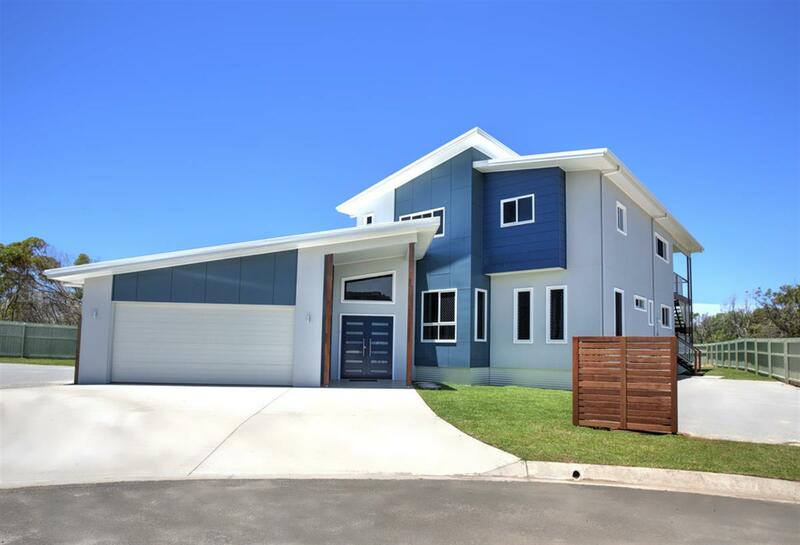 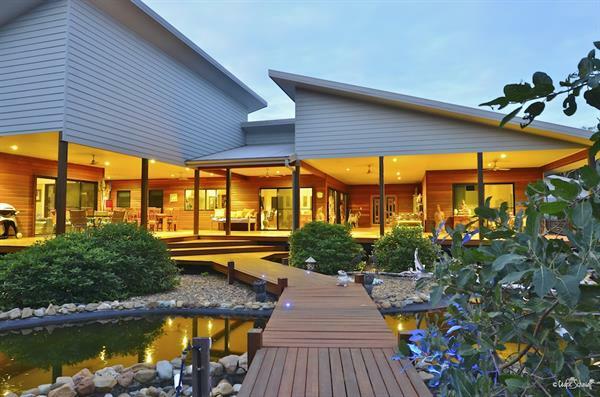 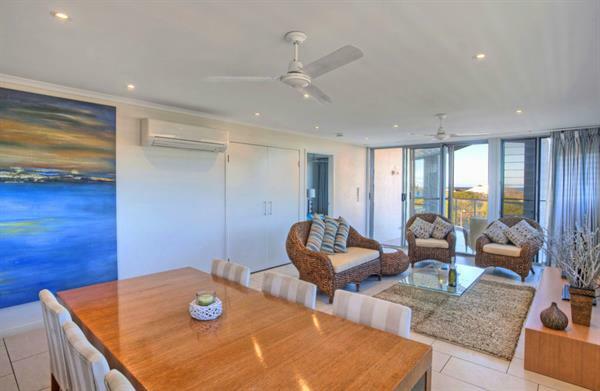 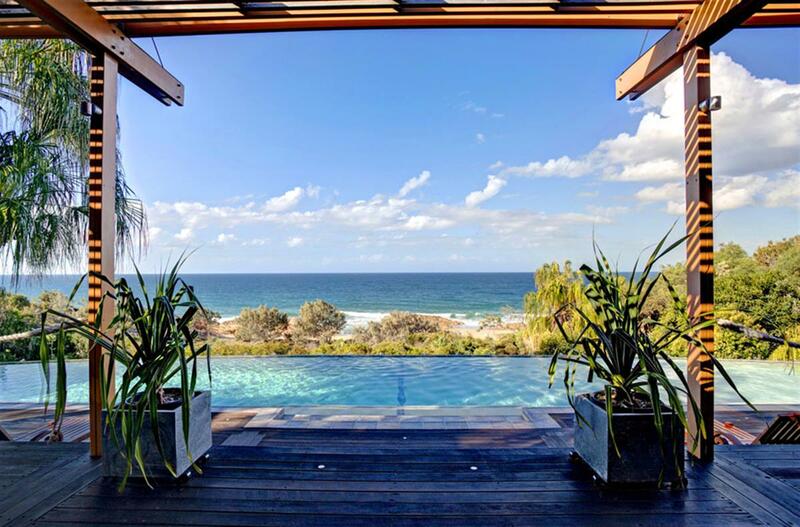 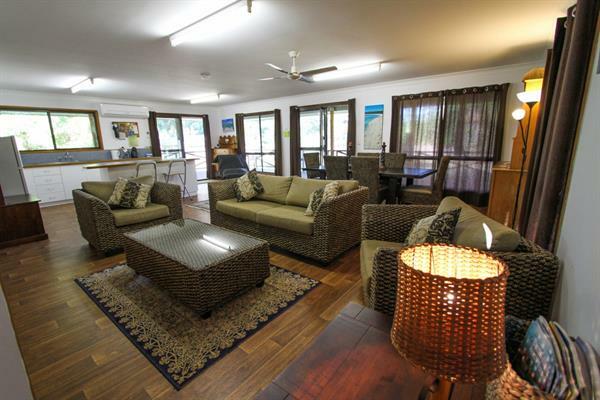 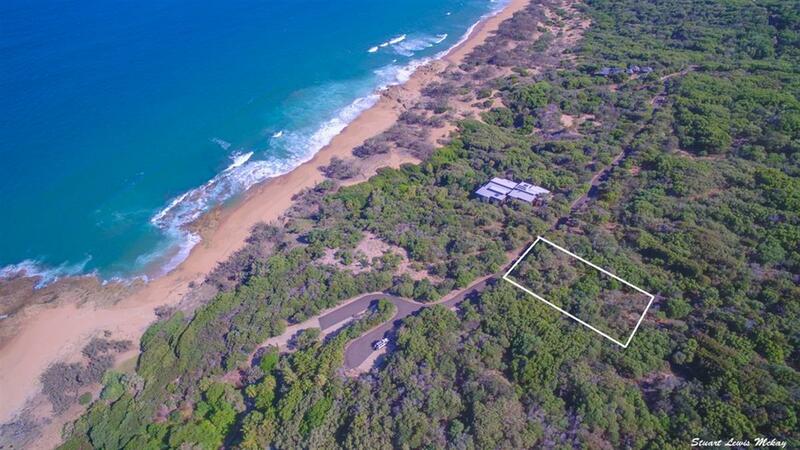 This spaciously designed luxury beach house hideaway is the perfect choice for one or two families seeking a luxury beach house rental right on the beachfront of the glorious palm fringed Agnes Water surf beach. 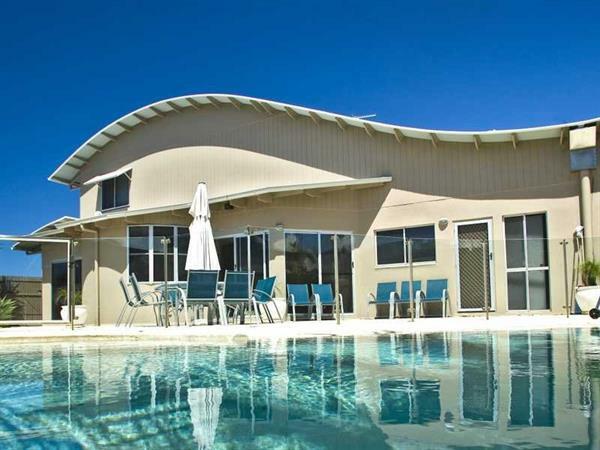 With generous beachfront holiday accommodation spread over two levels, Don't Panic holiday house sleeps up to 12 people in 5 spacious bedrooms, has a resort style swimming pool with separate living and kitchen facilities and is ideally located on the Queensland coastline one & half hours drive from Gladstone and is renowned as the last surf beach heading north whilst also providing access the the first coral reefs on the Great Barrier Reef. 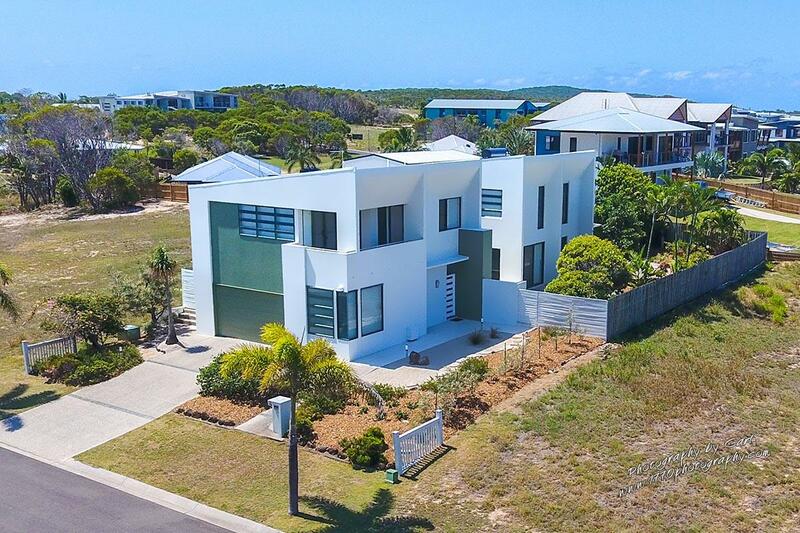 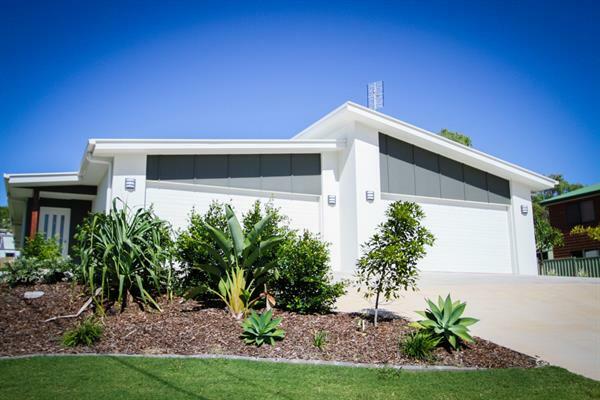 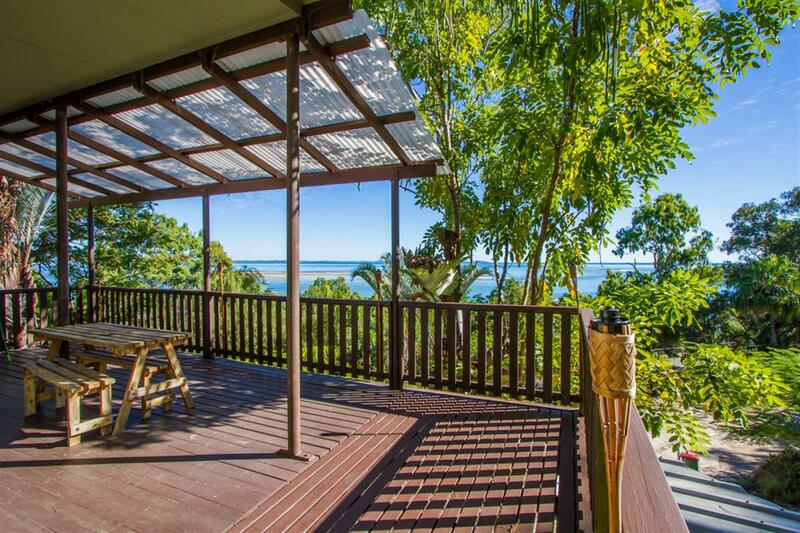 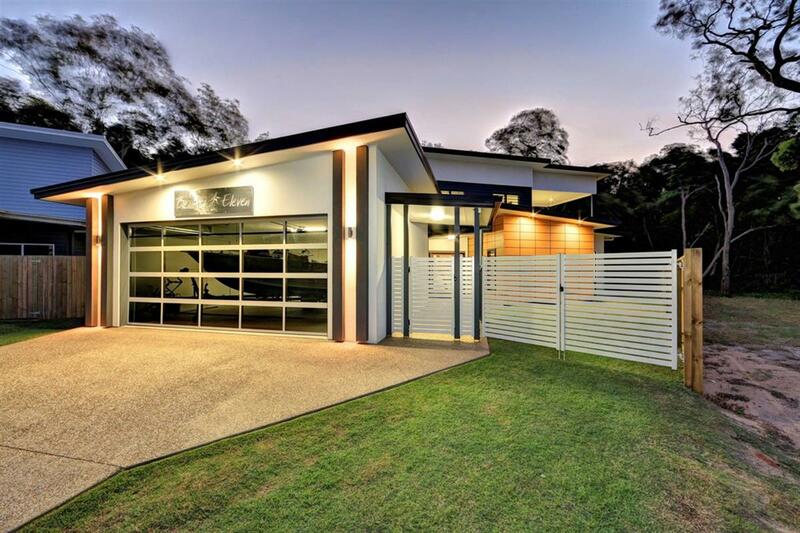 A fully self-contained luxury beach house with superb interior design features, this architecturally designed exclusive holiday house offers guests a glorious Queensland holiday in a tropical paradise. 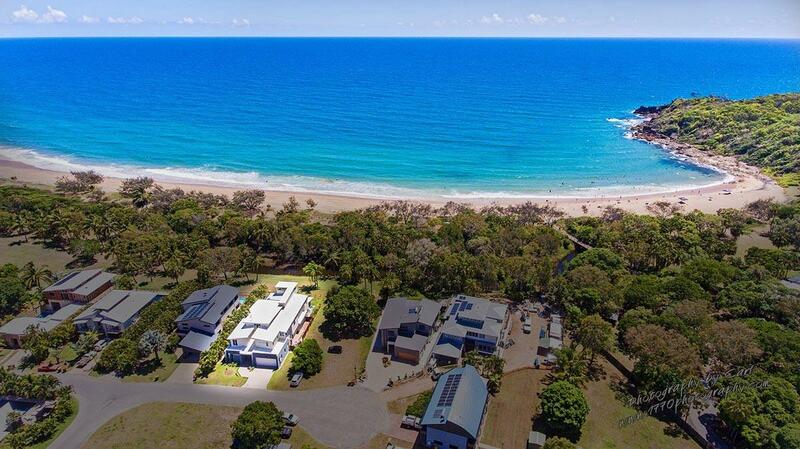 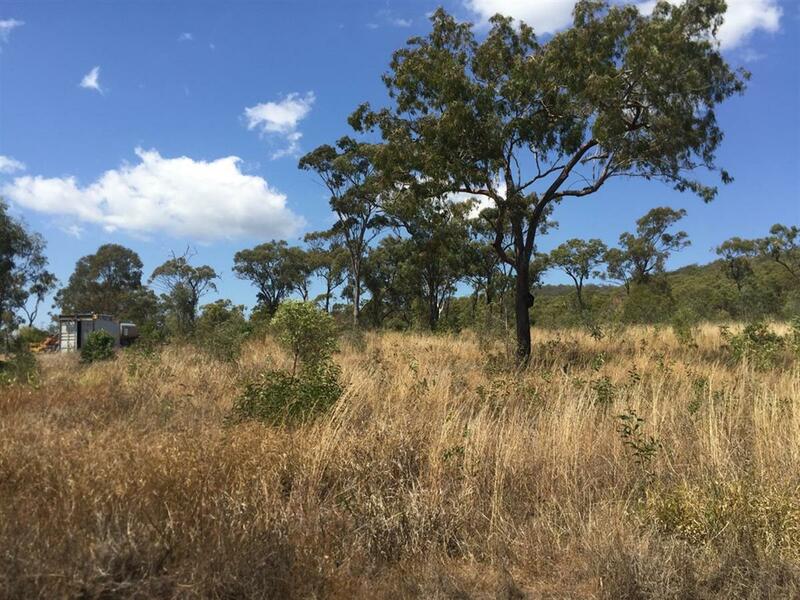 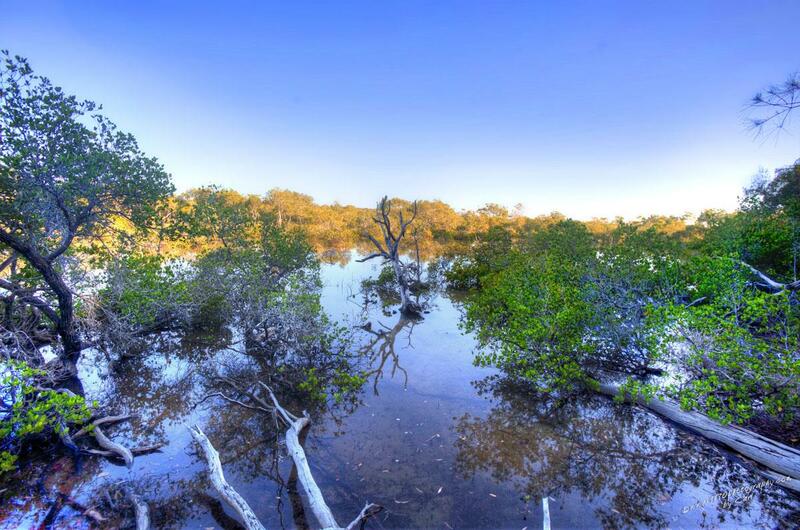 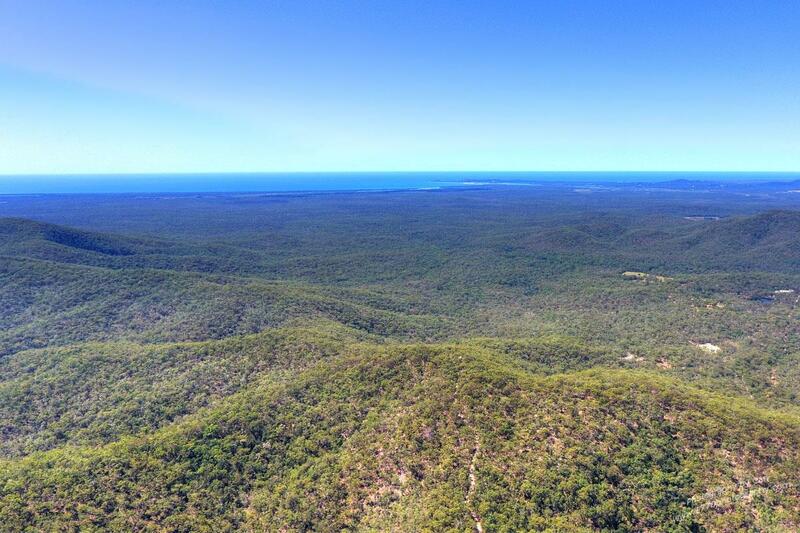 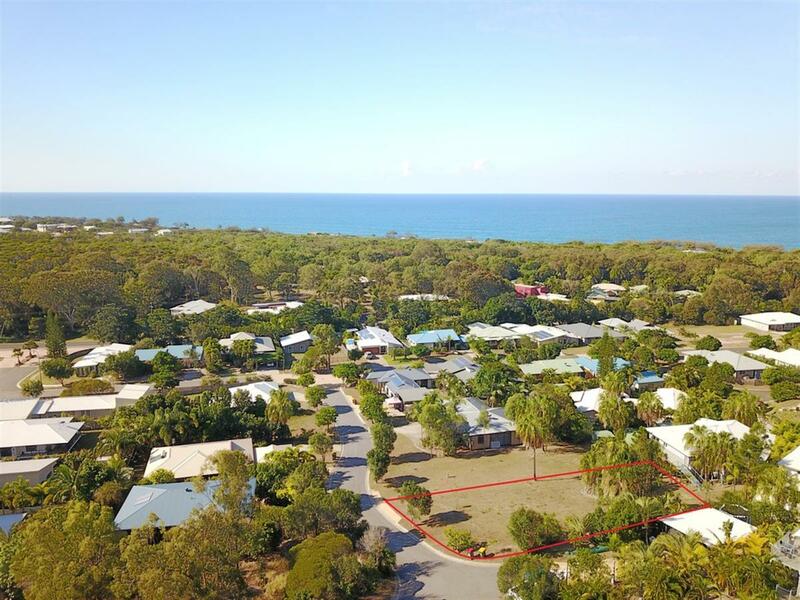 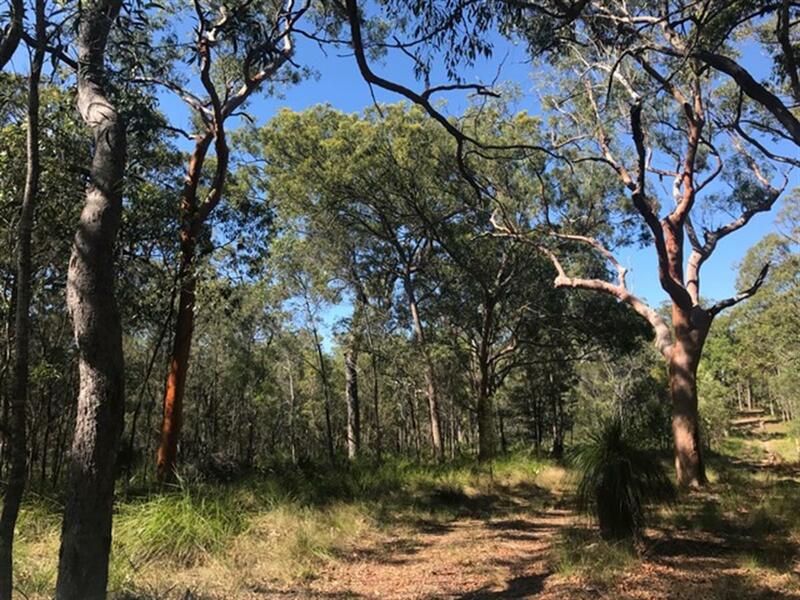 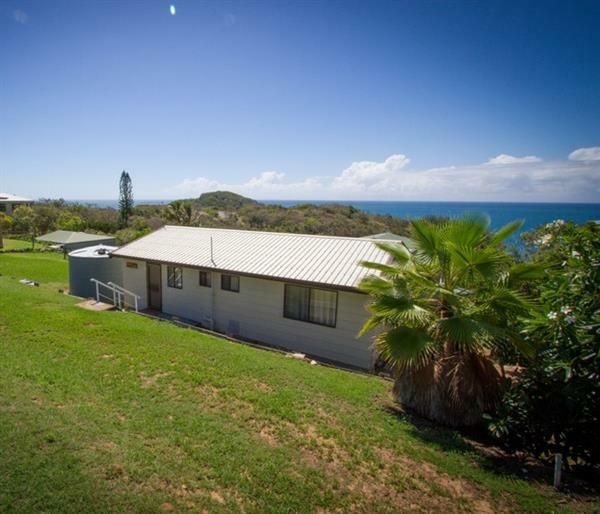 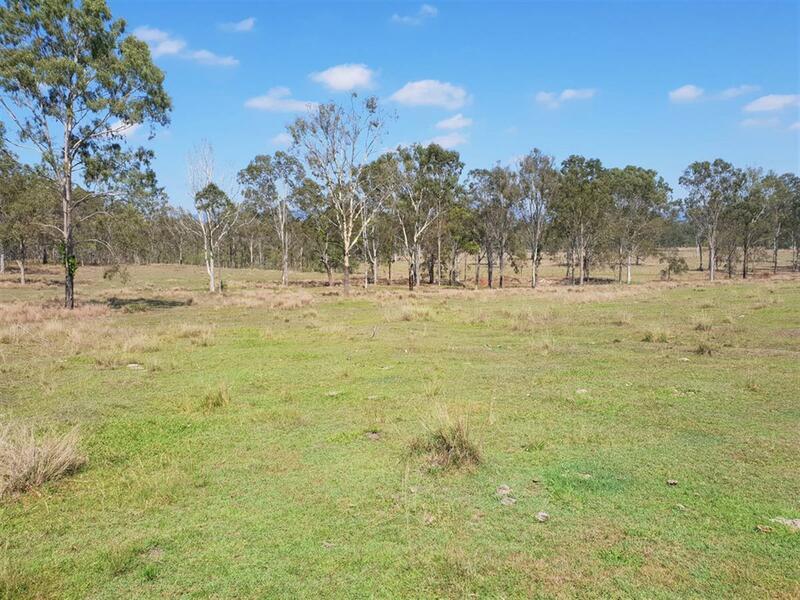 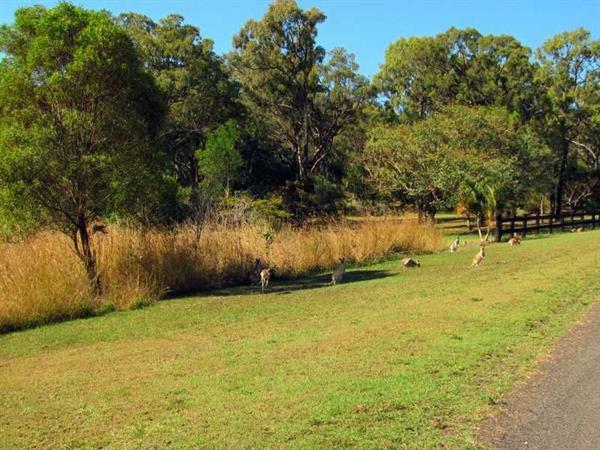 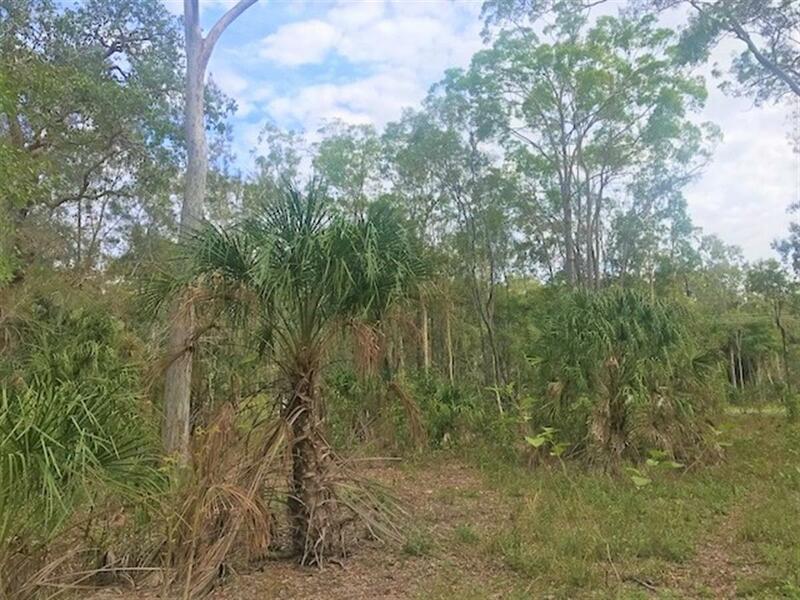 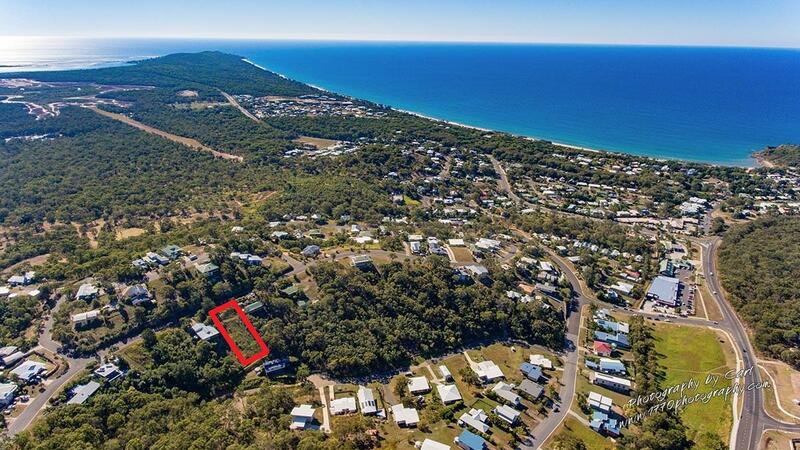 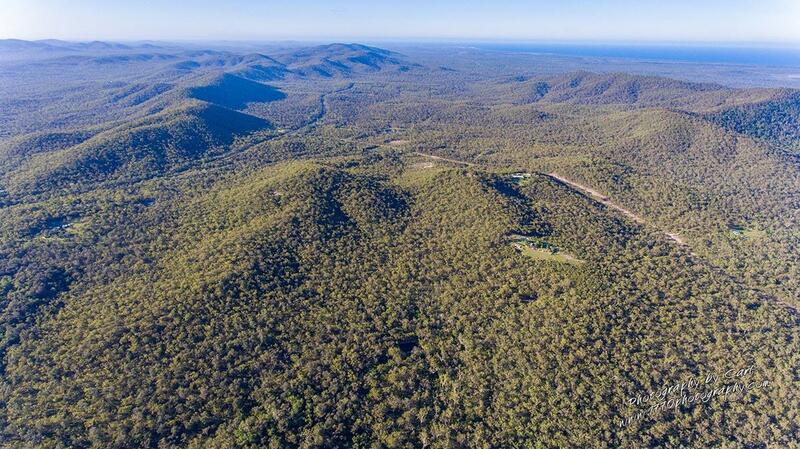 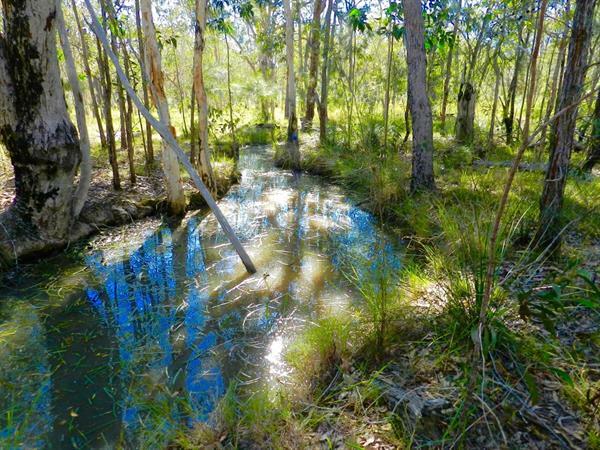 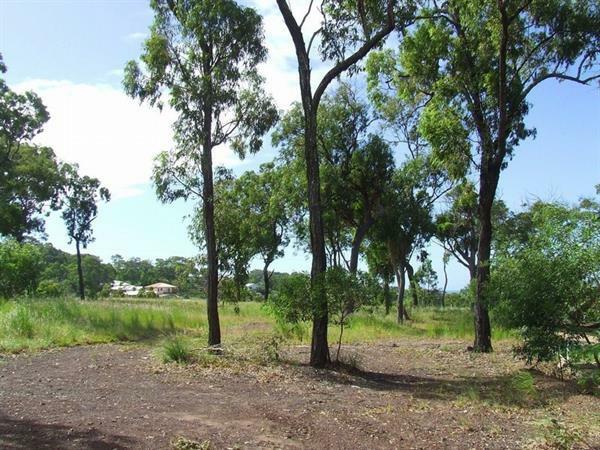 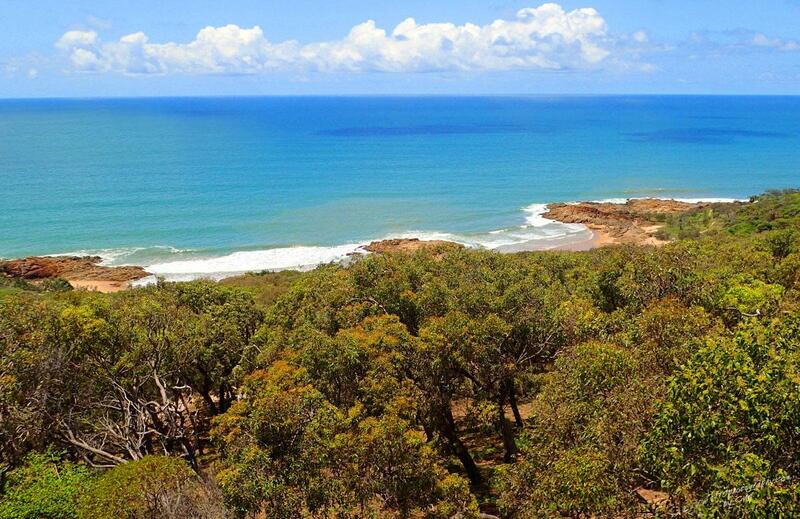 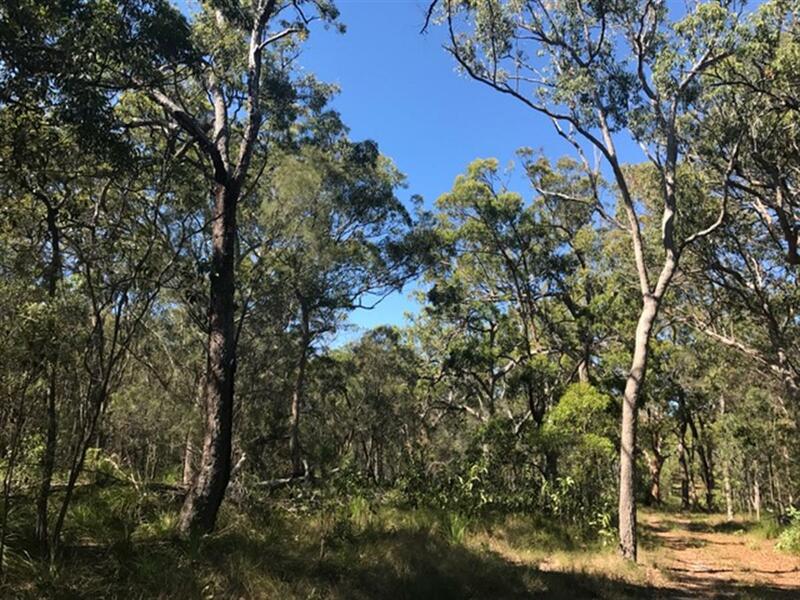 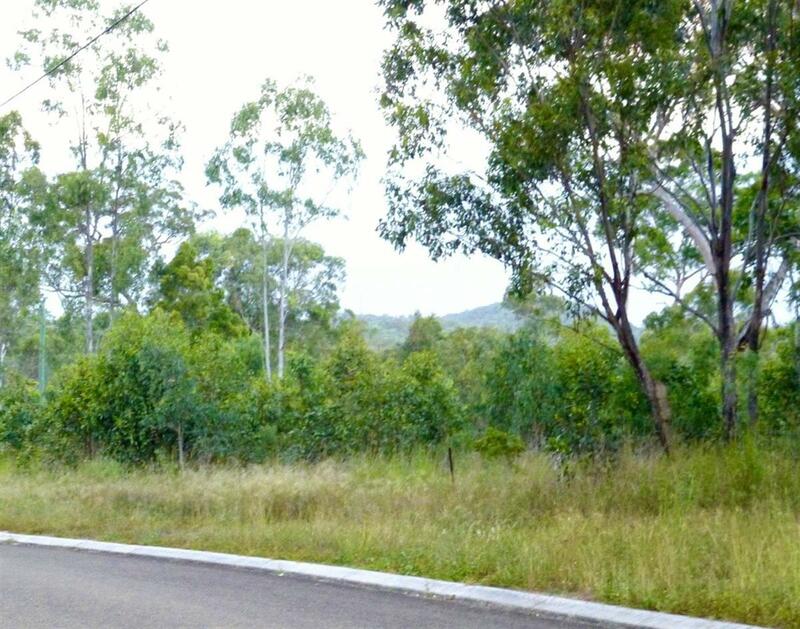 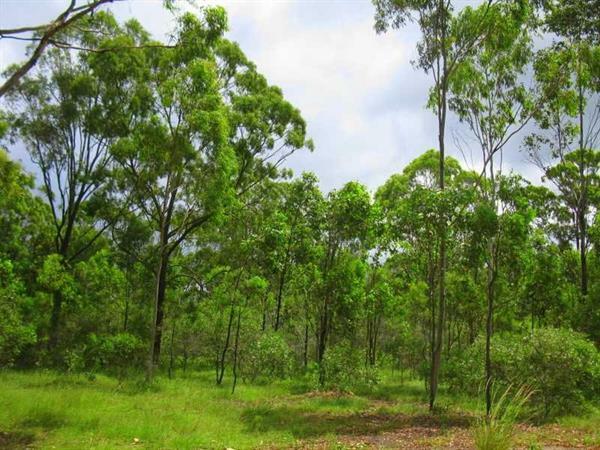 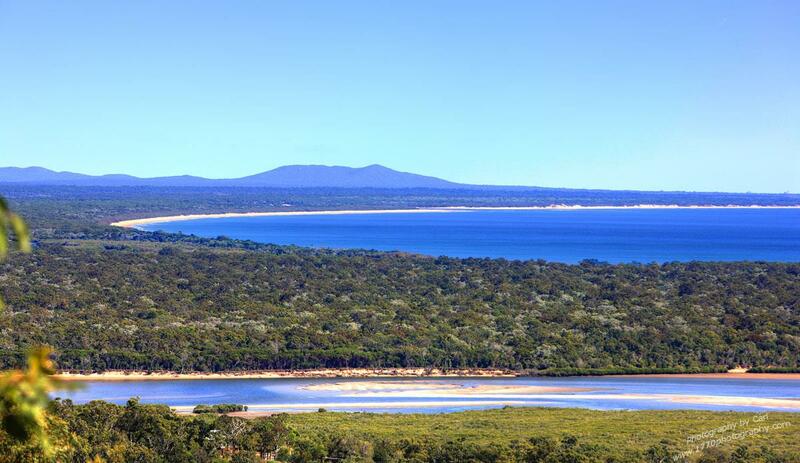 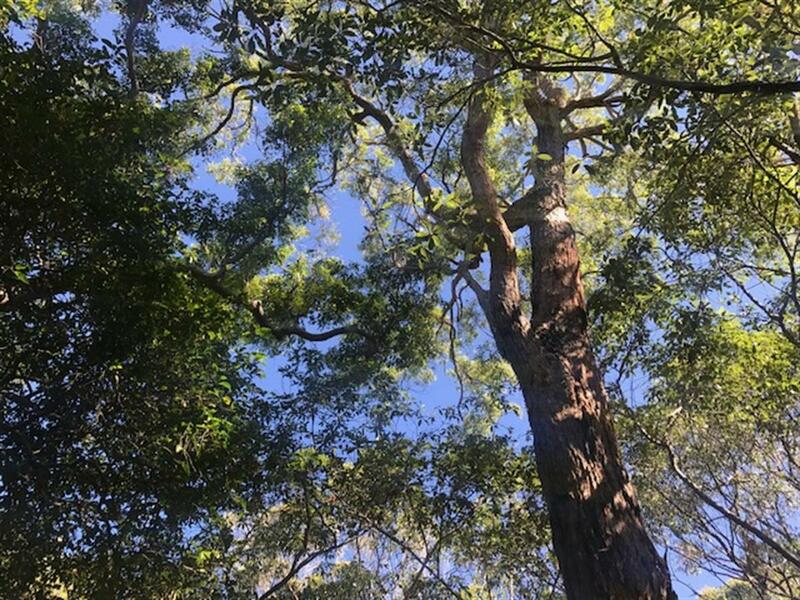 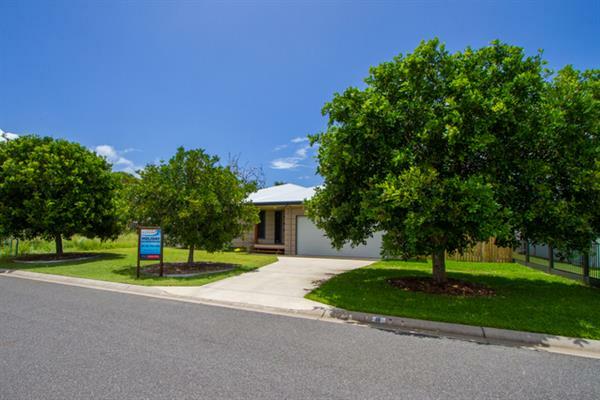 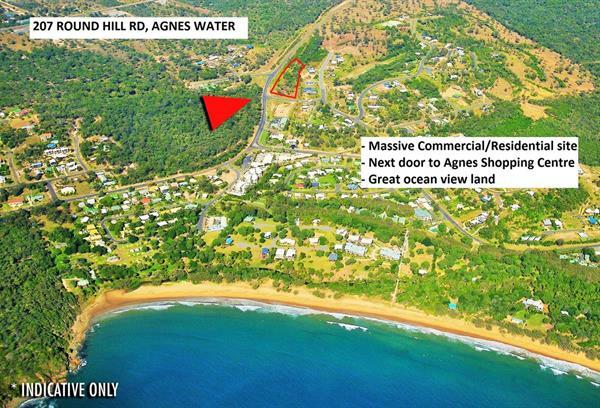 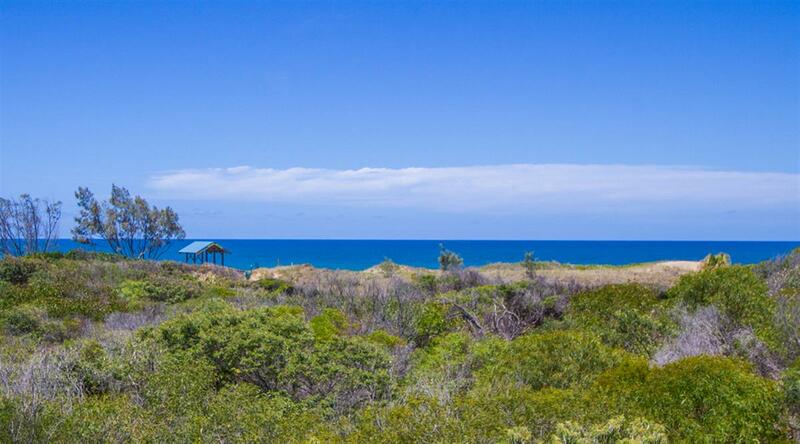 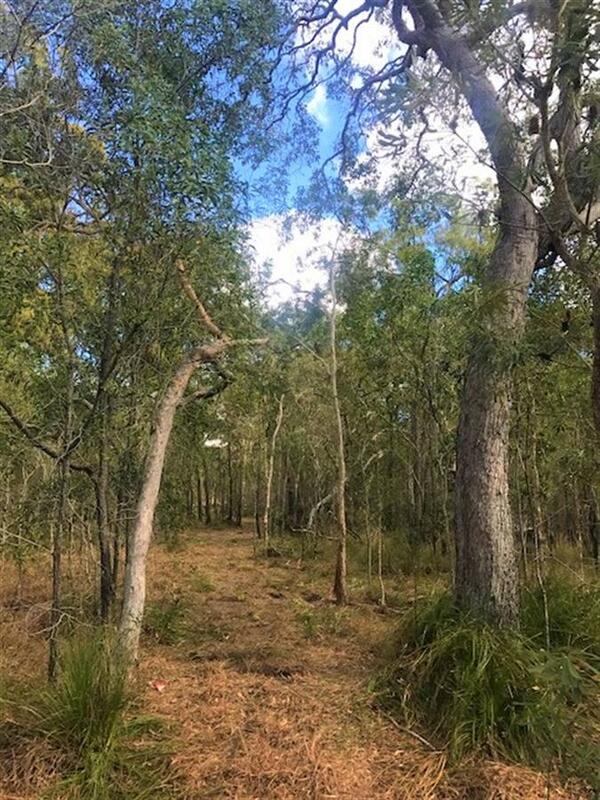 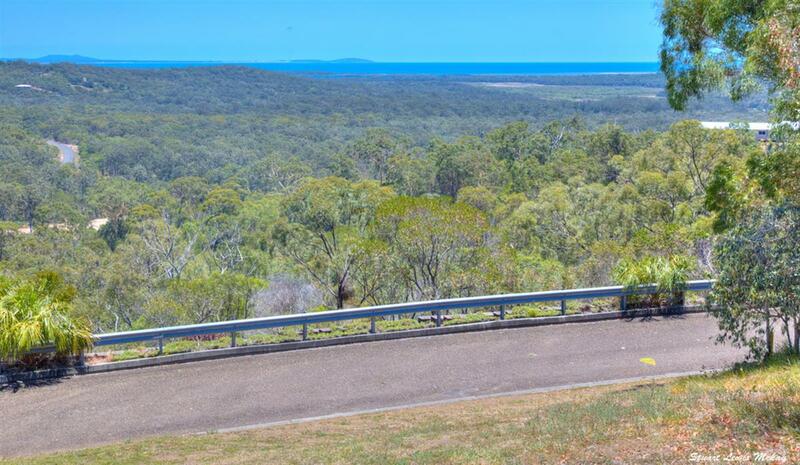 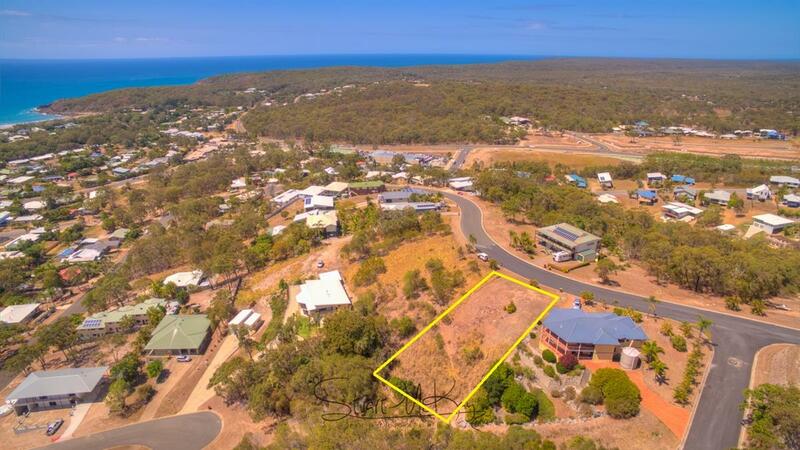 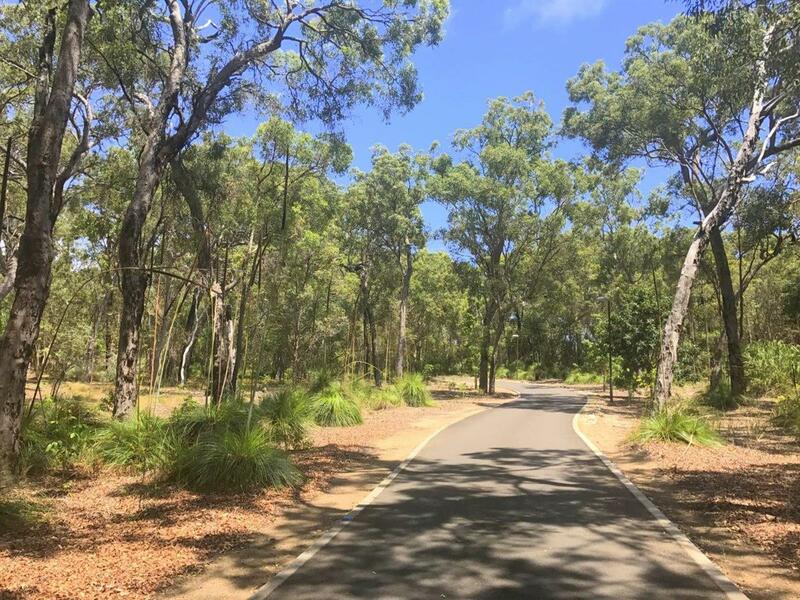 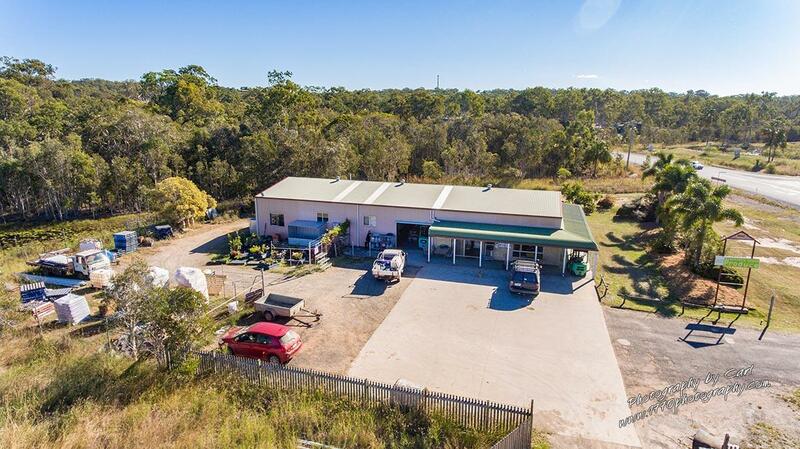 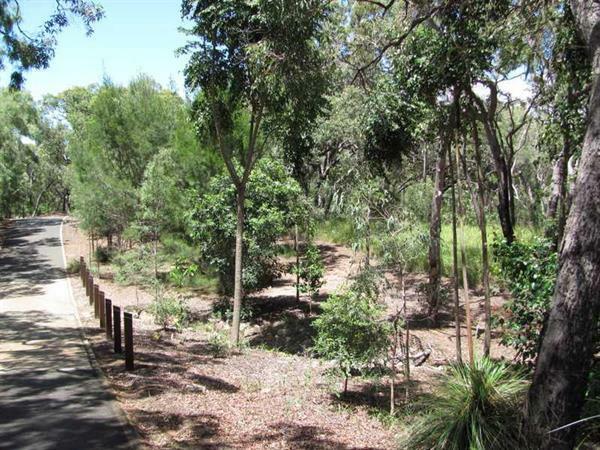 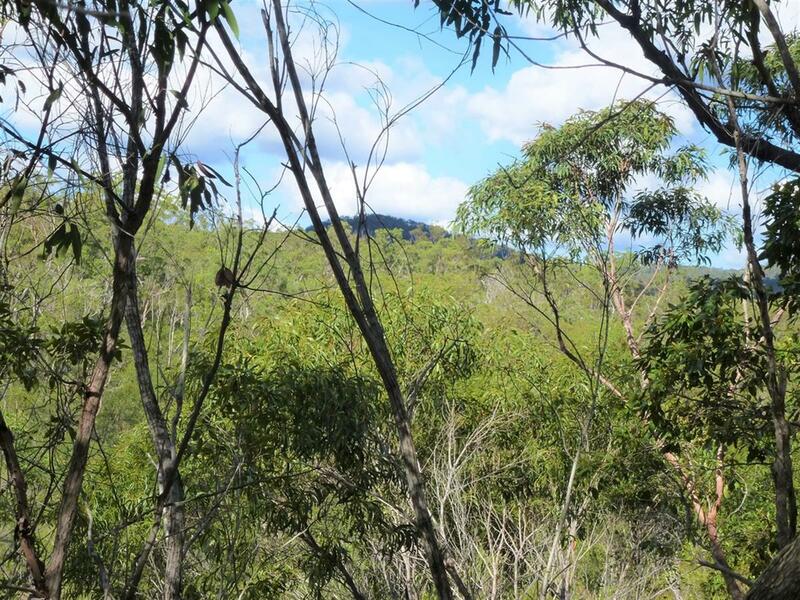 Don't Panic's beach side location with access to Agnes Water's surf beach is surrounded by National Parks and only moments from Queensland's famous Great Barrier Reef. 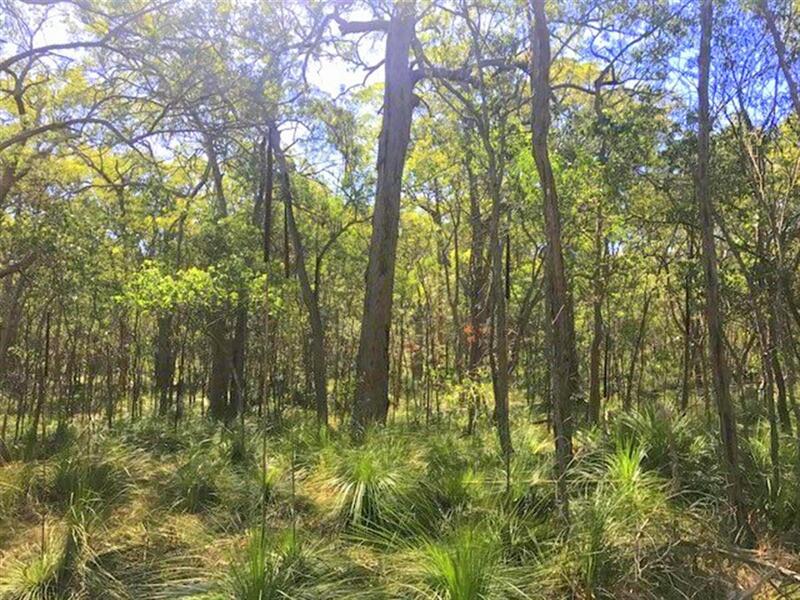 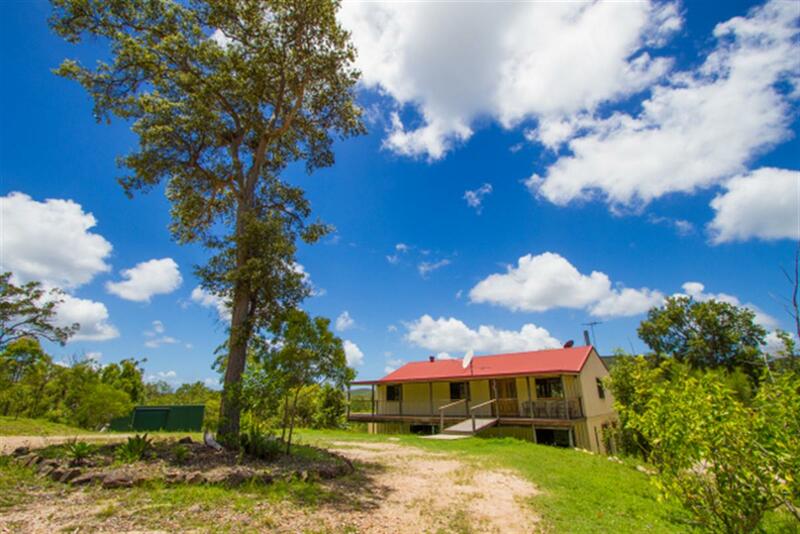 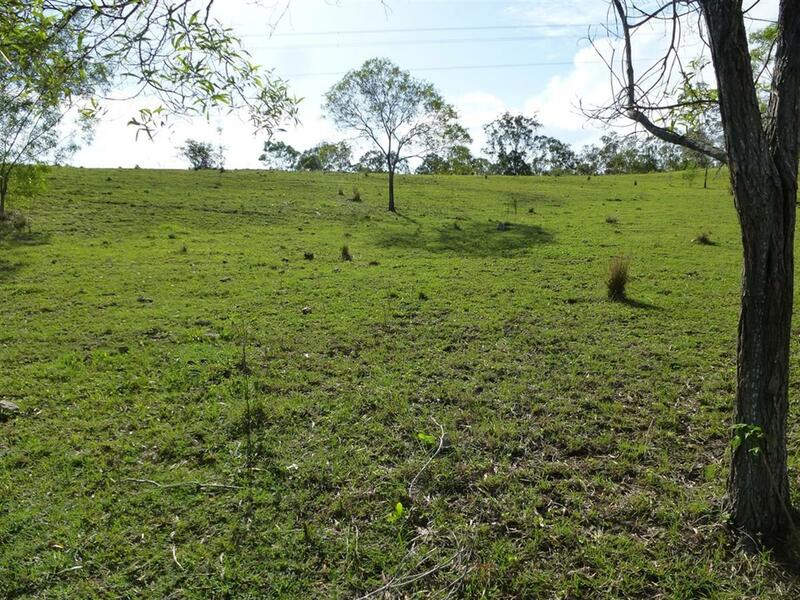 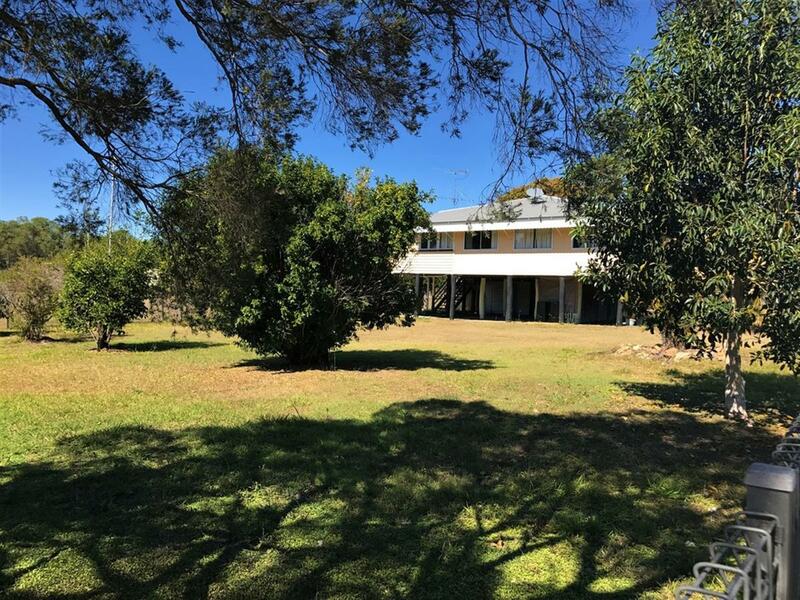 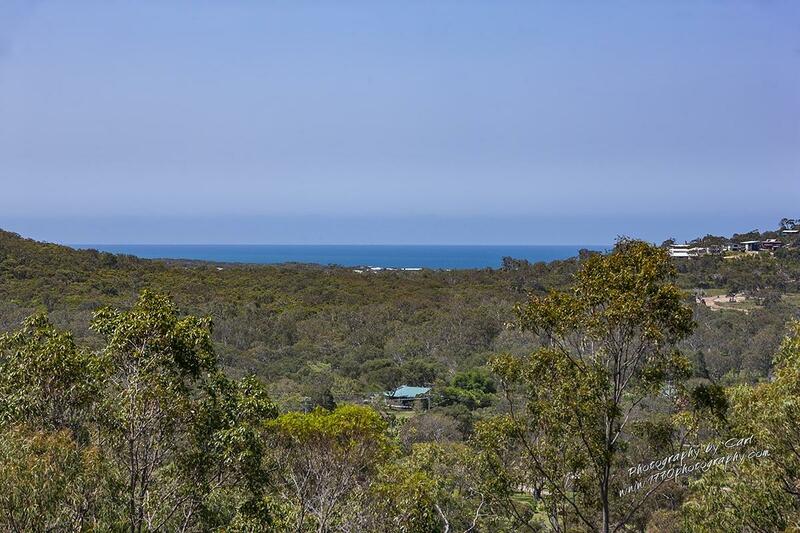 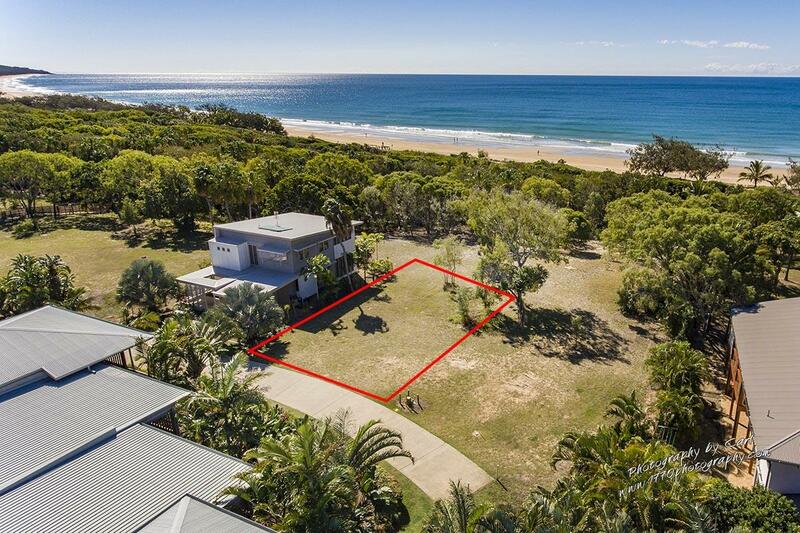 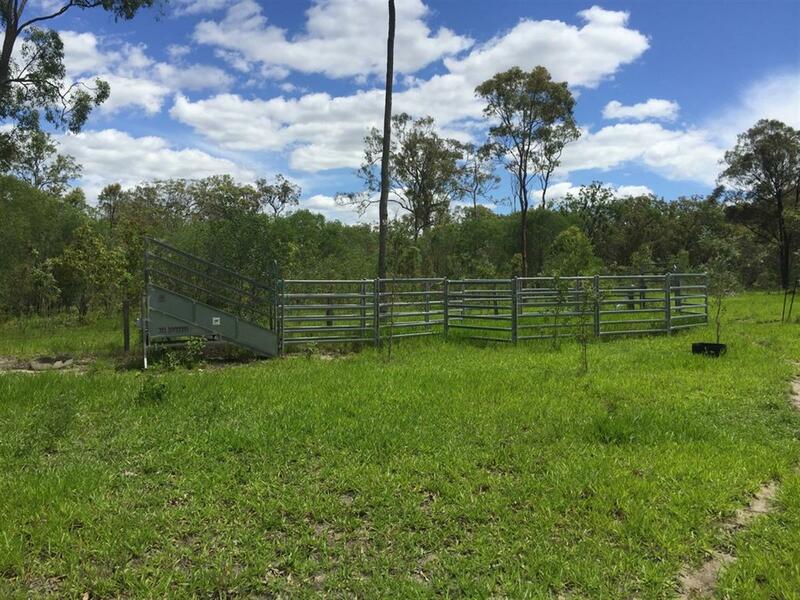 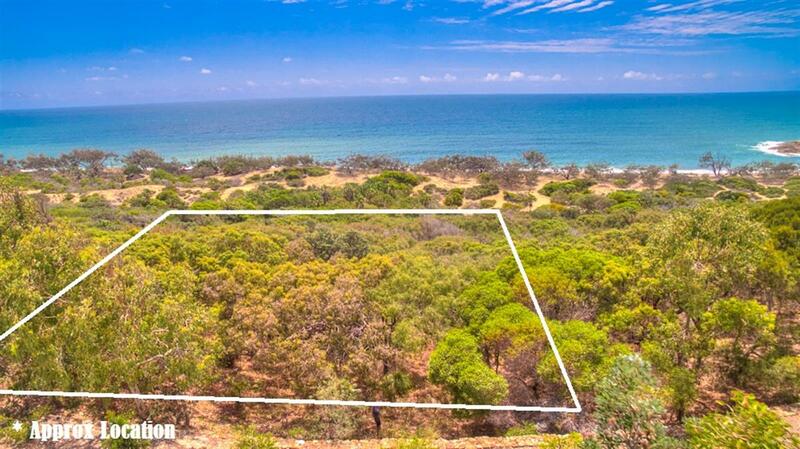 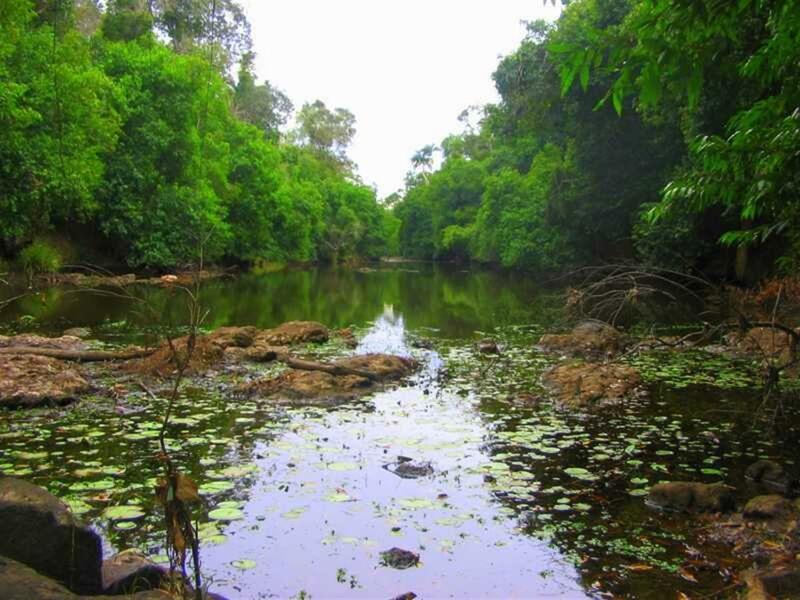 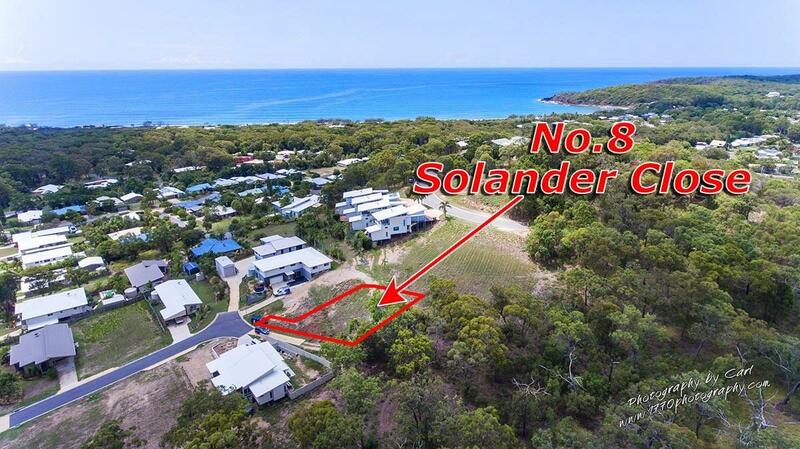 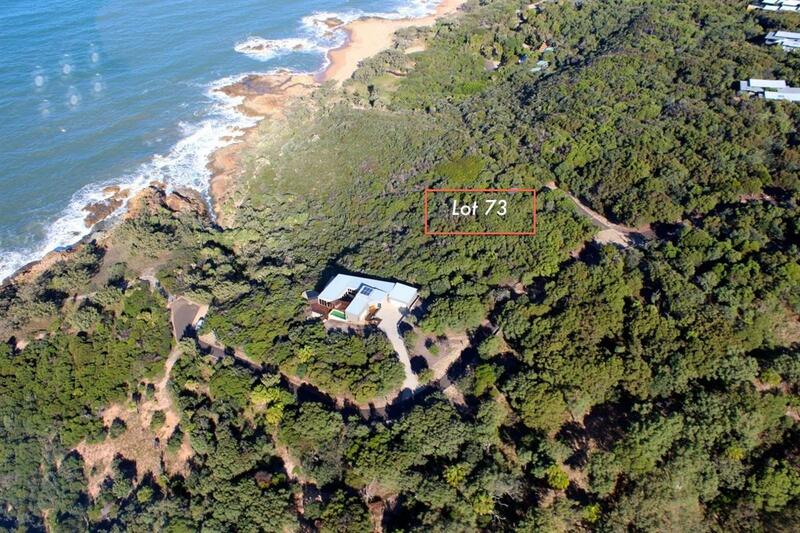 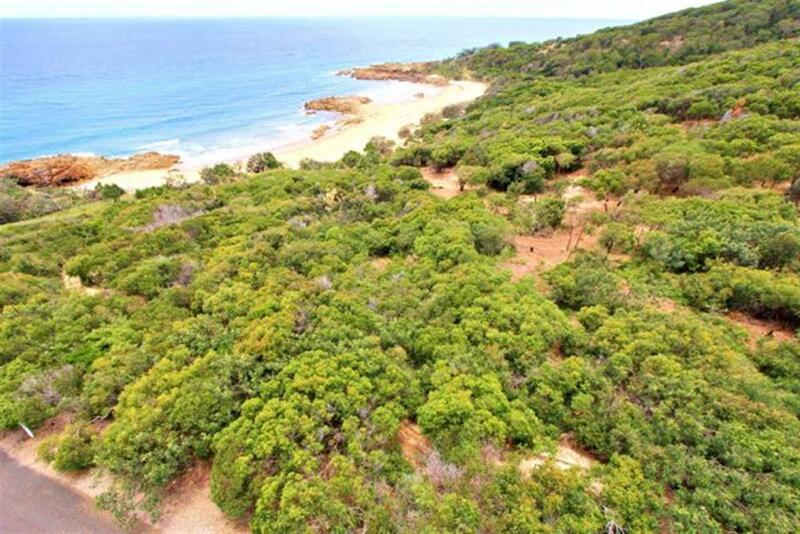 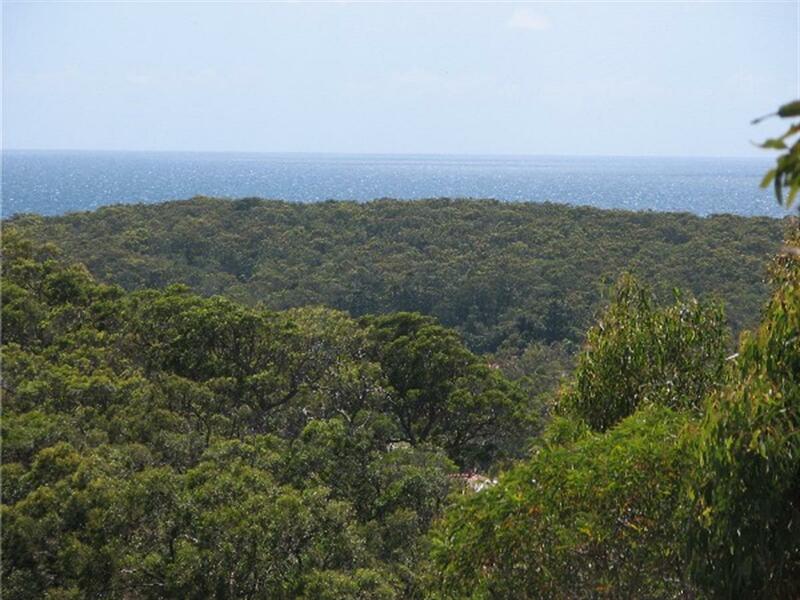 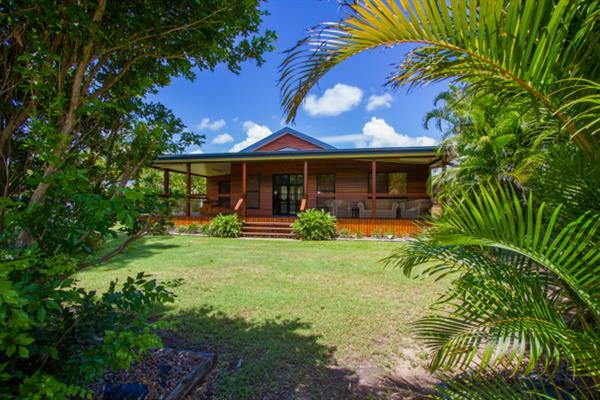 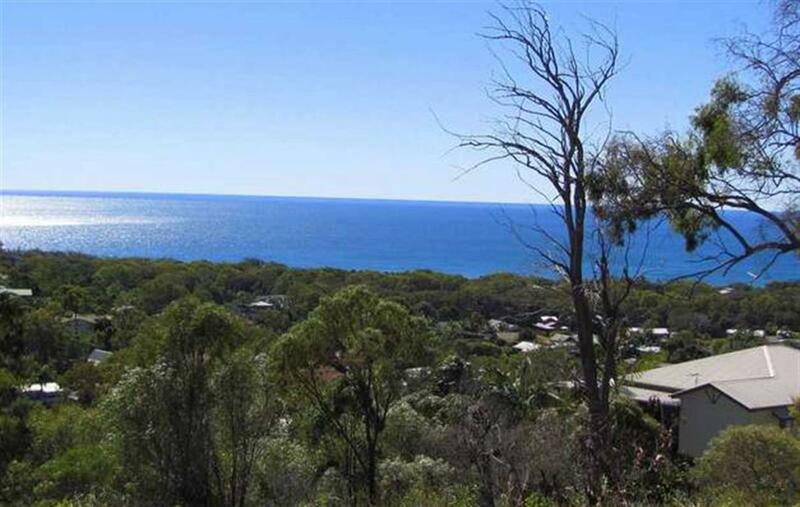 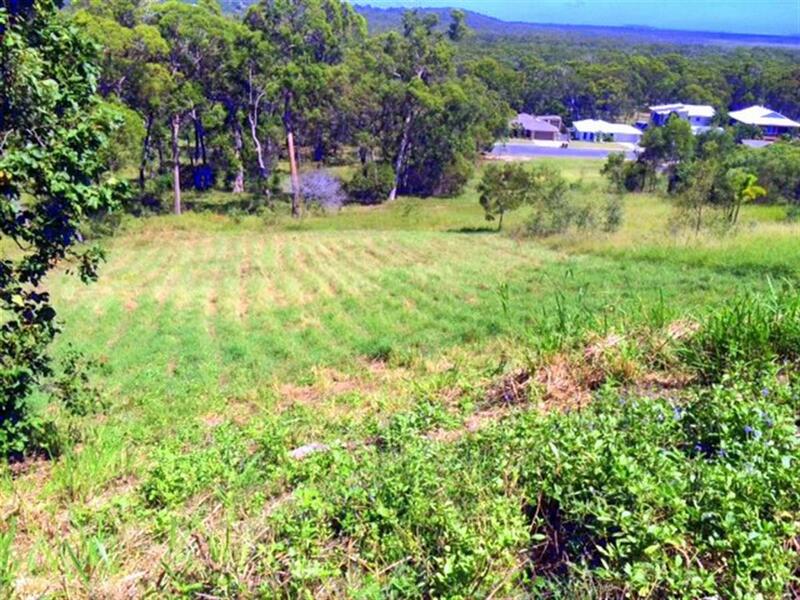 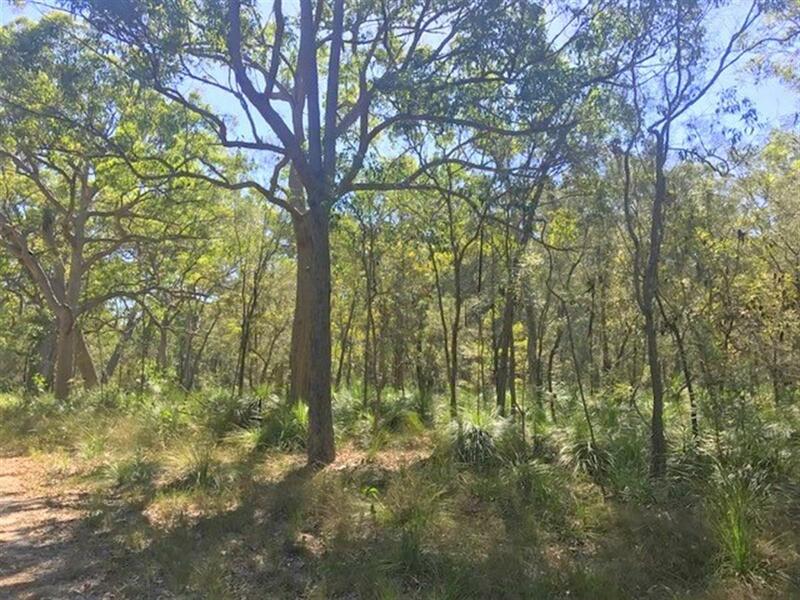 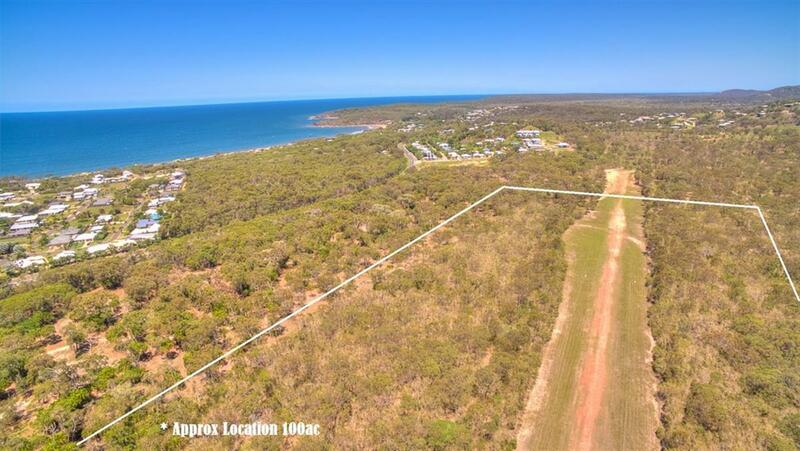 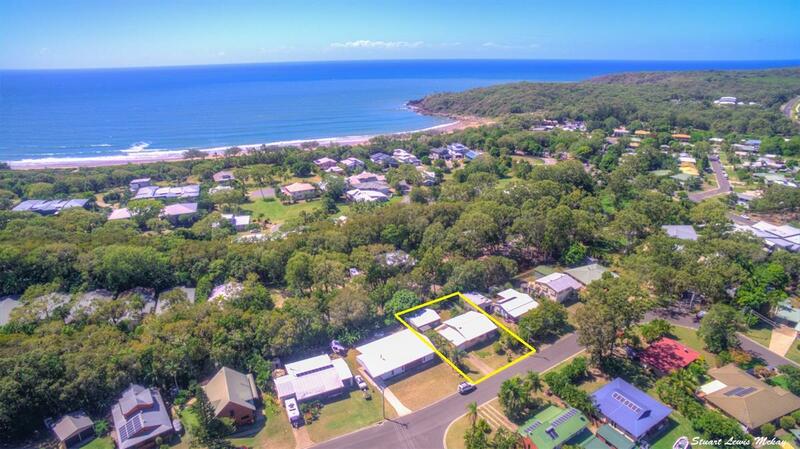 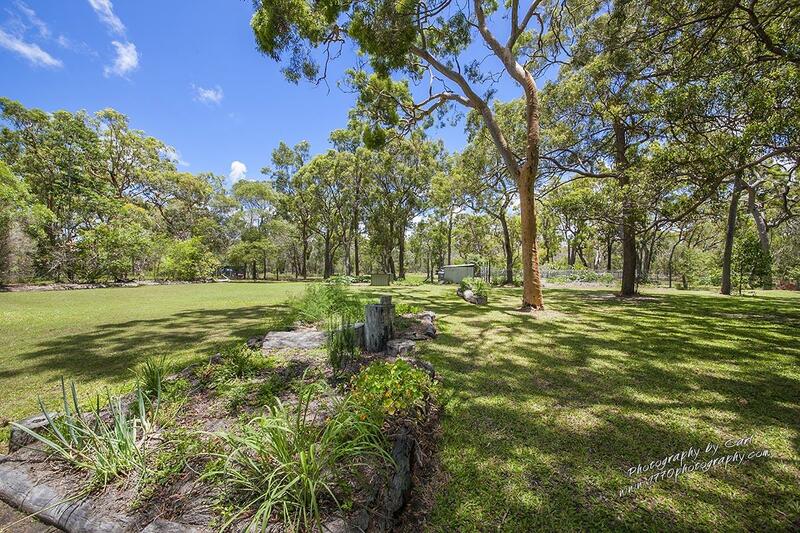 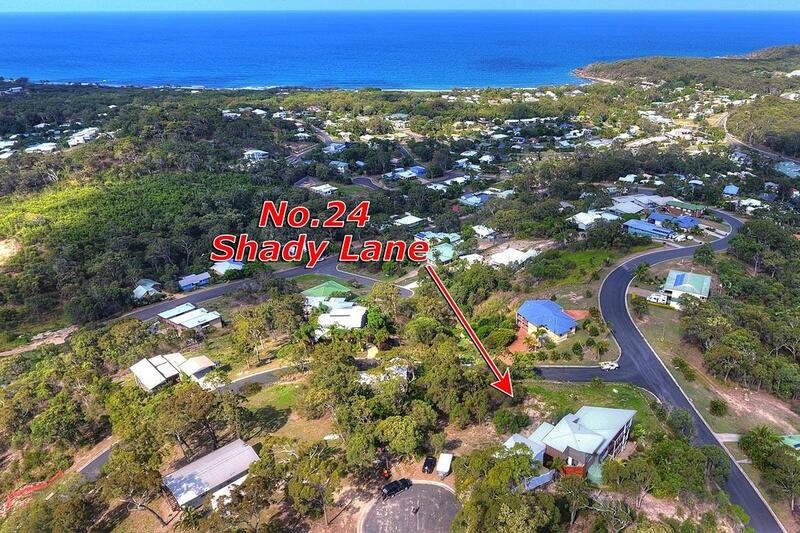 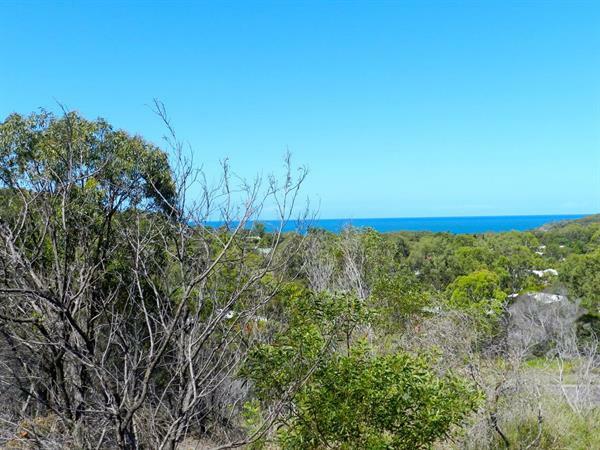 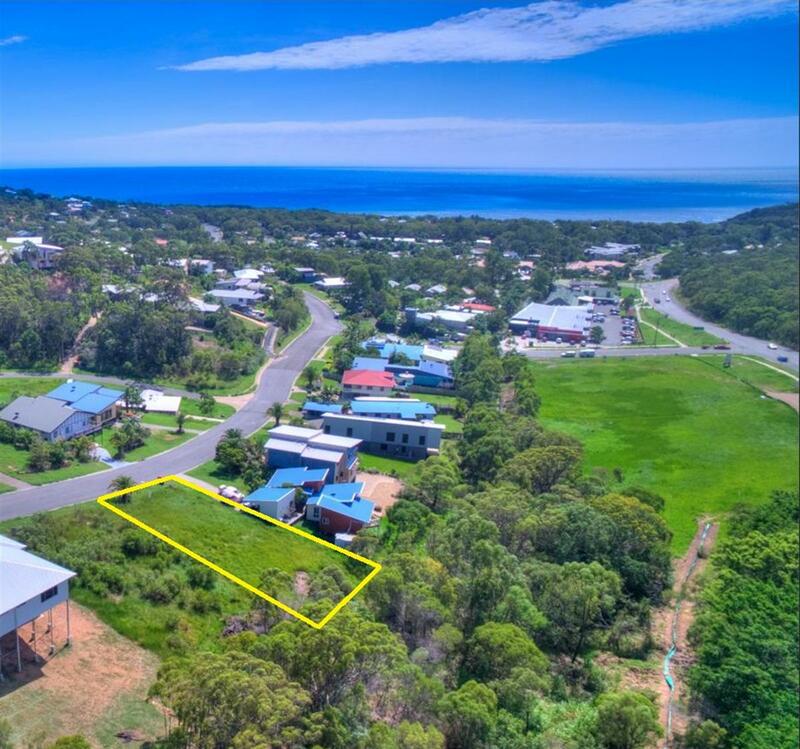 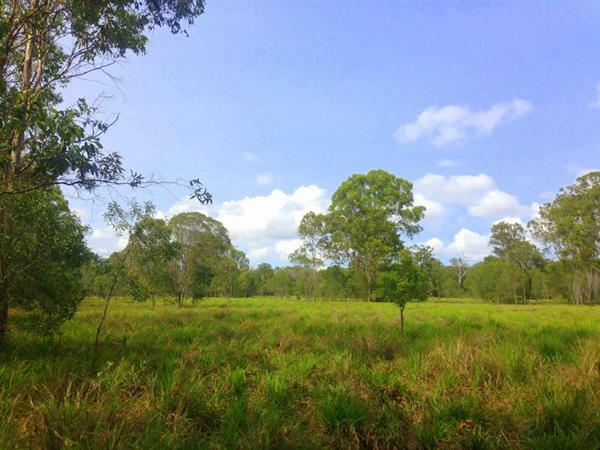 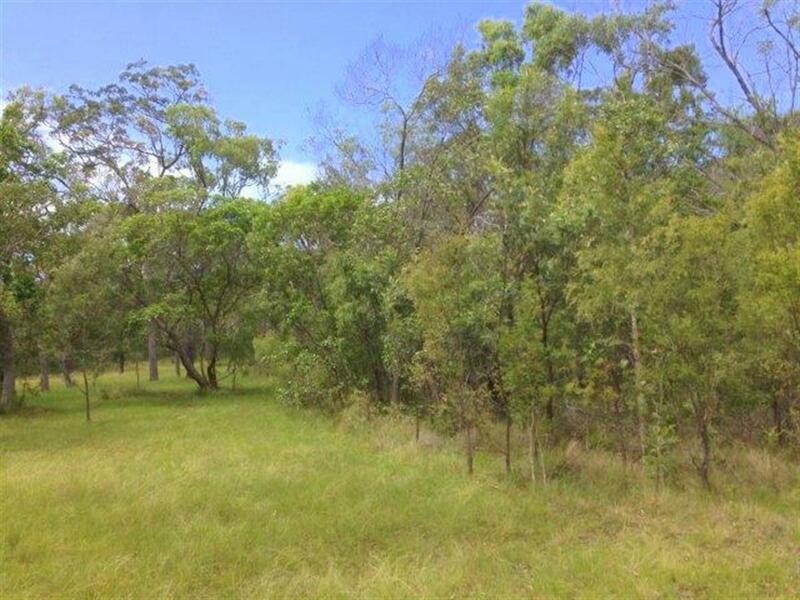 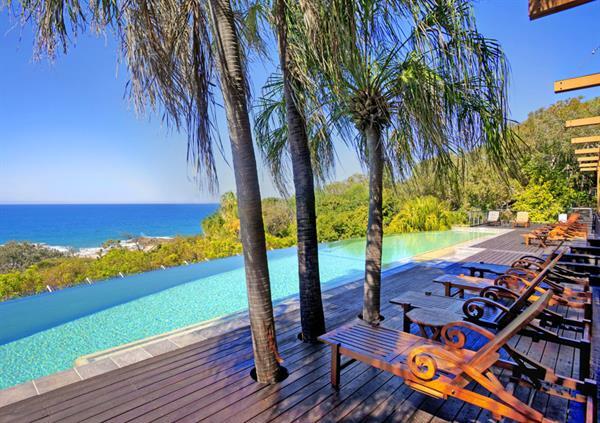 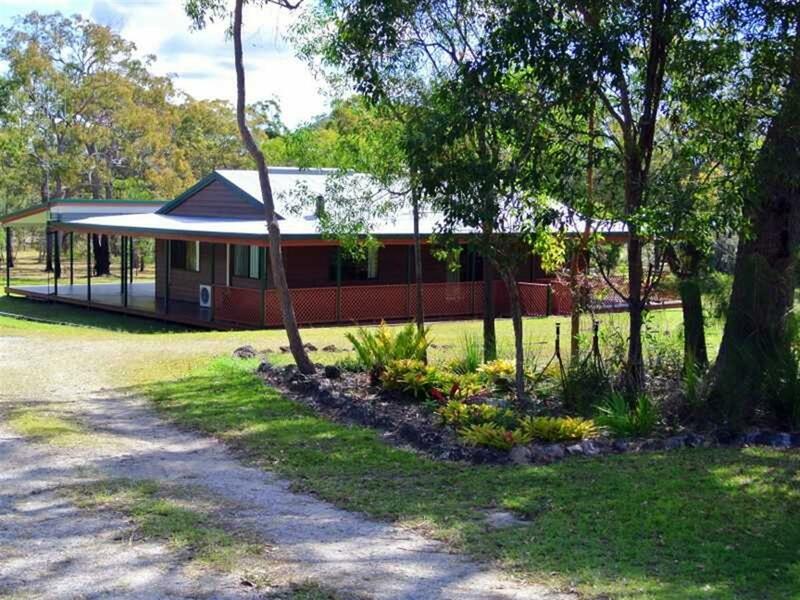 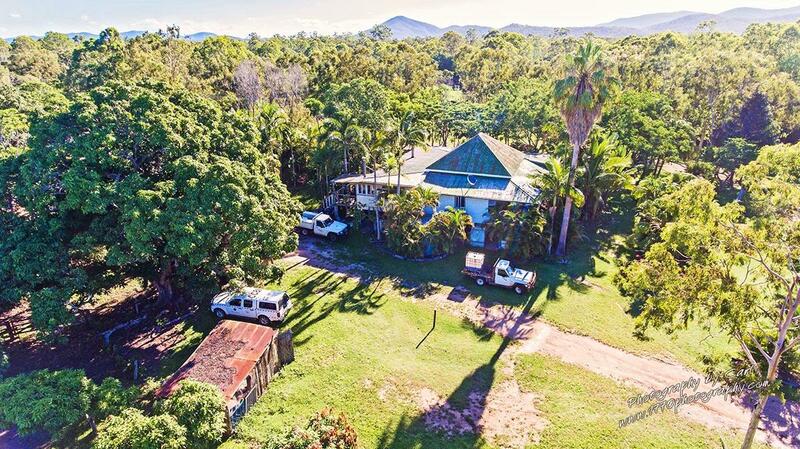 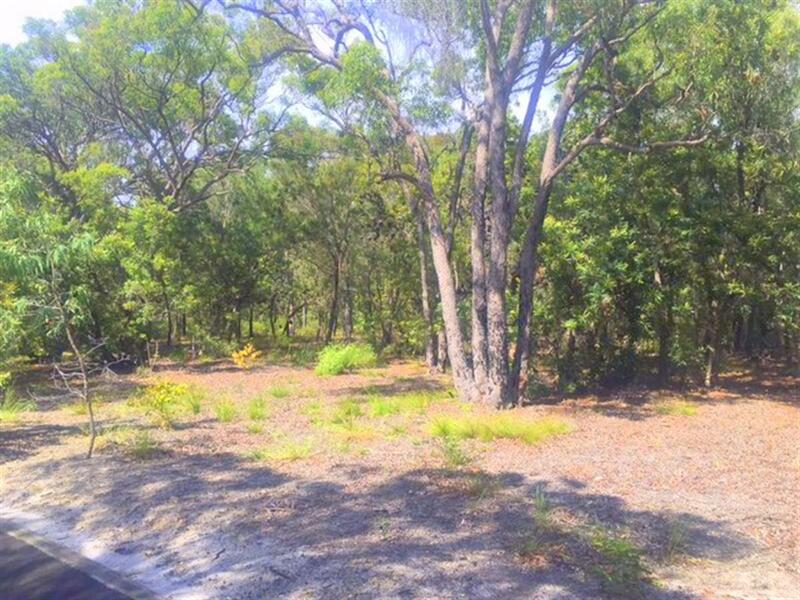 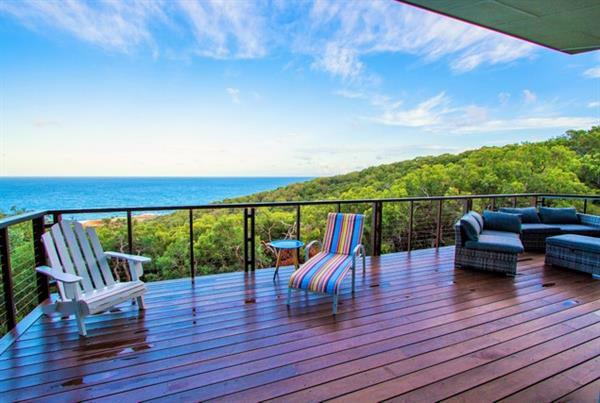 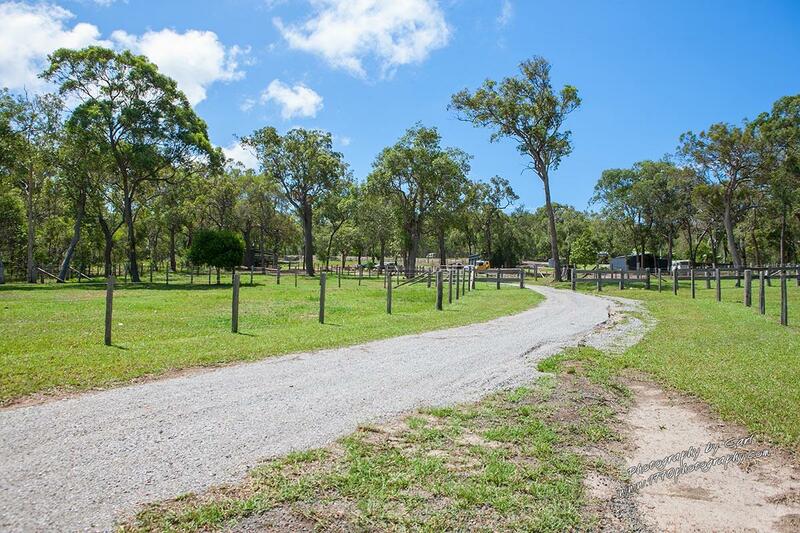 The beach house is located in an exclusive and secured gated estate ensuring full seclusion, two minutes from Agnes Water Surf Beach and close proximity to local restaurants and shops. 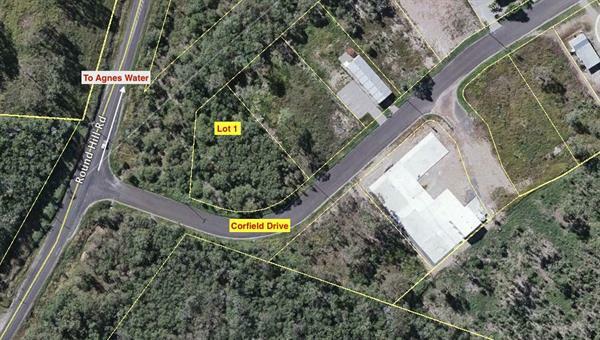 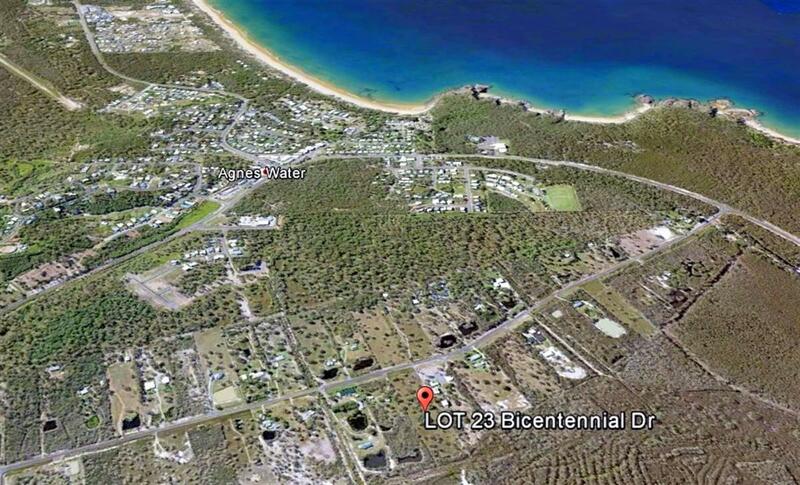 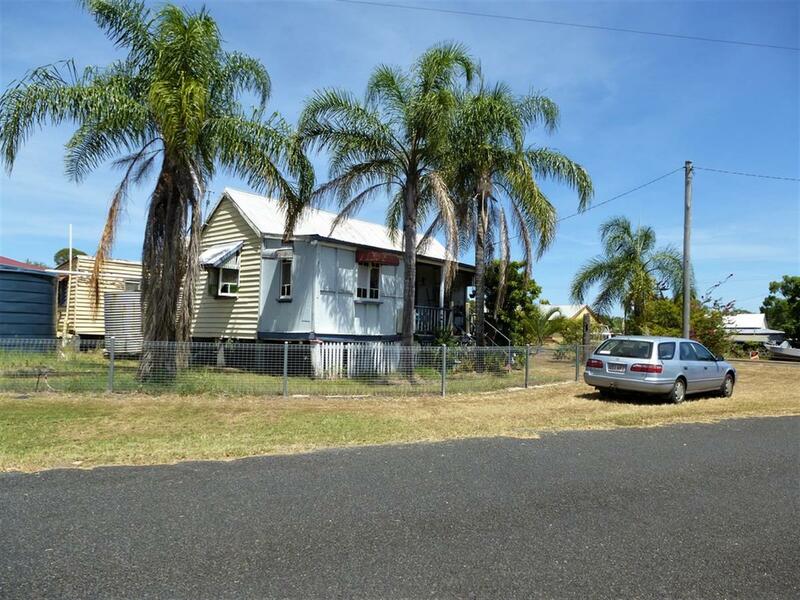 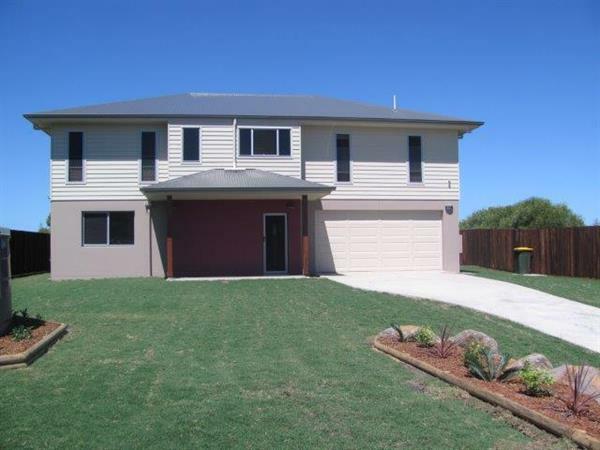 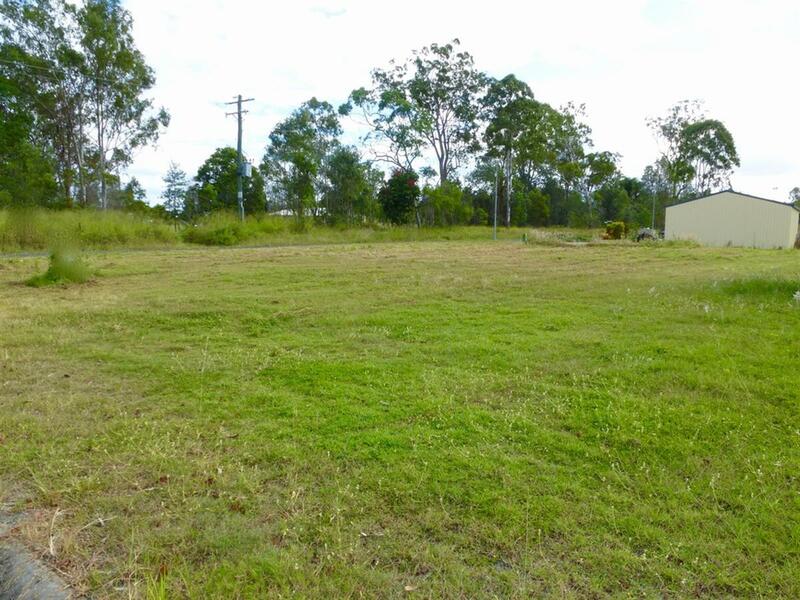 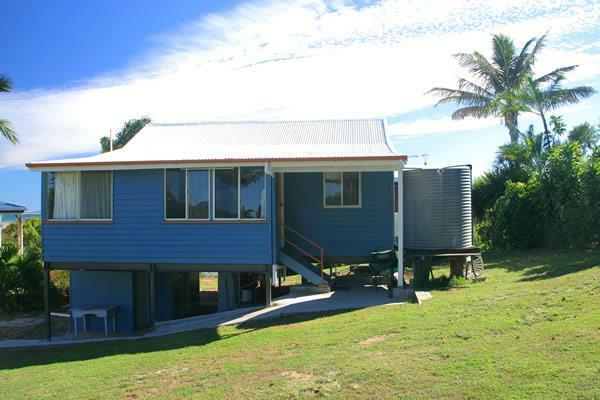 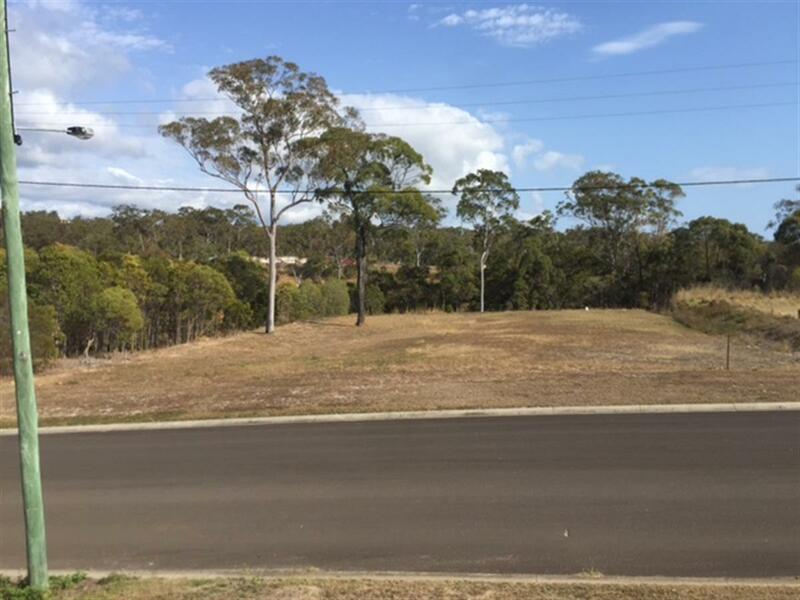 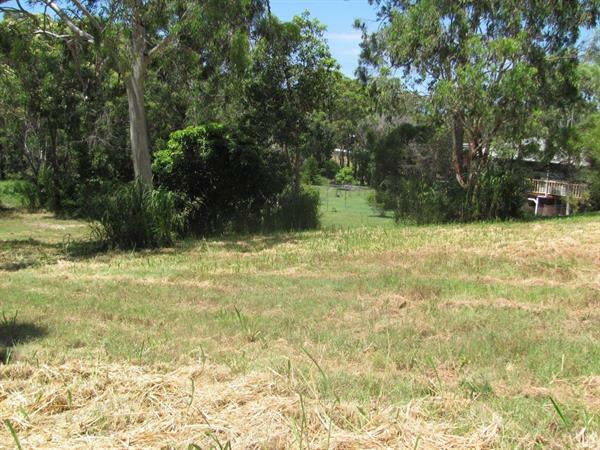 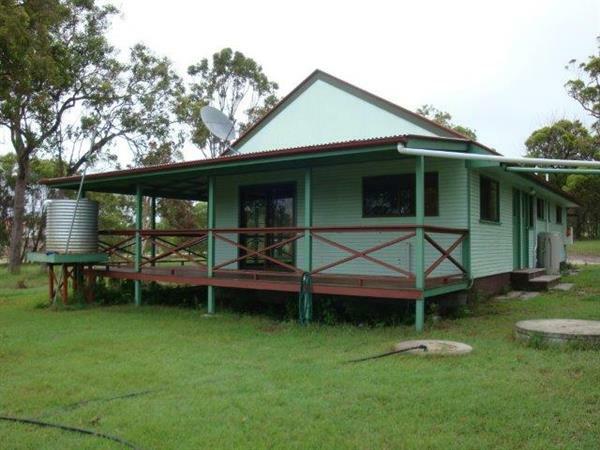 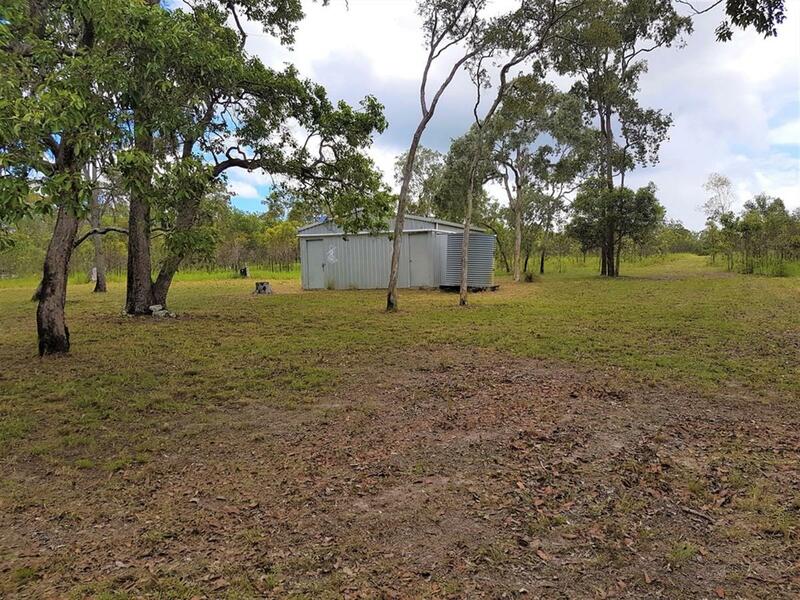 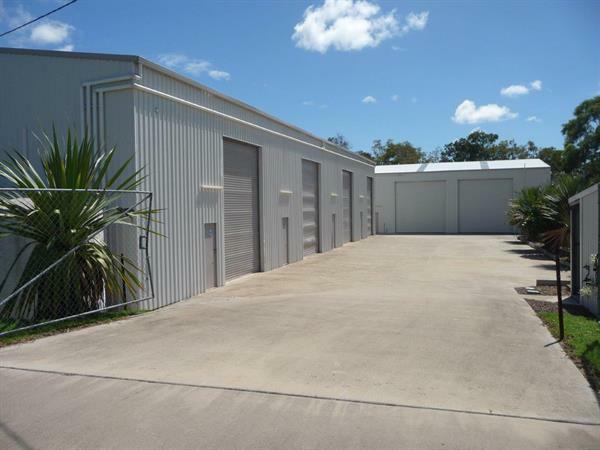 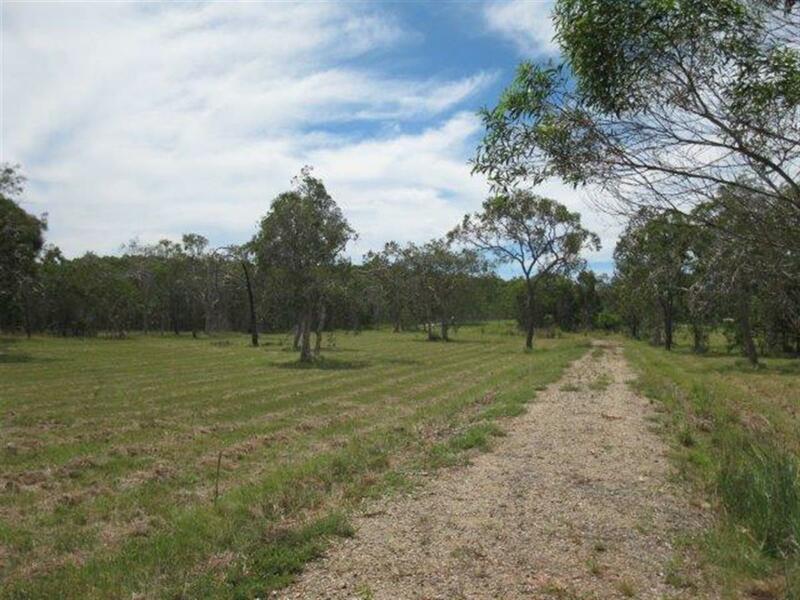 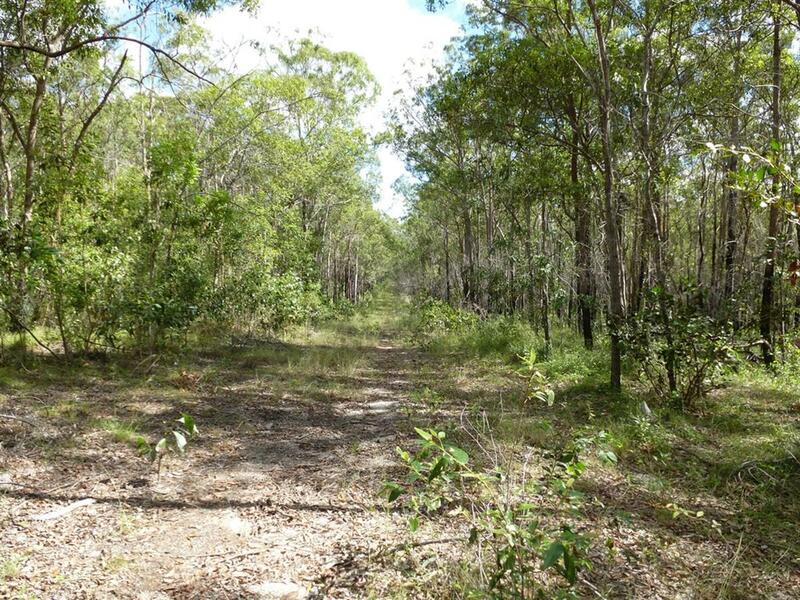 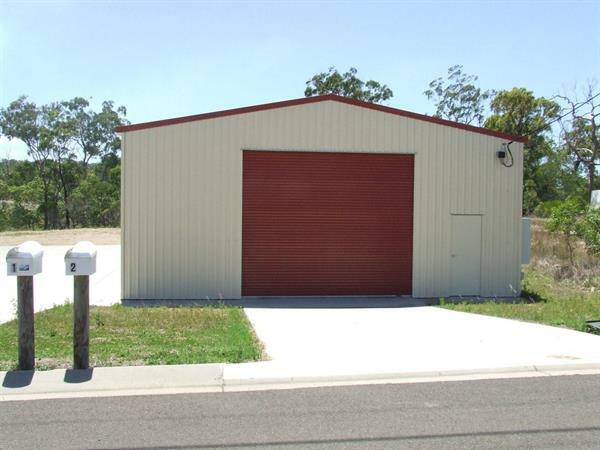 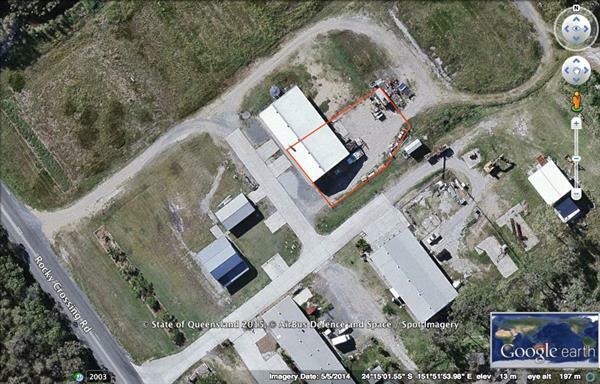 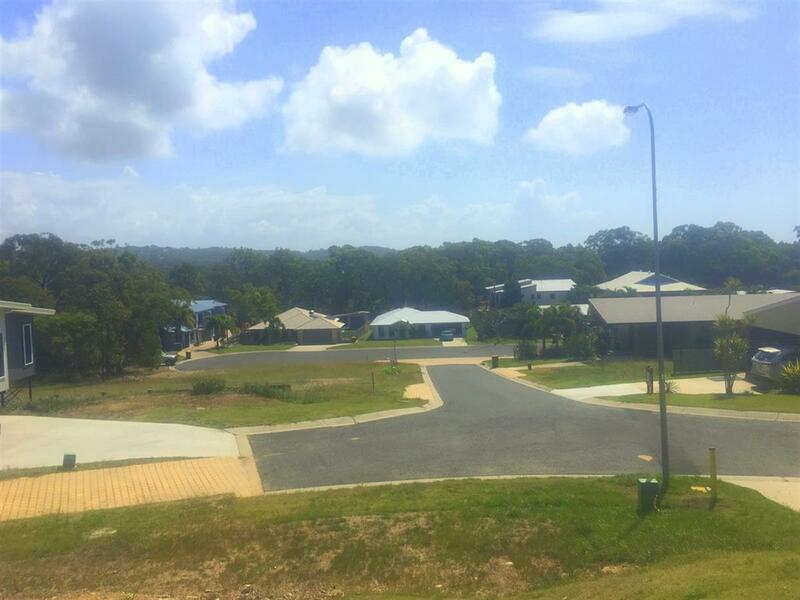 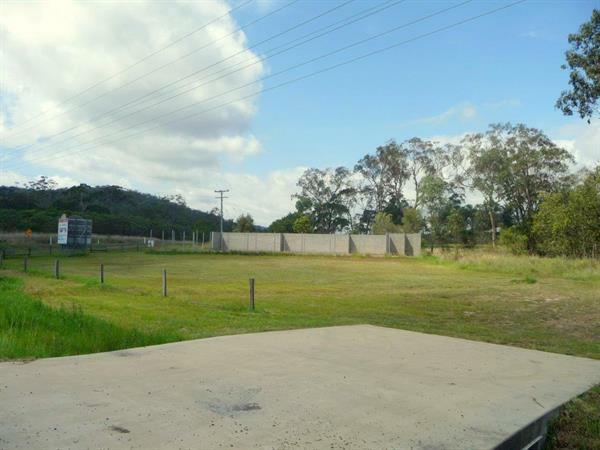 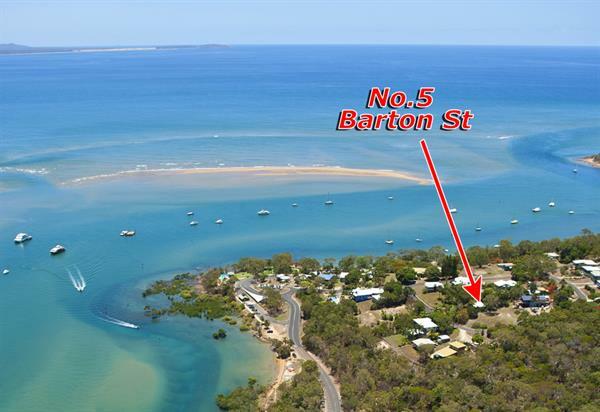 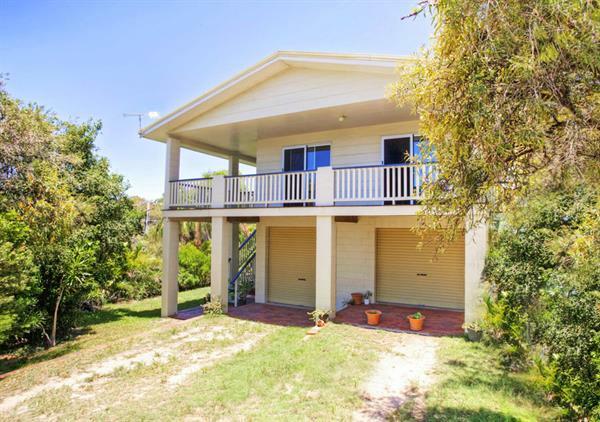 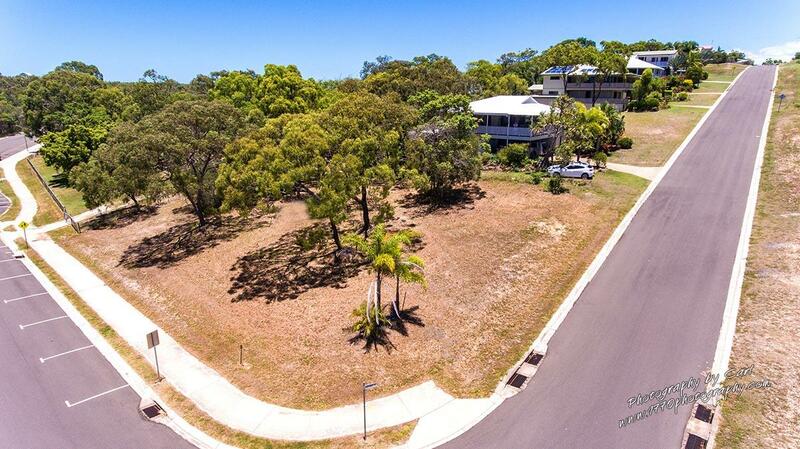 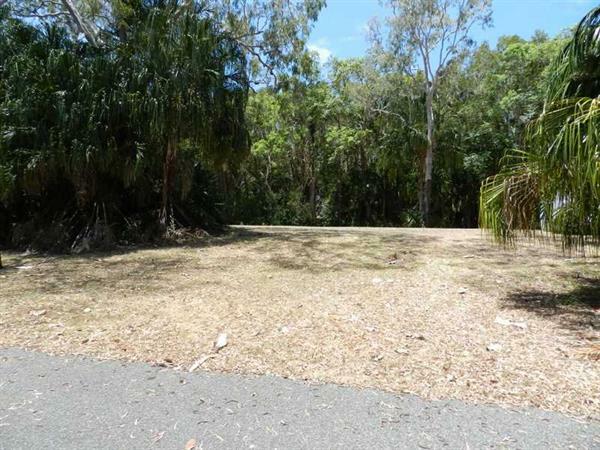 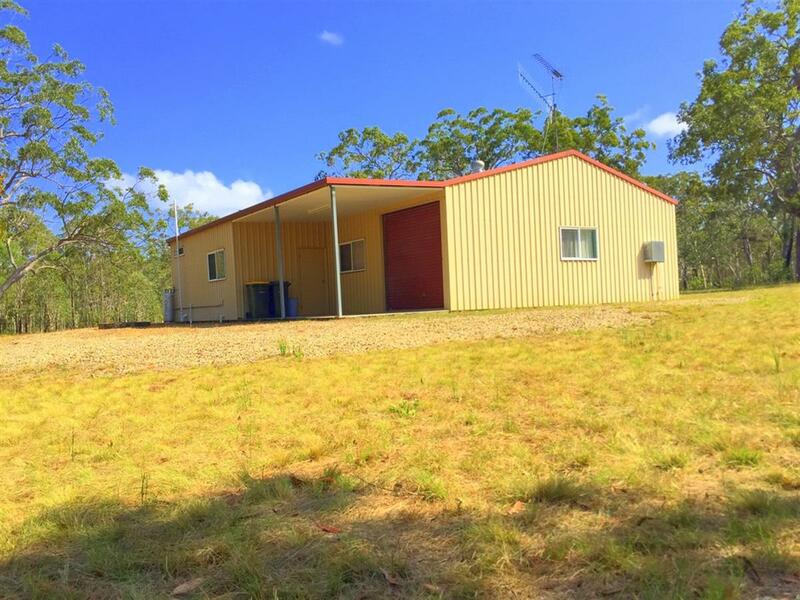 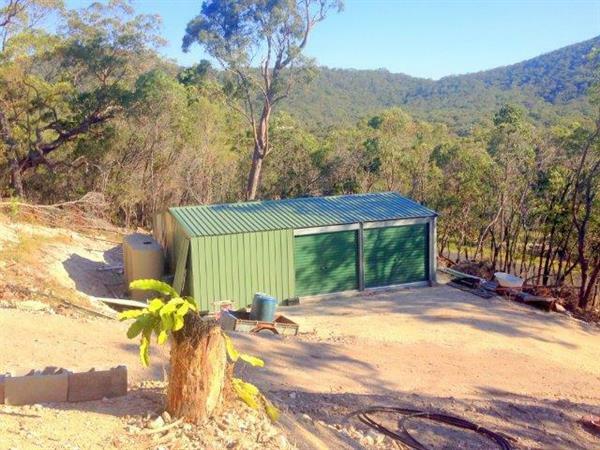 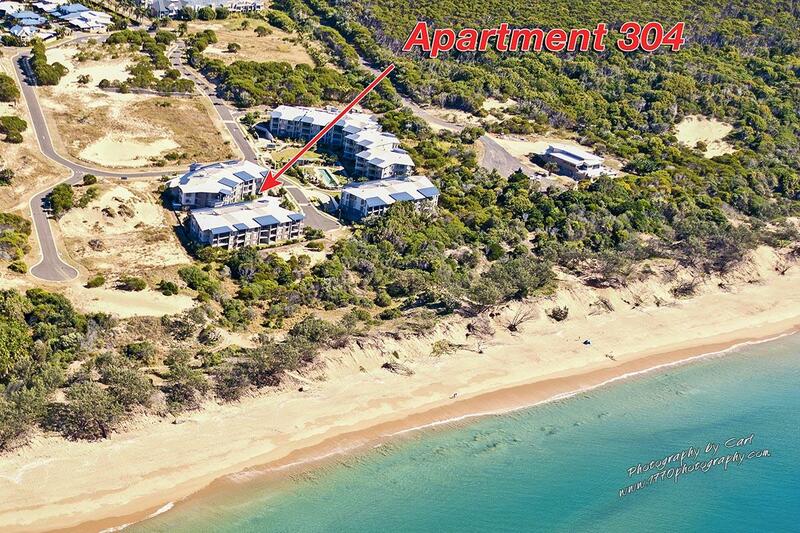 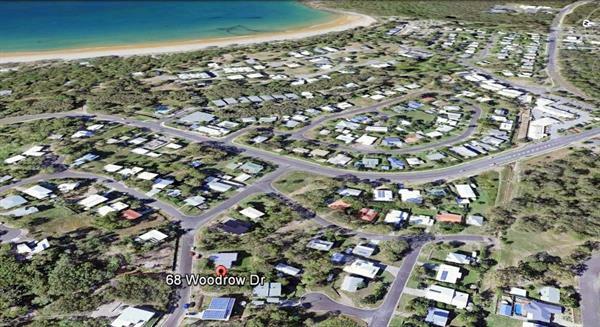 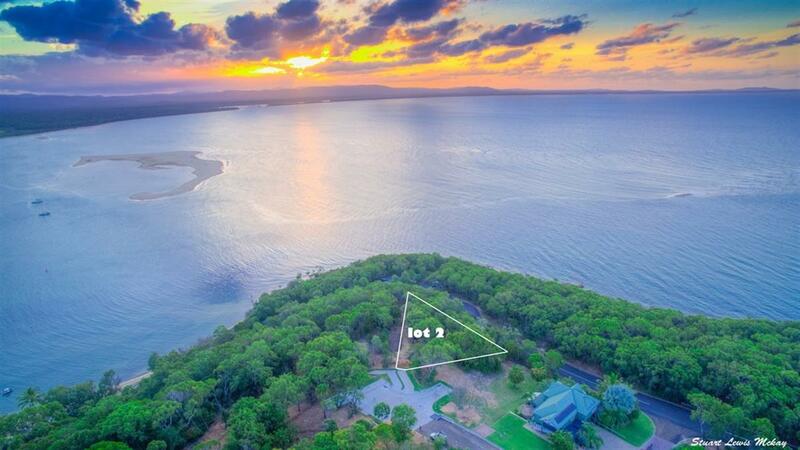 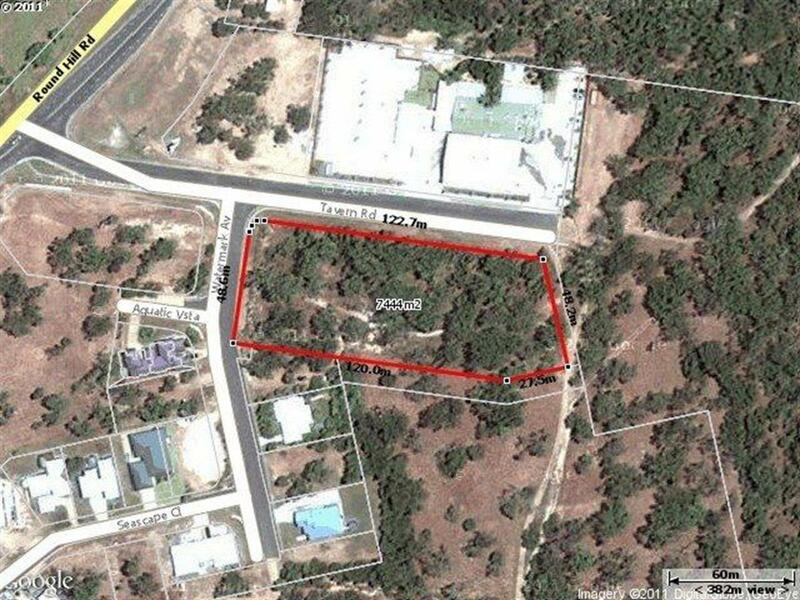 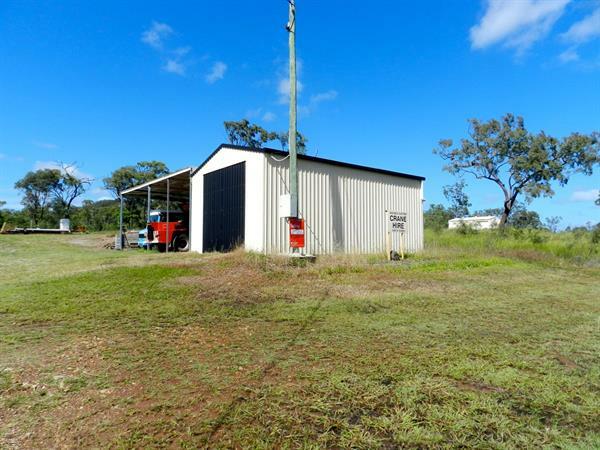 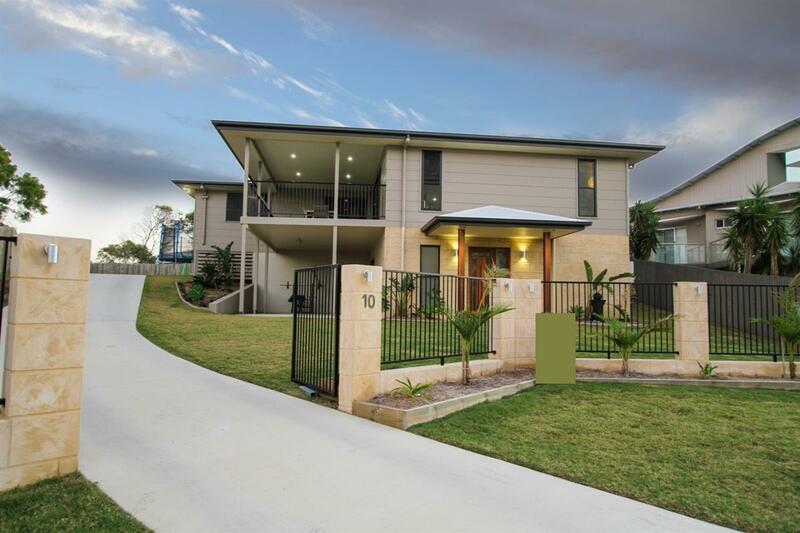 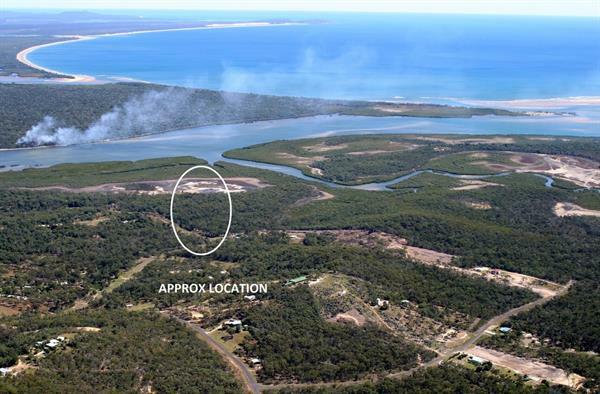 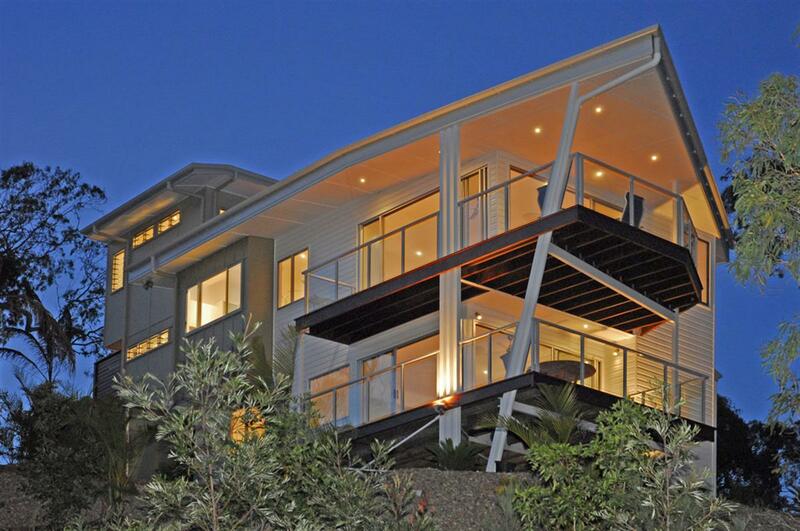 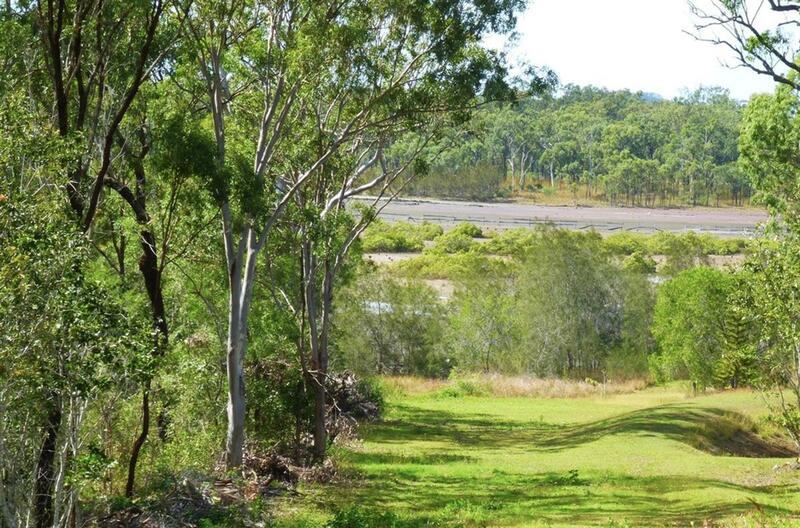 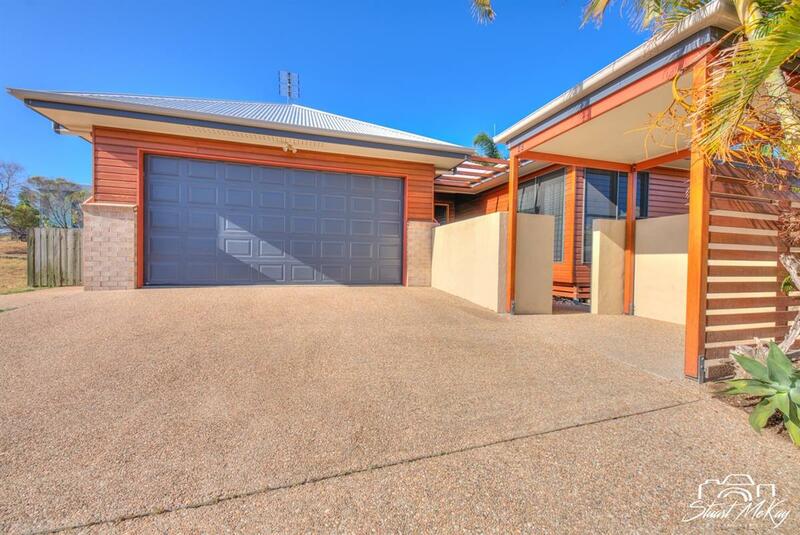 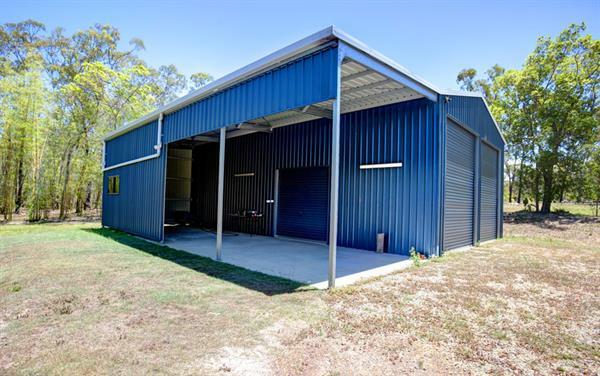 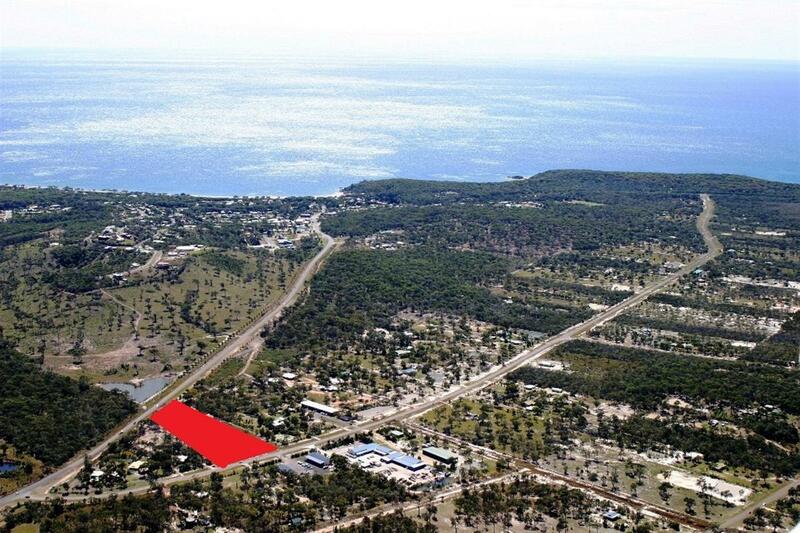 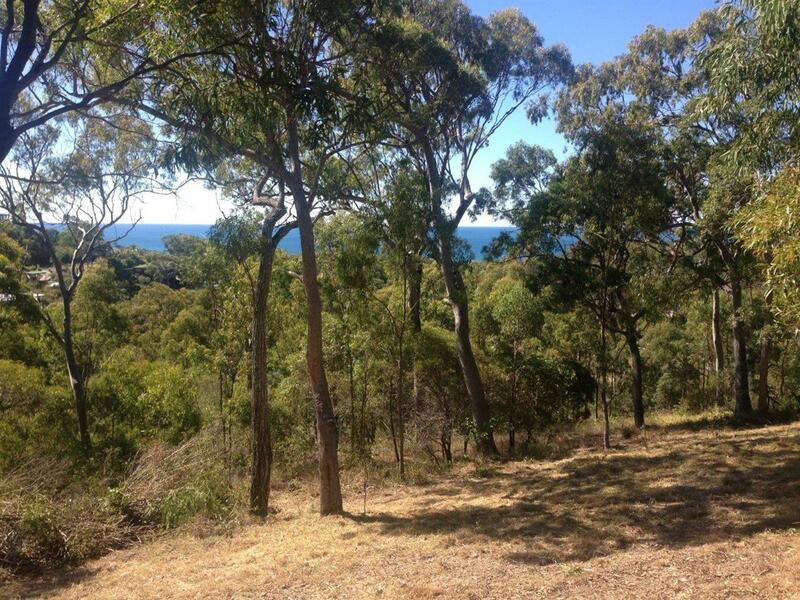 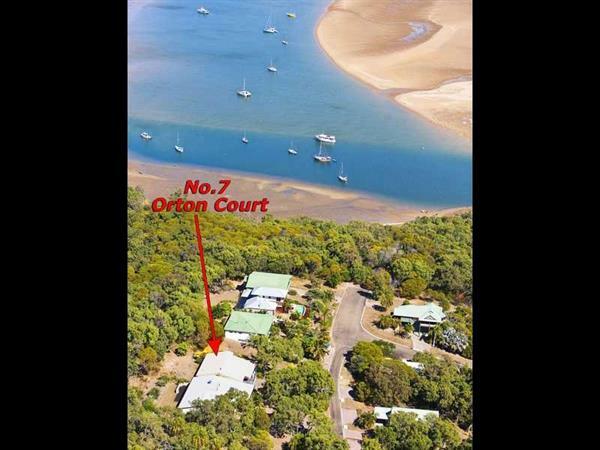 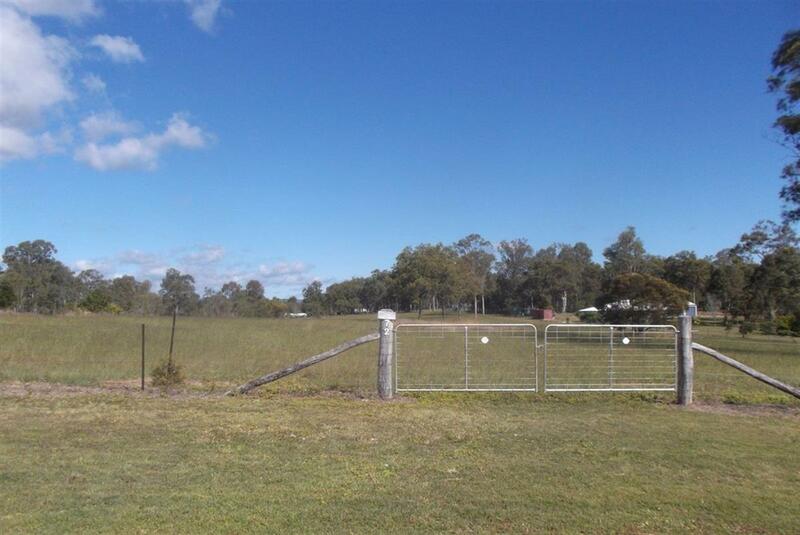 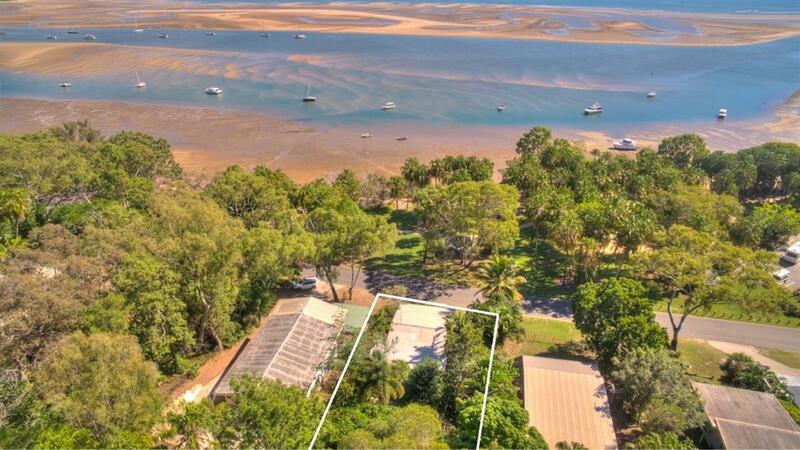 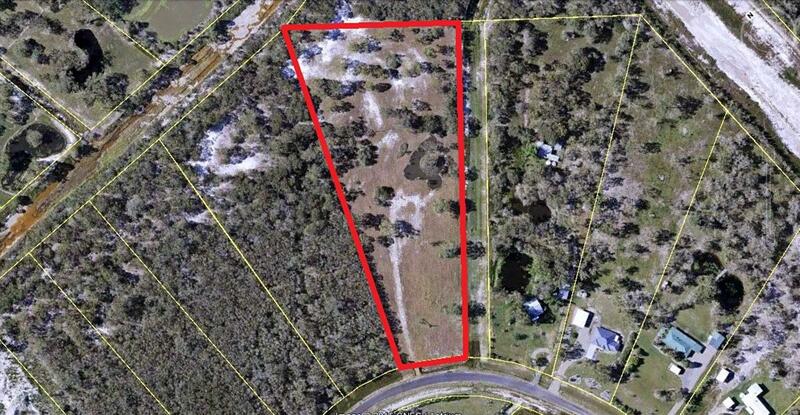 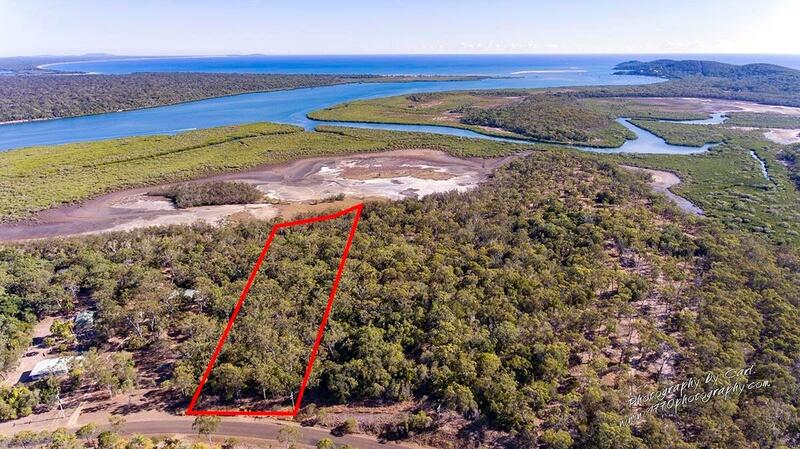 This is Queensland beach side living at its finest. 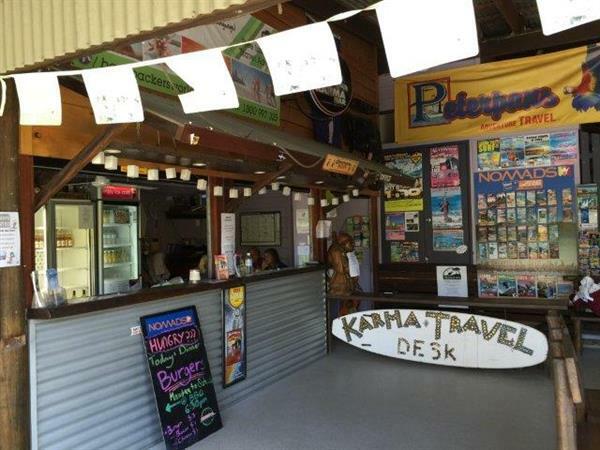 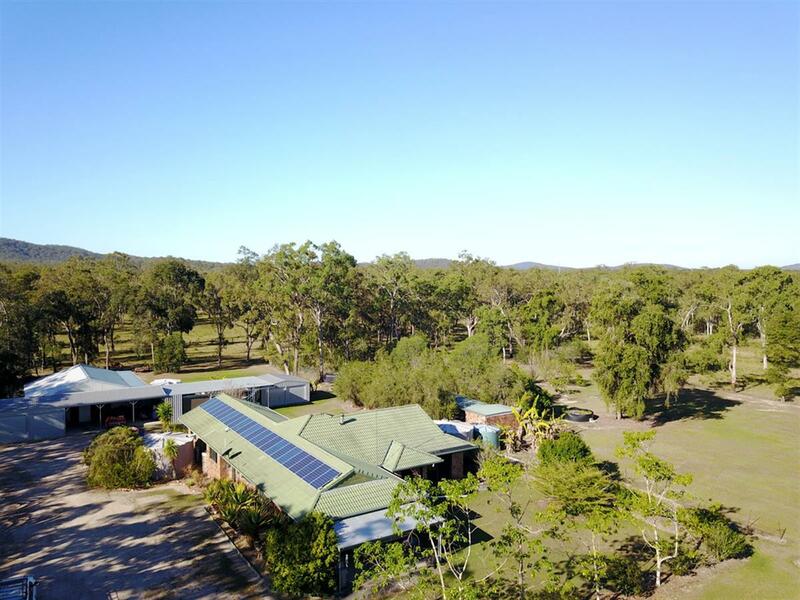 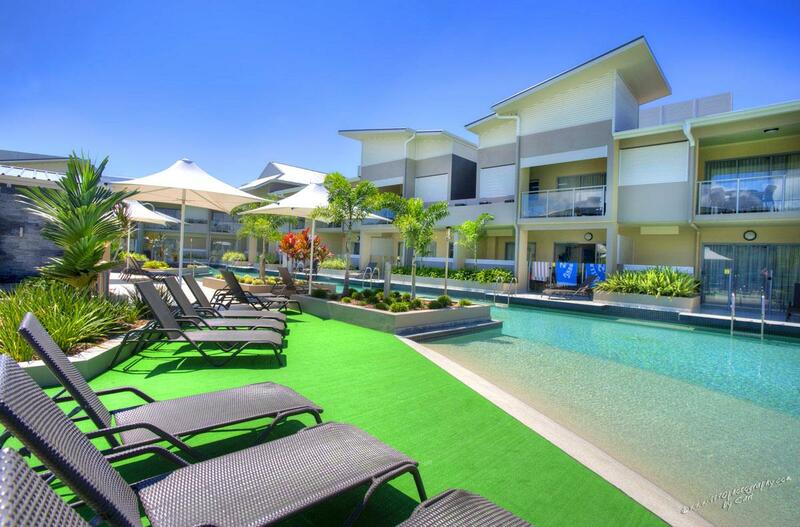 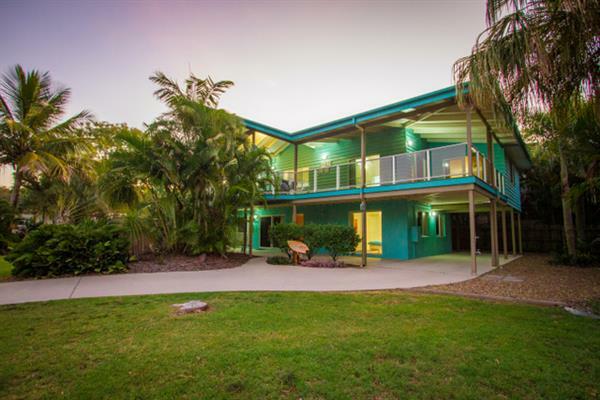 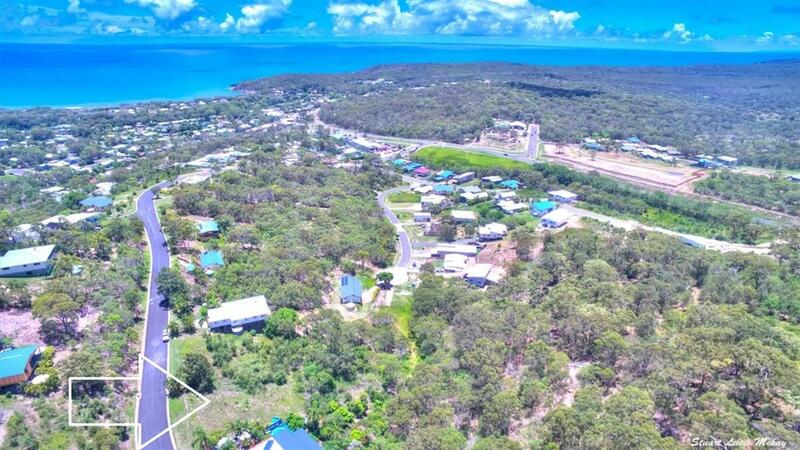 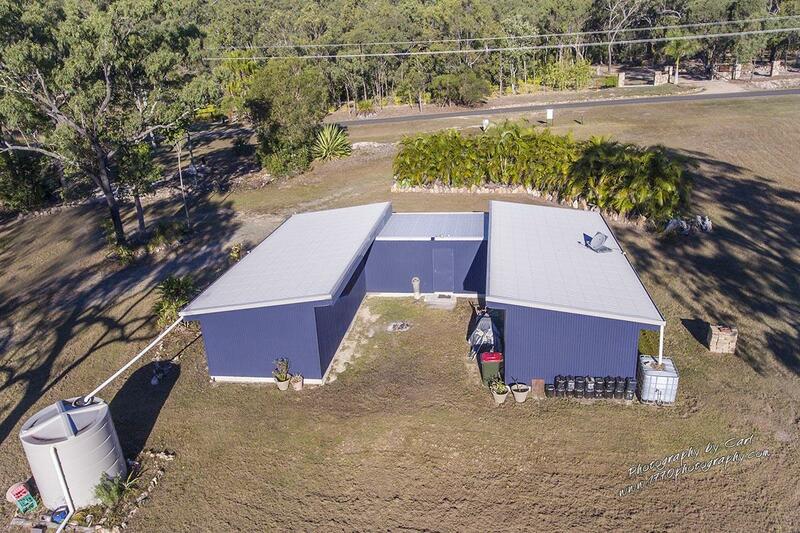 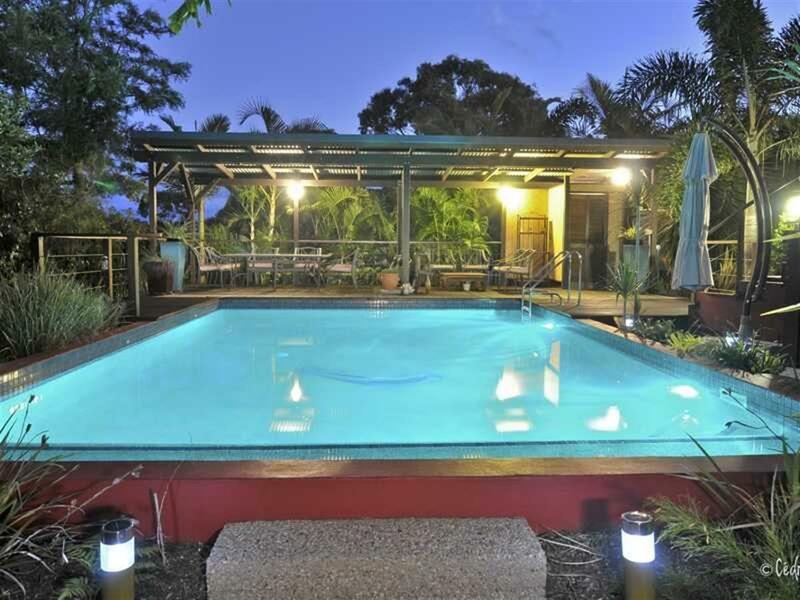 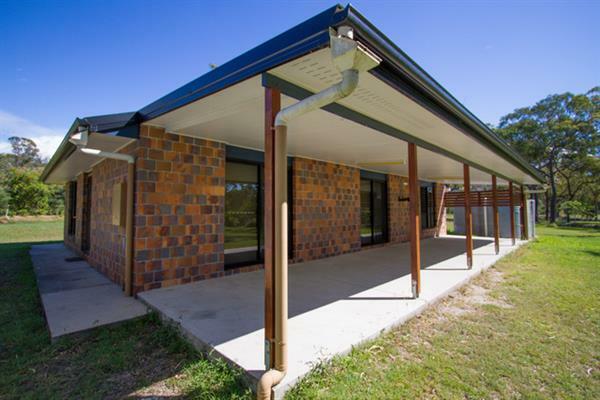 Luxury holiday resort style accommodation with beachfront position, reasonable private rental rates, close to the Great Barrier Reef and glorious beaches ideal for surfing, swimming and fishing. 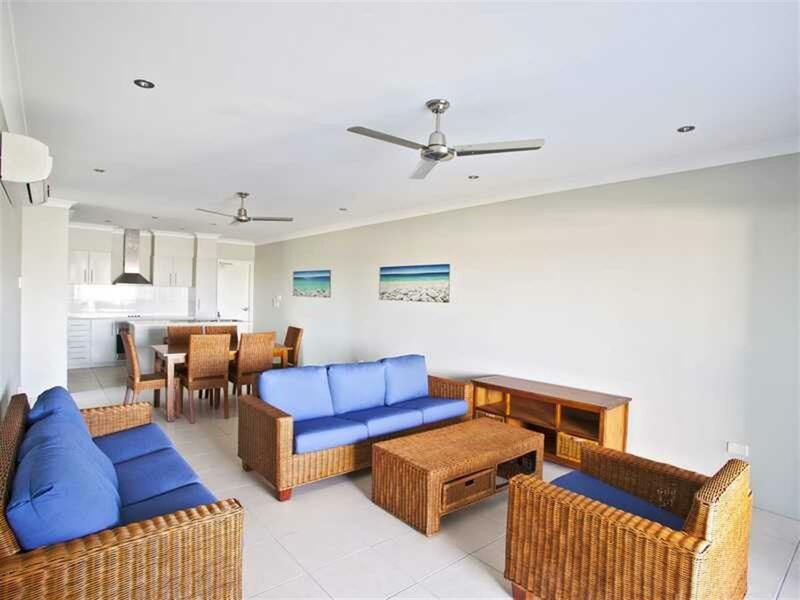 For a luxury beach side holiday house perfectly suited for two families, Don't Panic's beach house is unsurpassed. 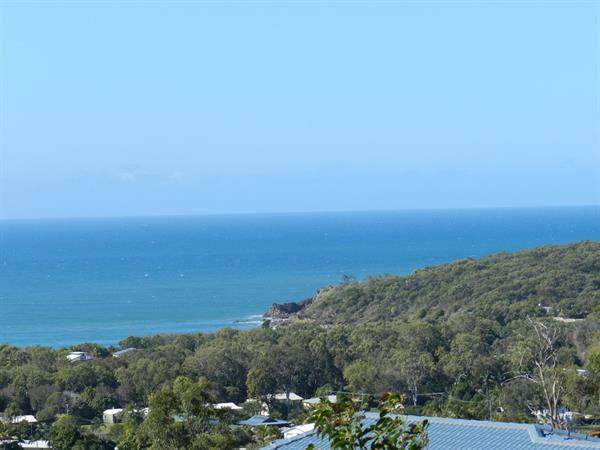 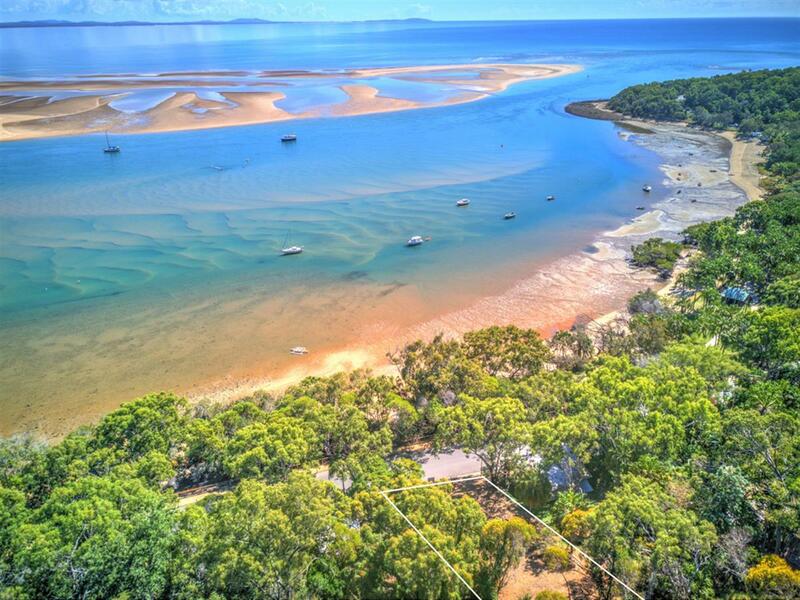 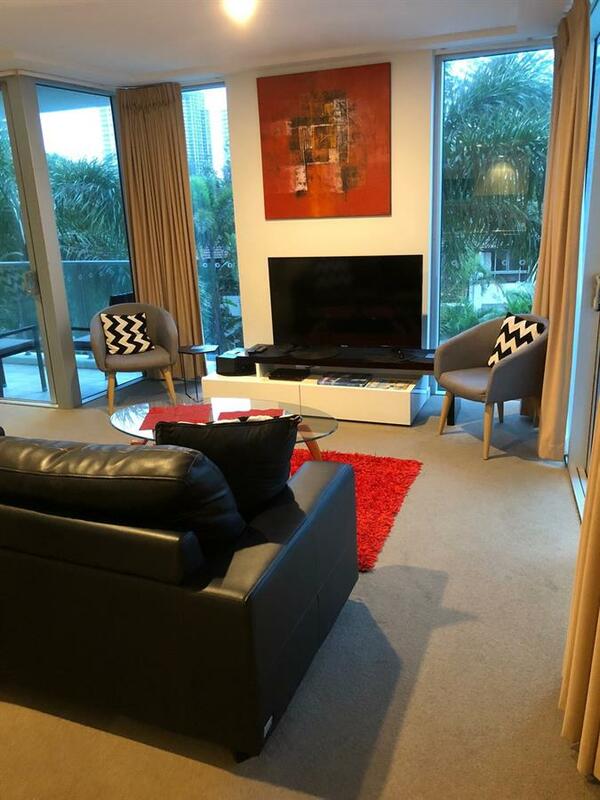 When considering your next Queensland beach side family holiday in Agnes Water and 1770 contact us at Don't Panic Luxury Family Accommodation. 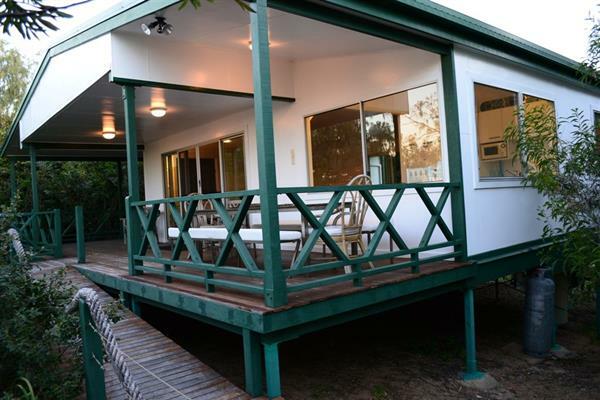 5 bedrooms - 2 king beds, 1 queen size bed, 2 single beds, 1 bunk bed and 1 double foldout sofabed. 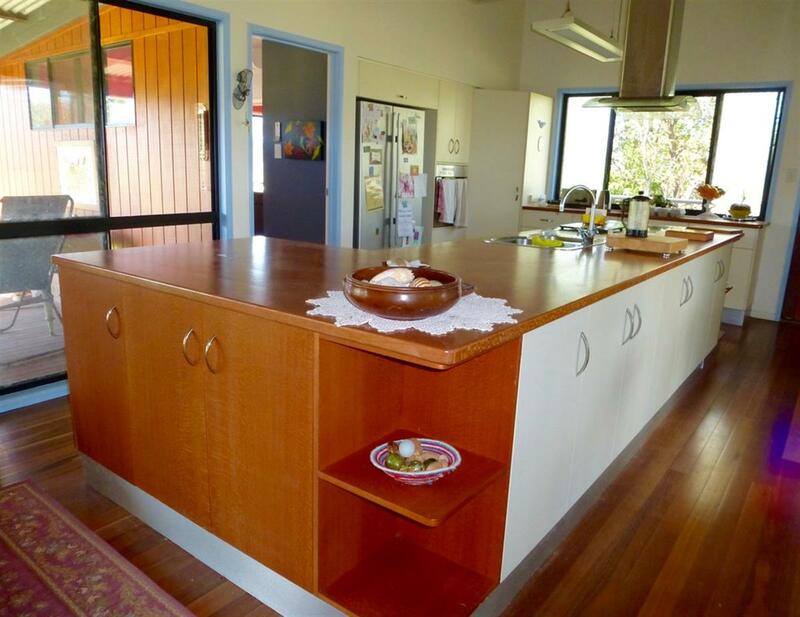 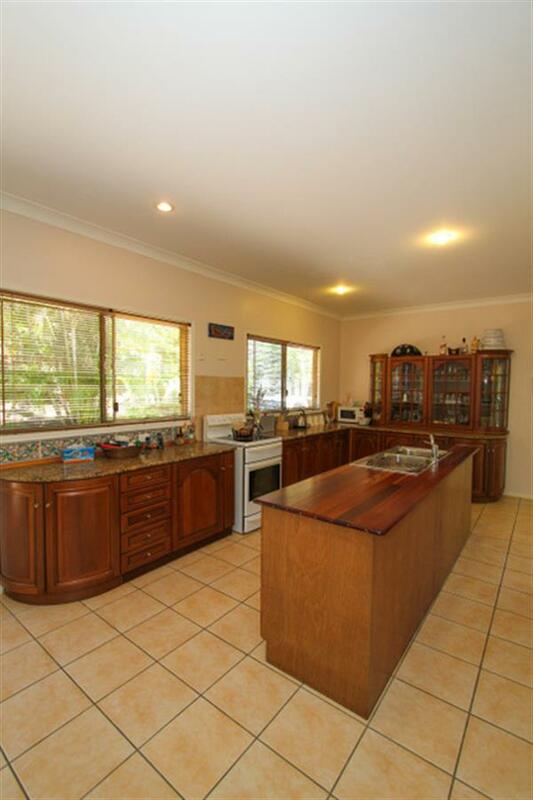 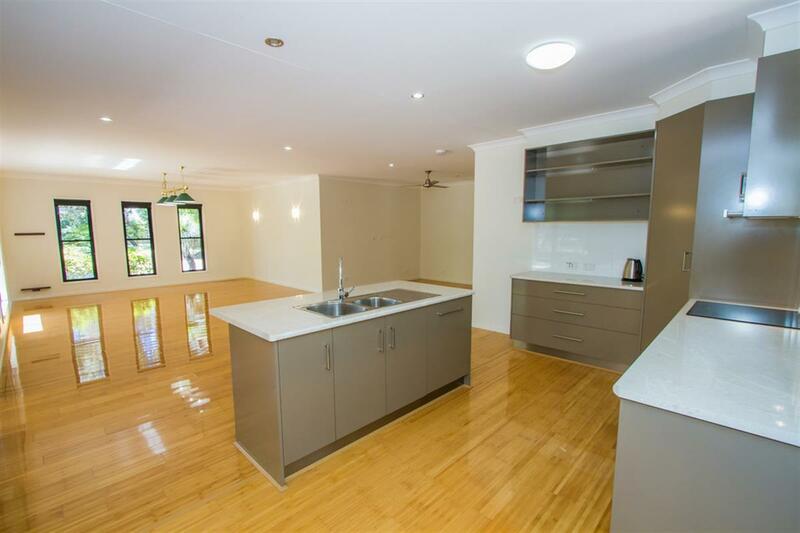 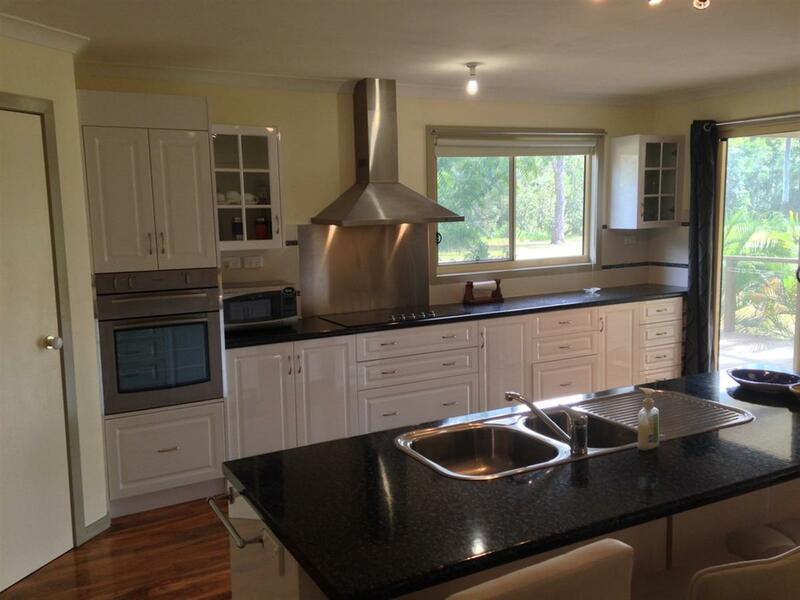 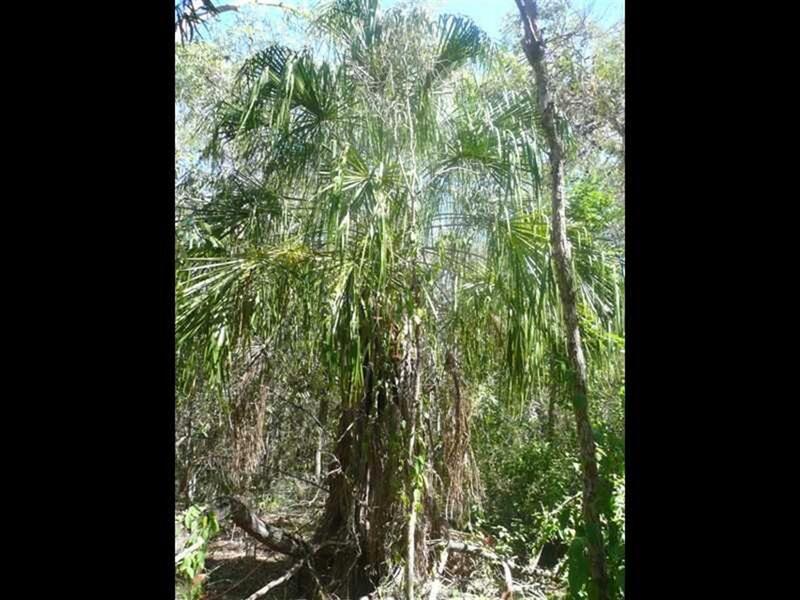 2 kitchens - kitchenette upstairs and full kitchen with chef-style stove downstairs. 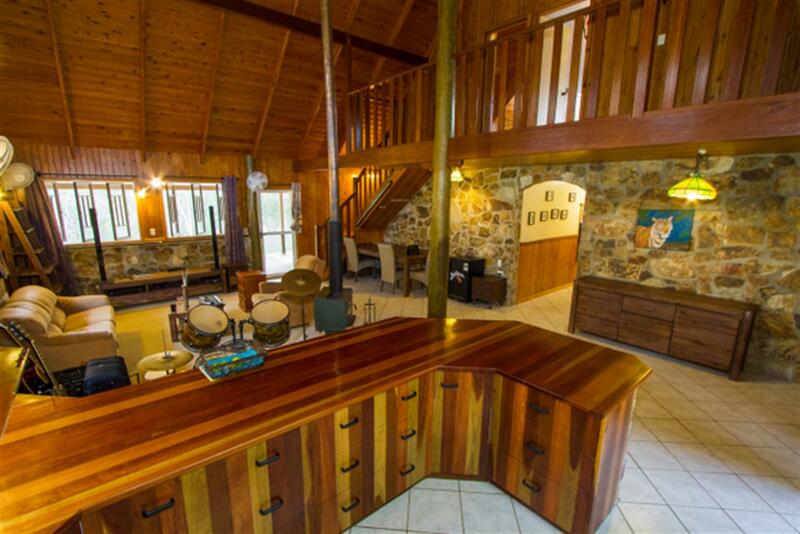 Family room with pool table. 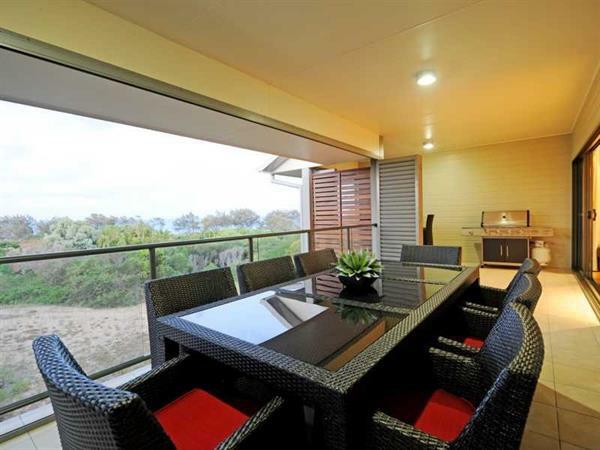 2 outdoor deck and dining areas - one upstairs overlooking swimming pool. 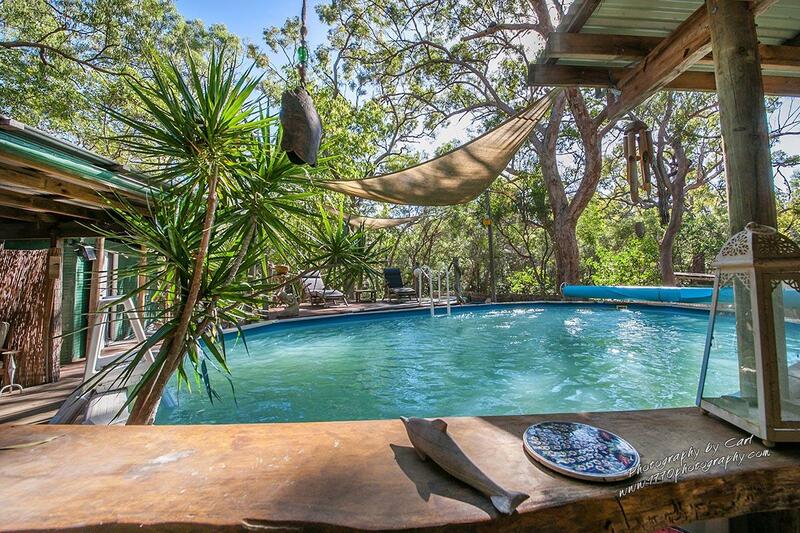 Private swimming pool - solar heated in winter. 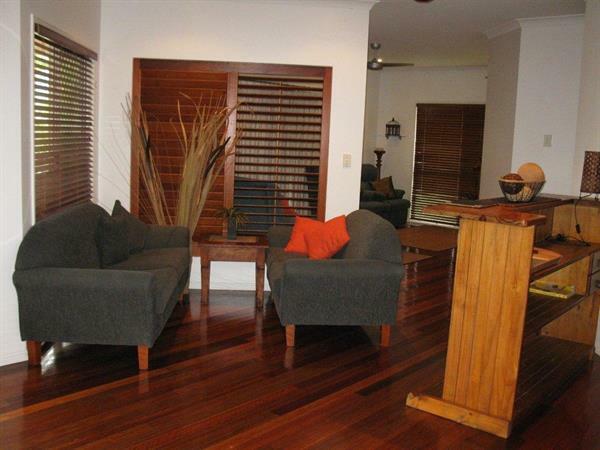 Separate formal lounge and dining. 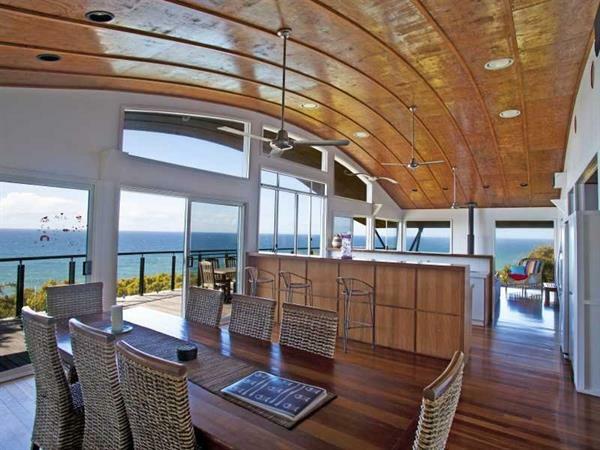 Stereo speakers wired to deck area. 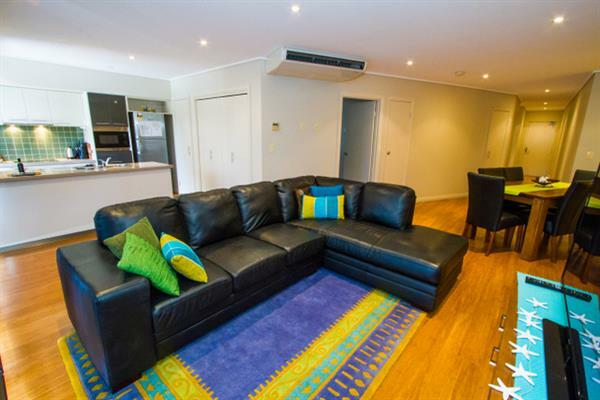 Mid stay cleans & linen can be provided, charges apply. 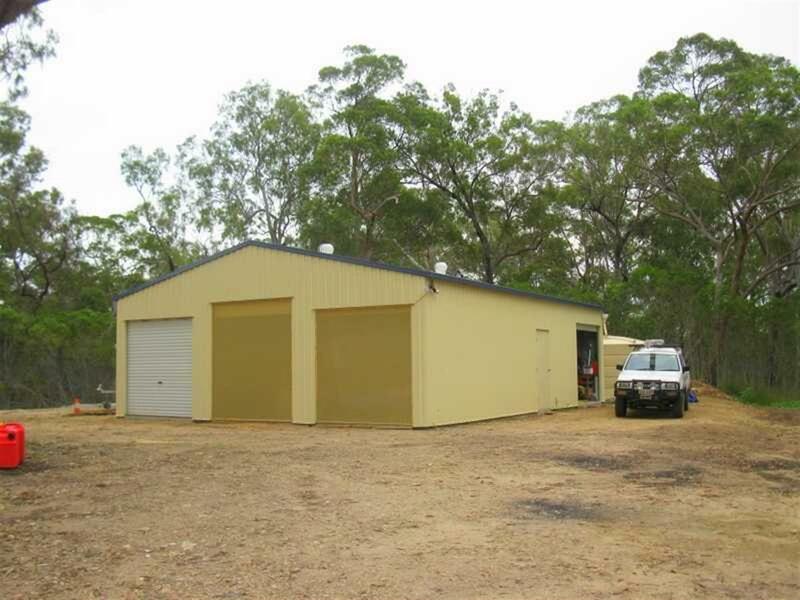 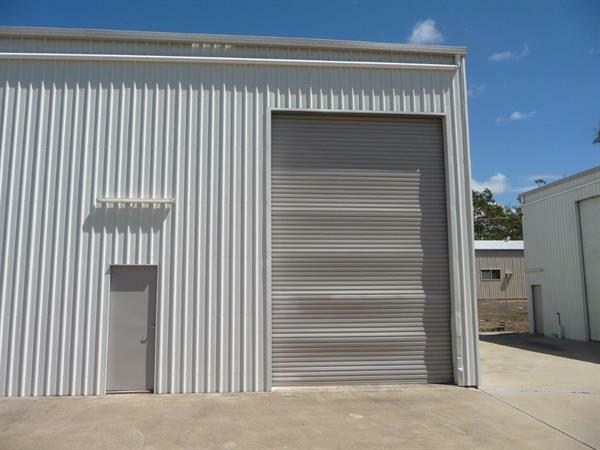 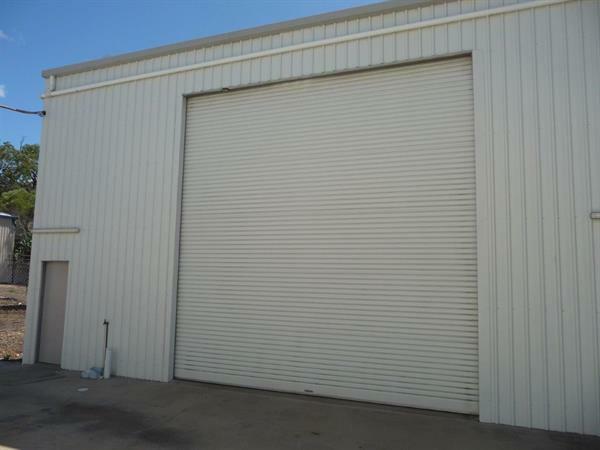 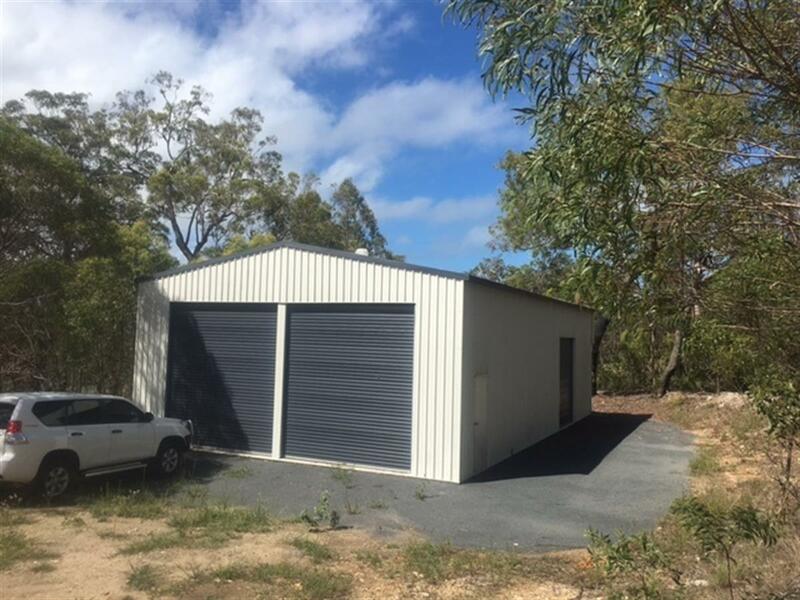 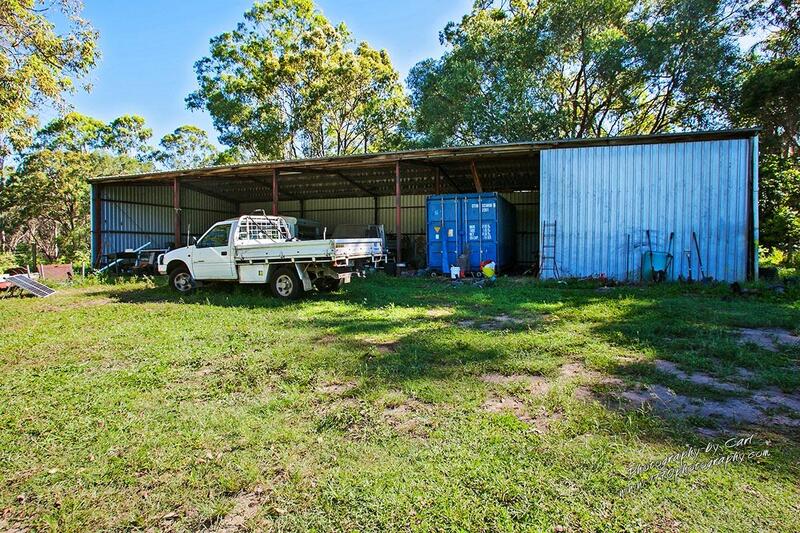 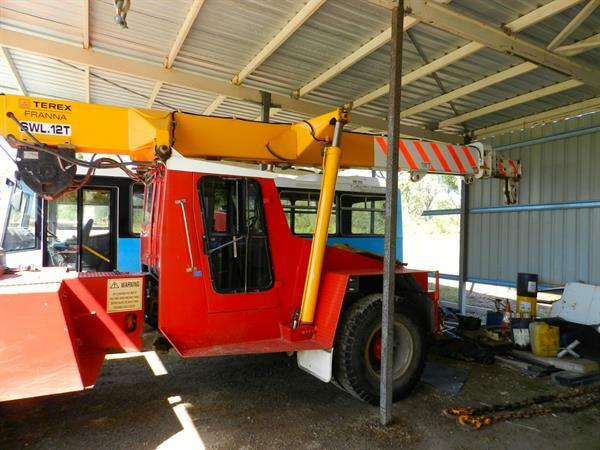 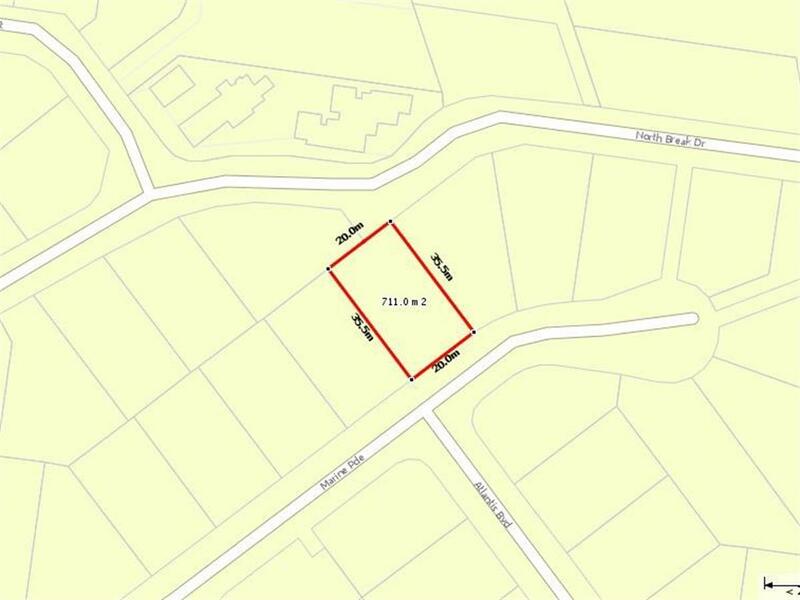 2 car double lock up garage. 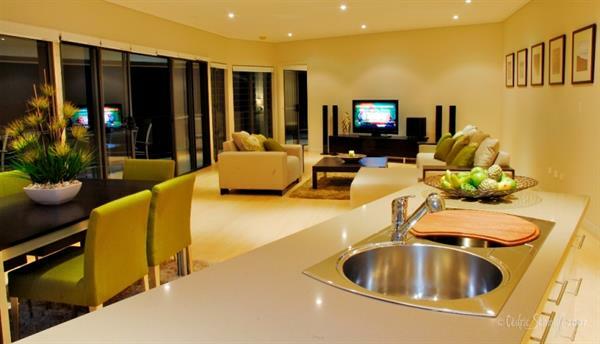 TVs in 4 bedrooms, 2 with DVD players. 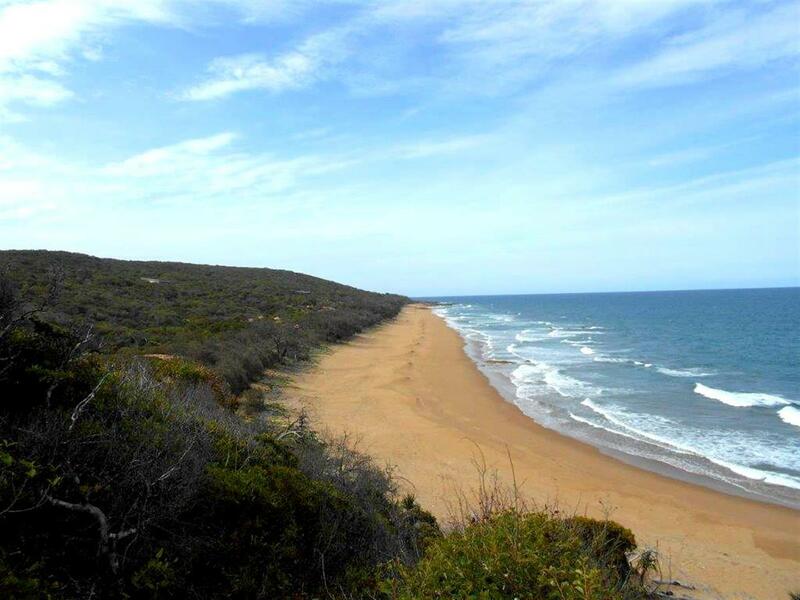 Beach access to surf beach. 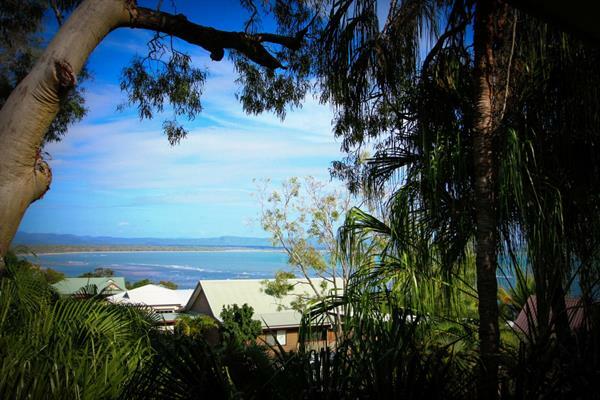 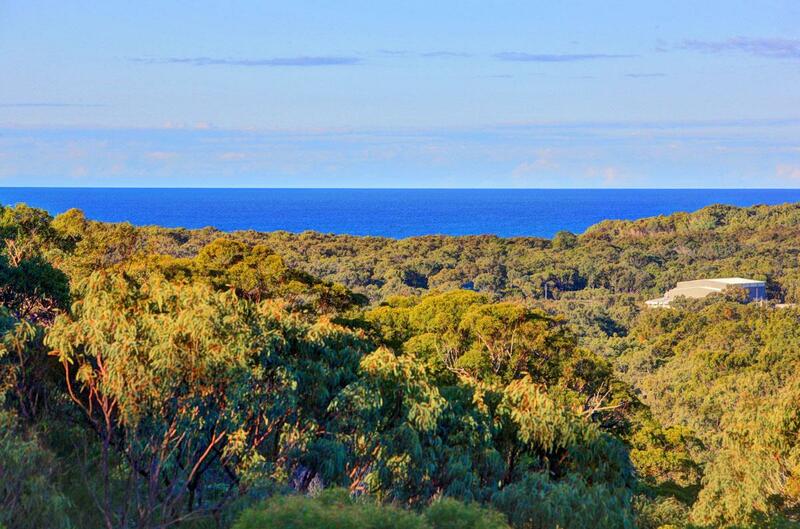 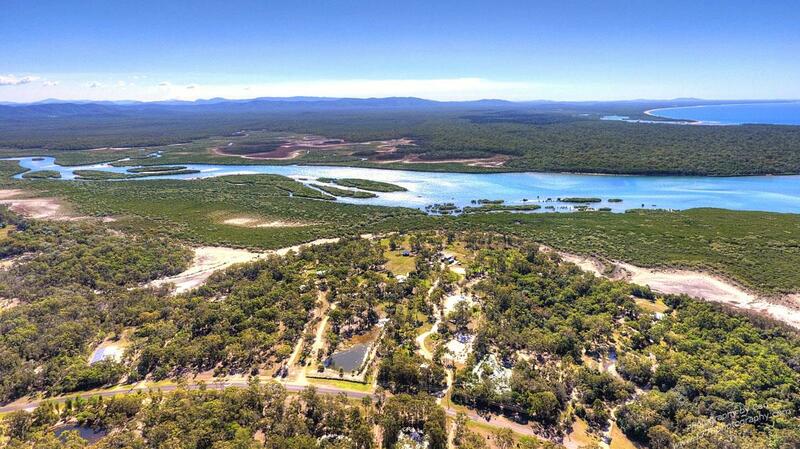 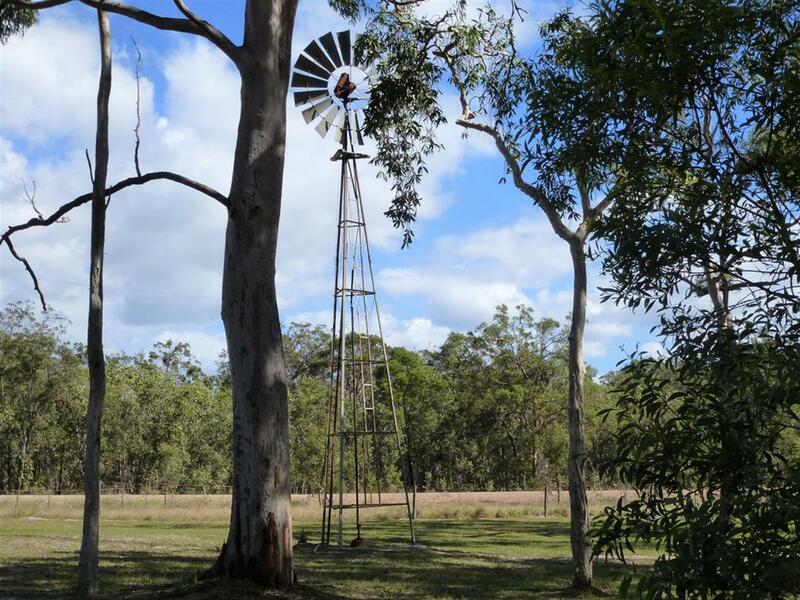 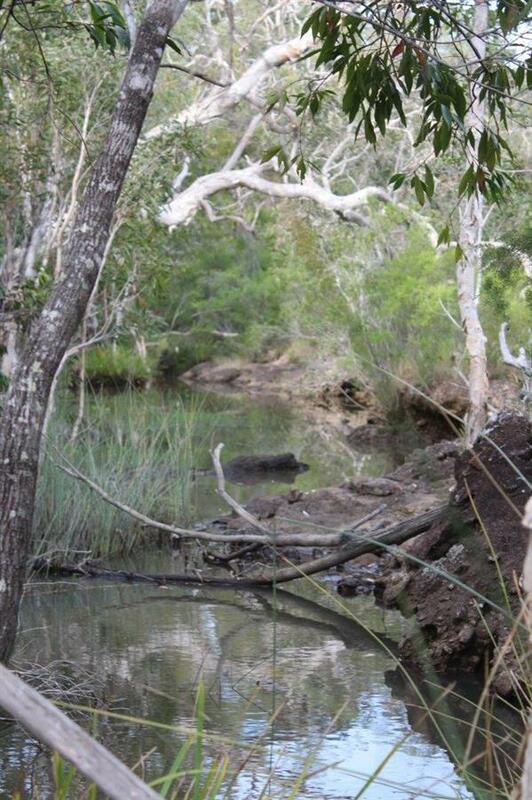 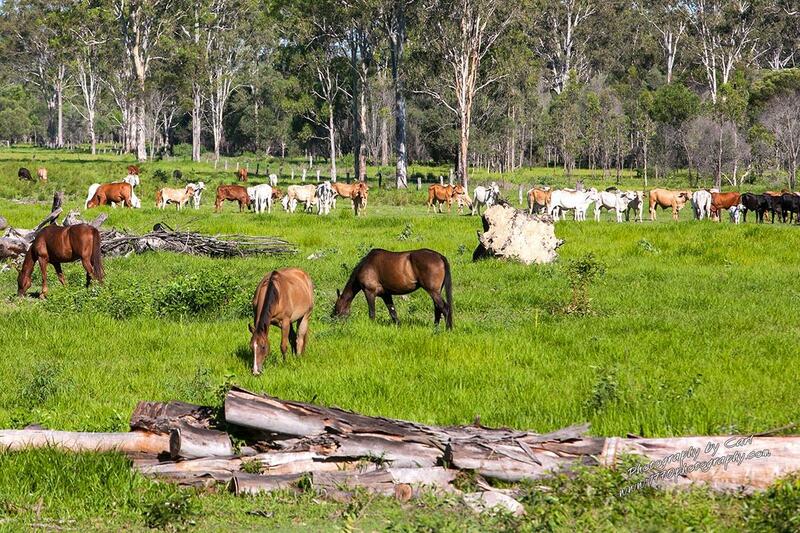 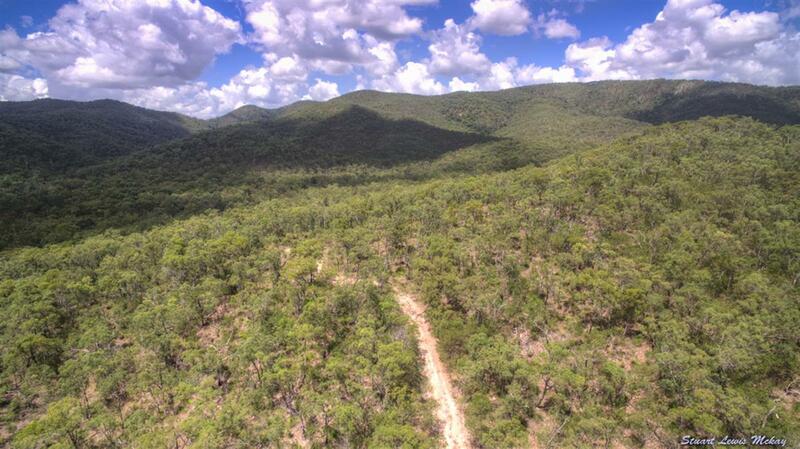 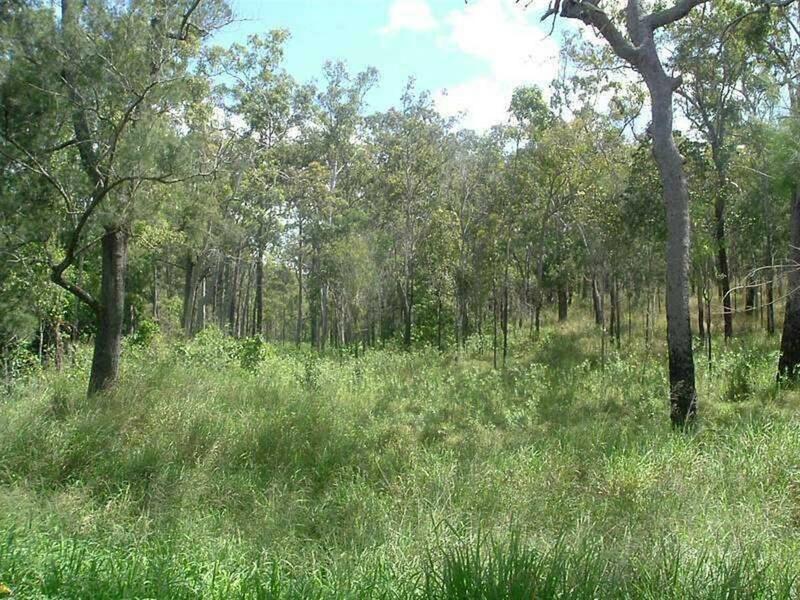 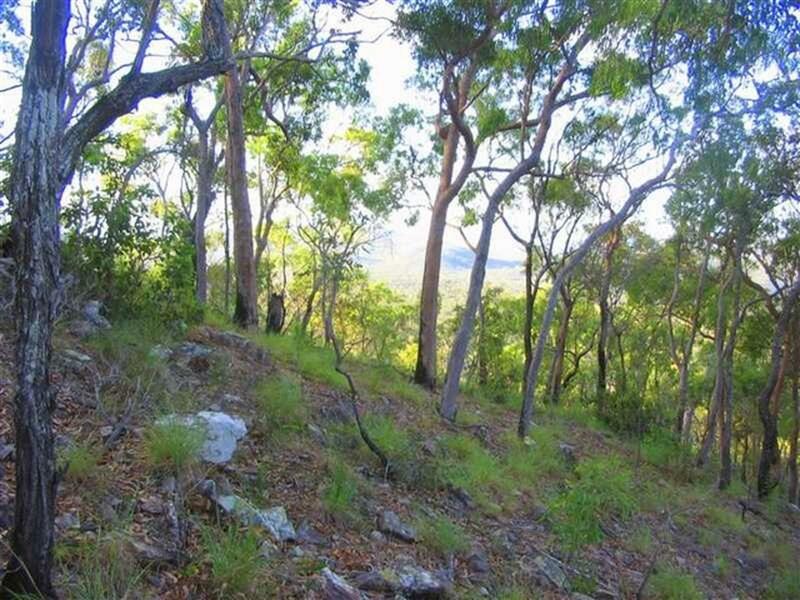 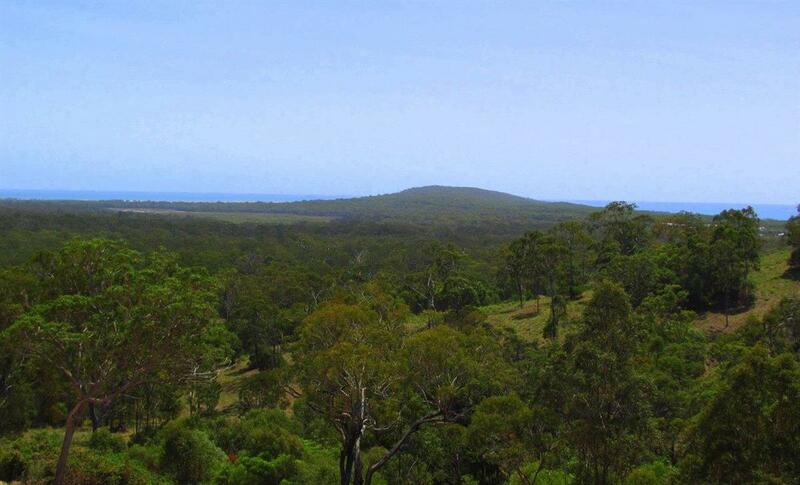 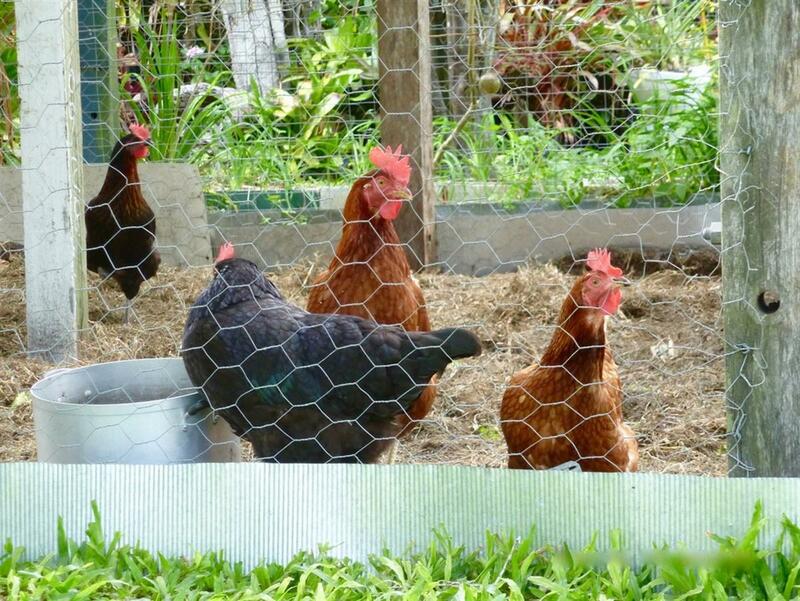 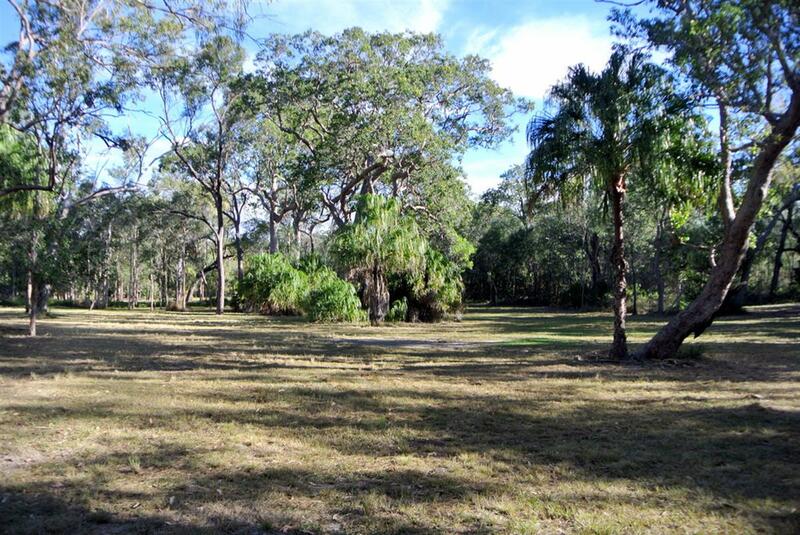 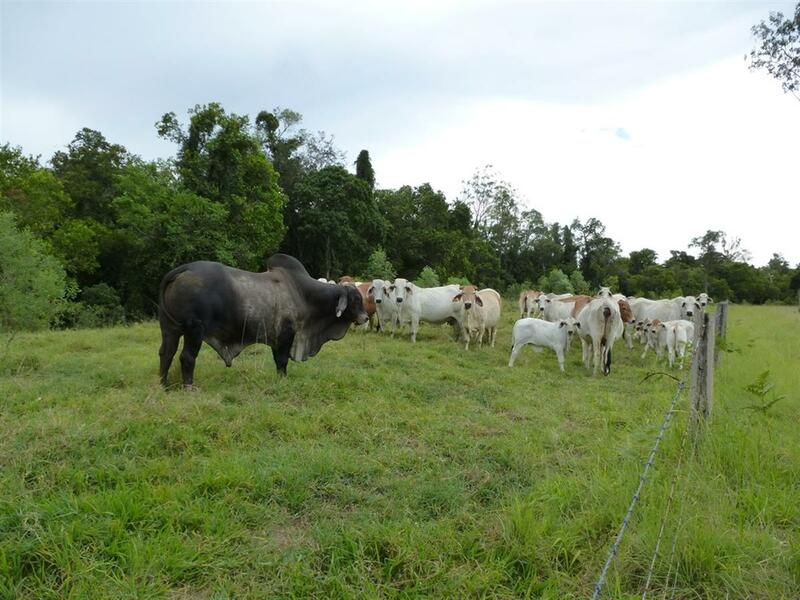 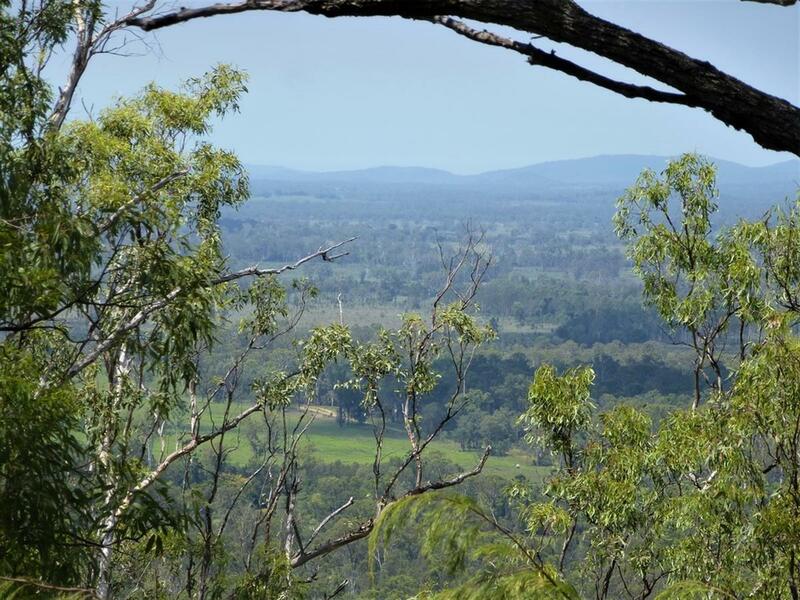 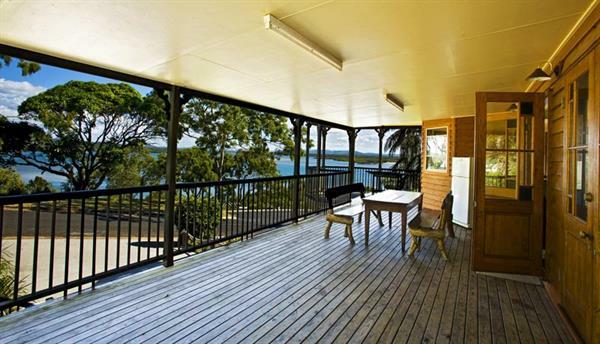 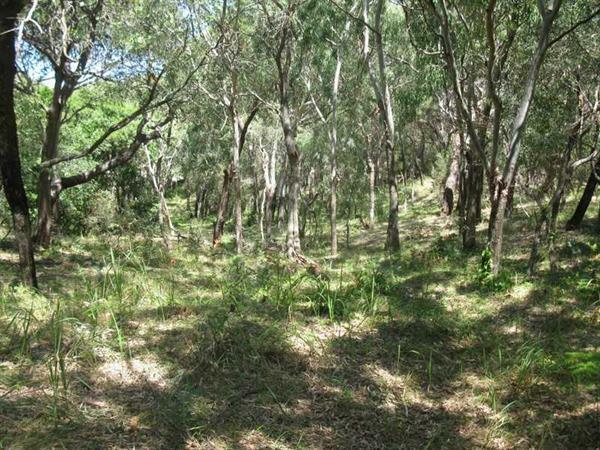 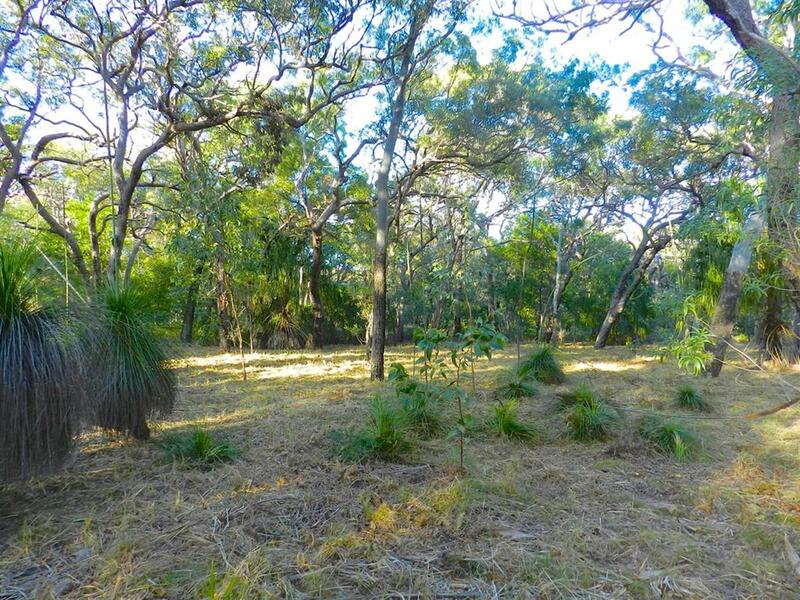 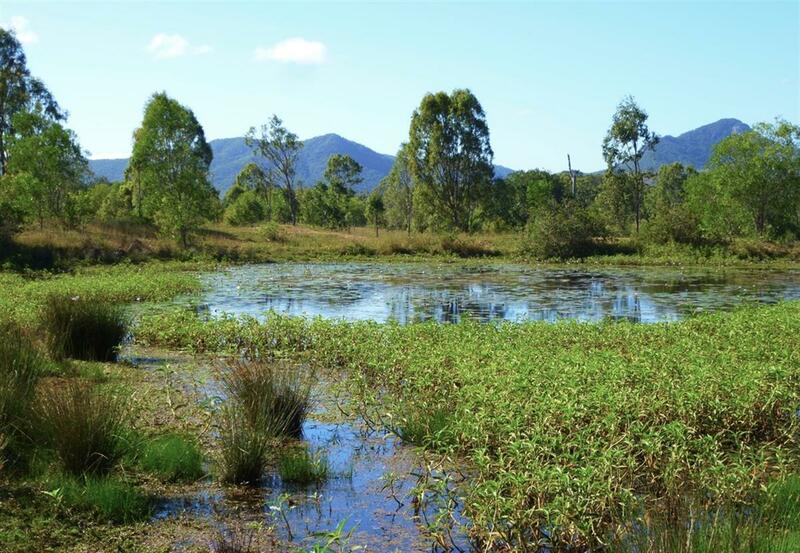 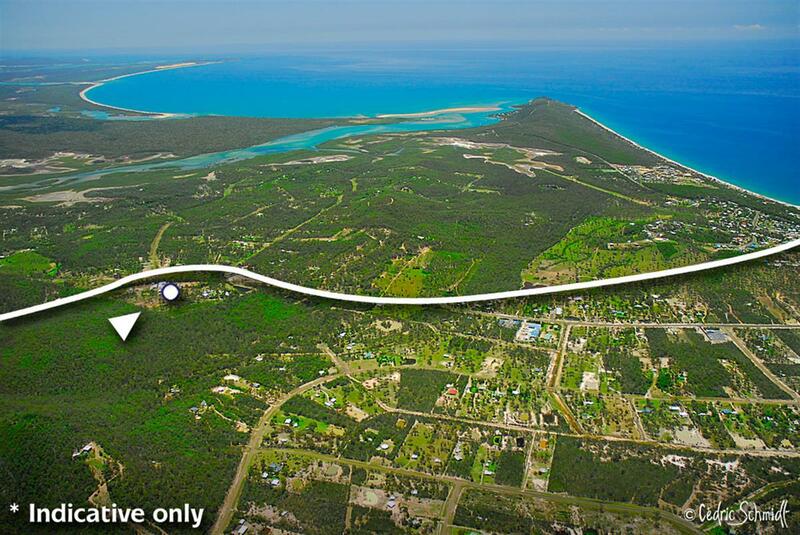 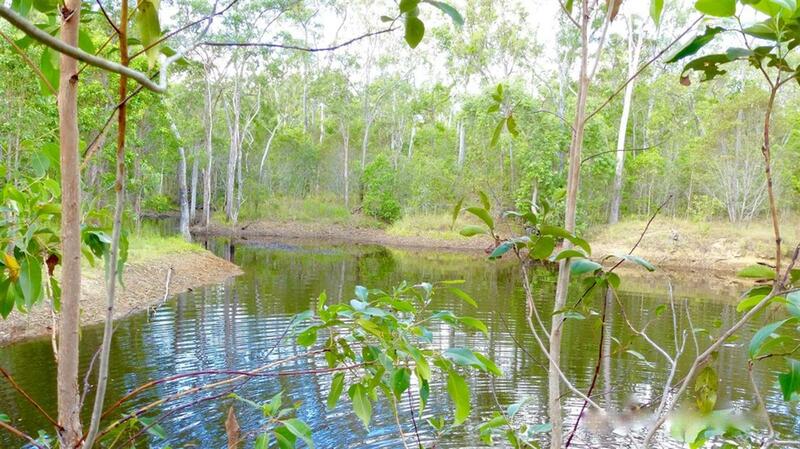 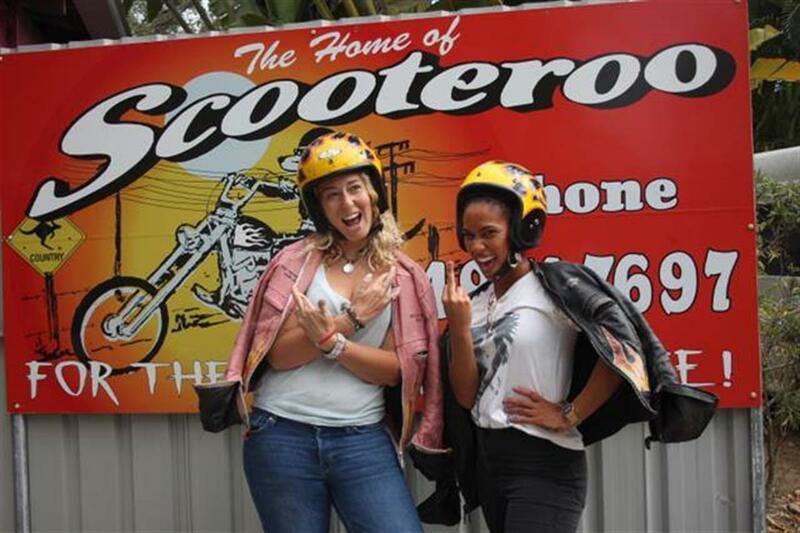 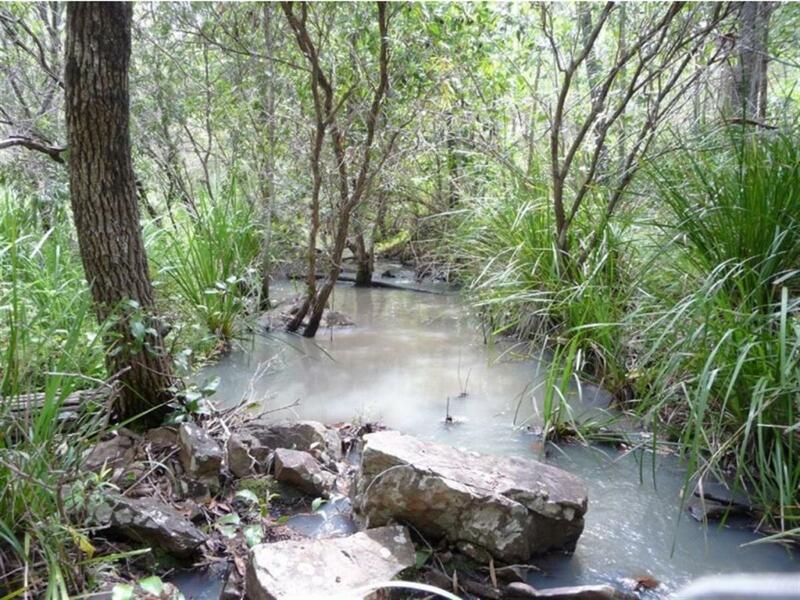 minimum 3 night stay in low season $534 p/n.